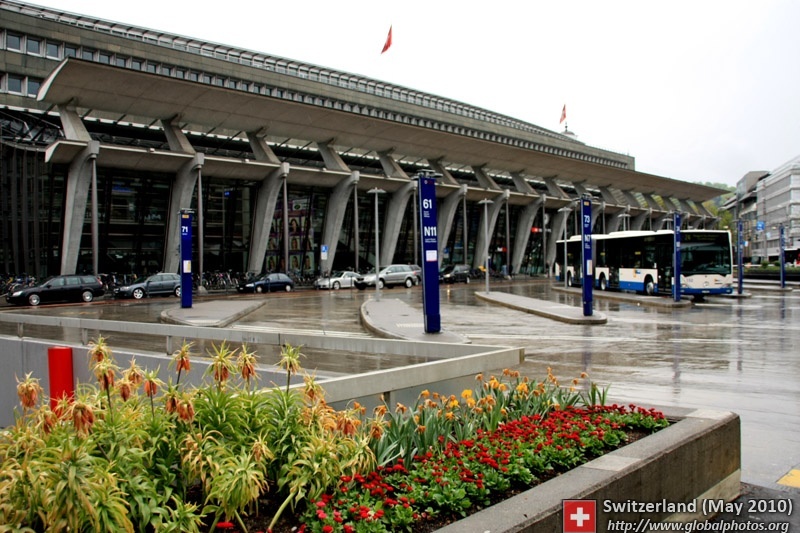 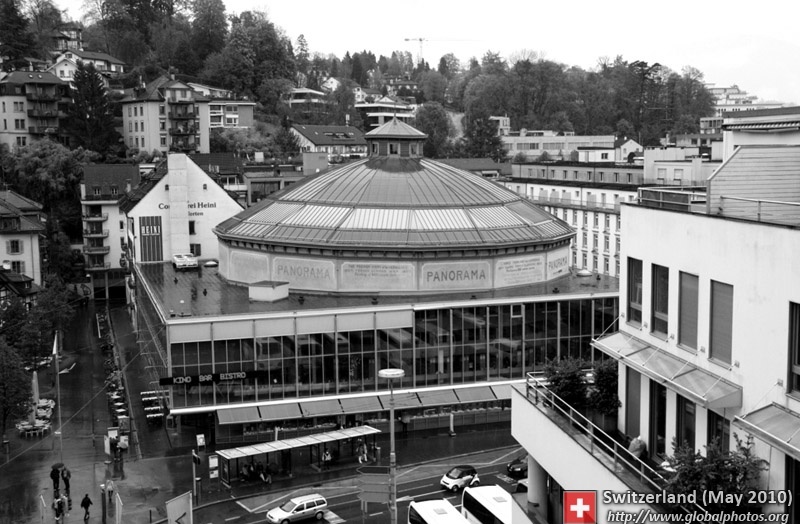 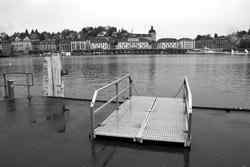 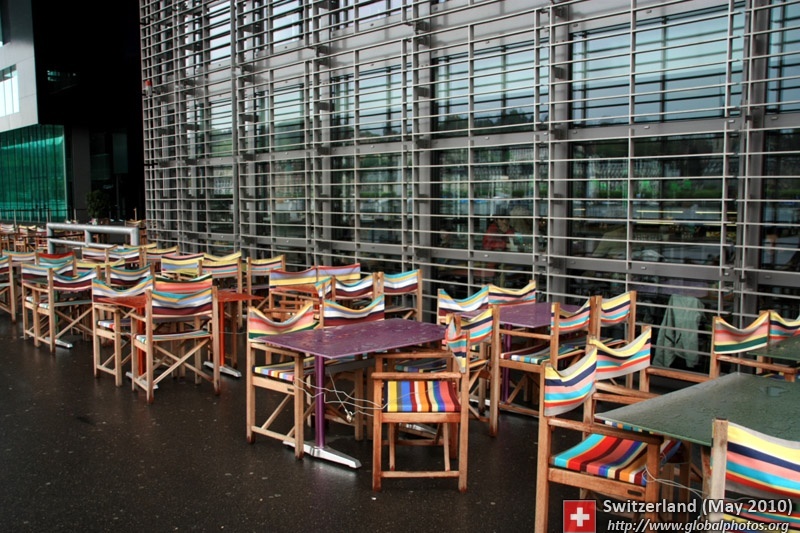 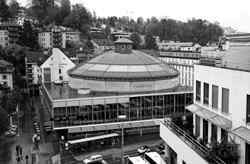 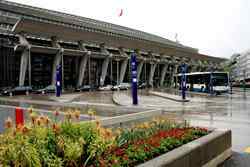 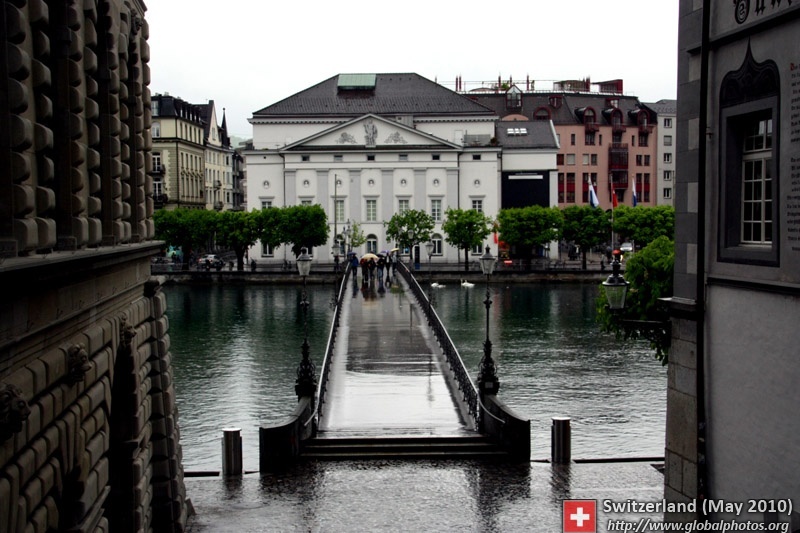 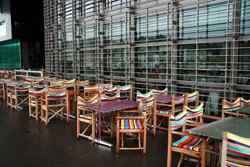 The KKL Luzern is situated at the water's edge, facing the lake on one side and the city on the other. 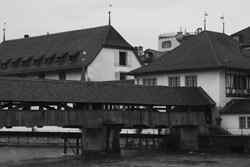 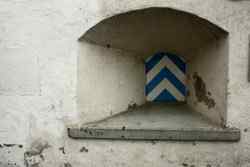 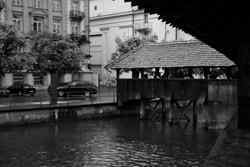 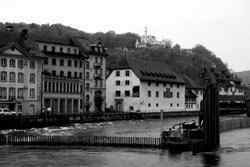 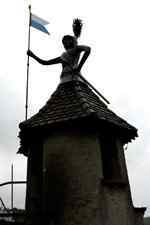 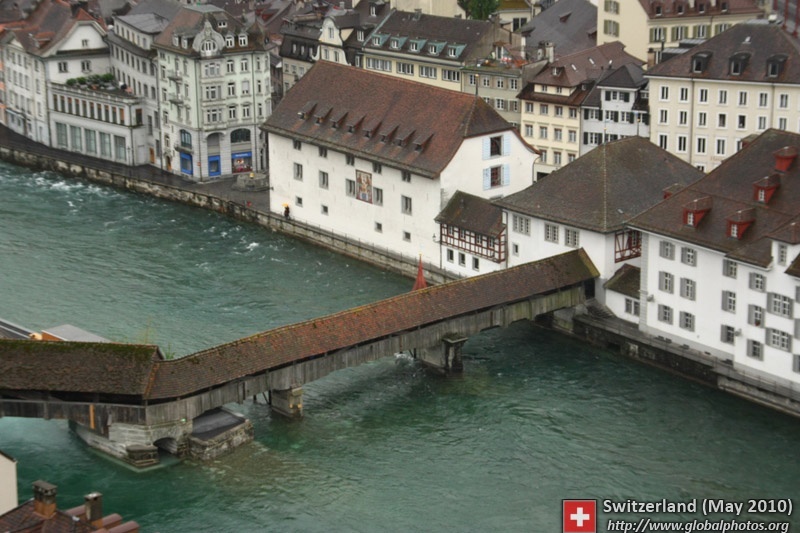 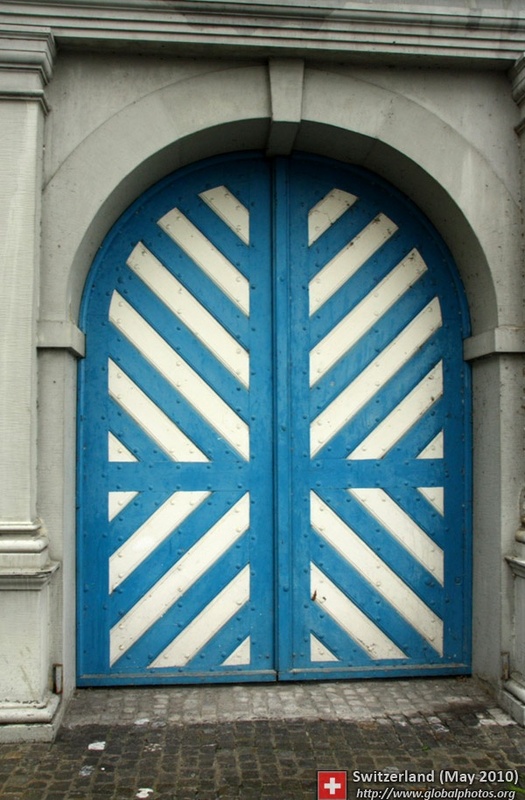 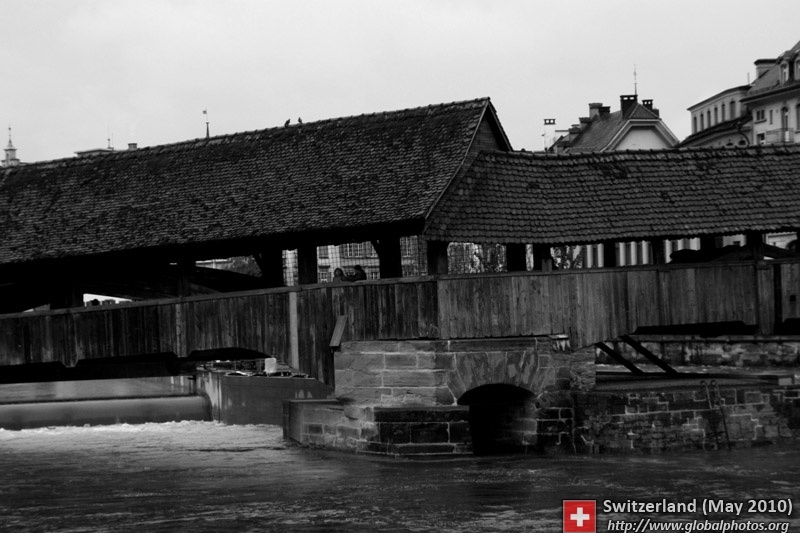 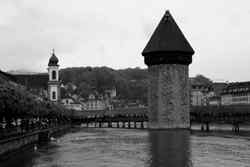 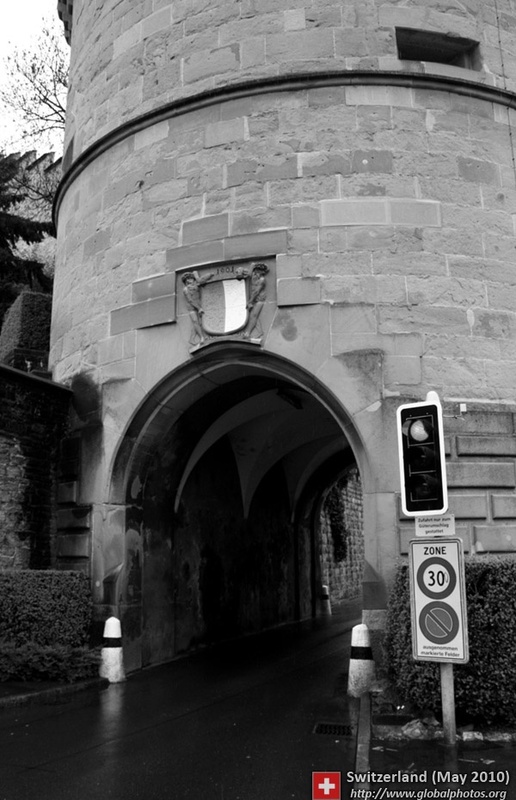 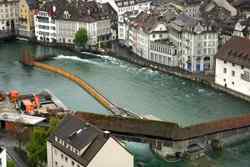 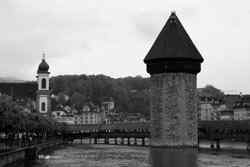 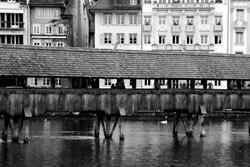 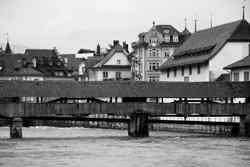 The Kapellbrucke dates from the 14th century and stretches a long part of the city's waterfront. 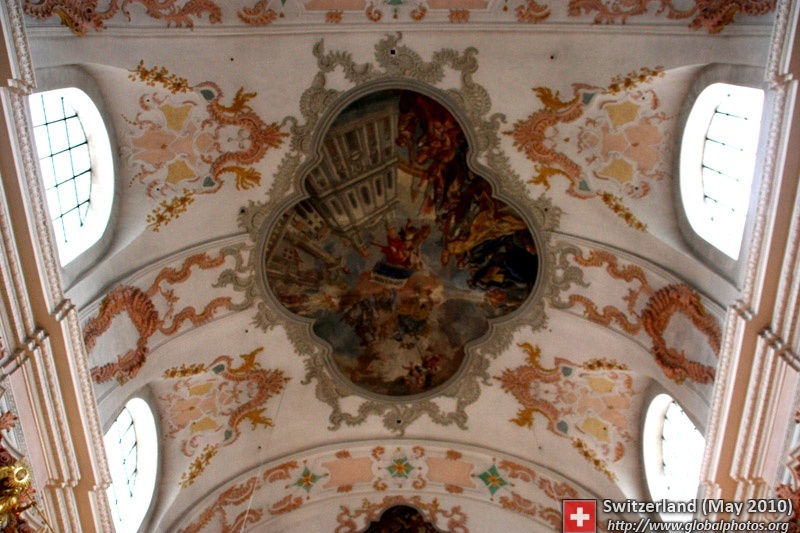 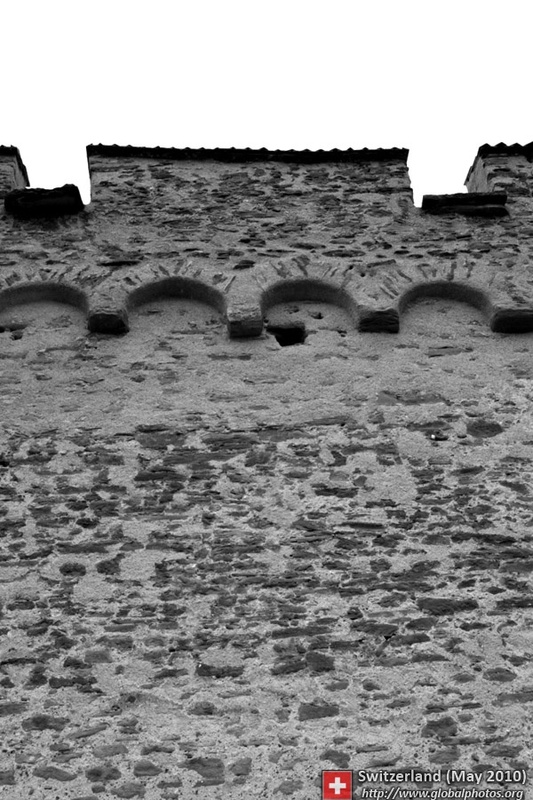 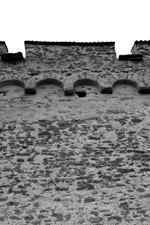 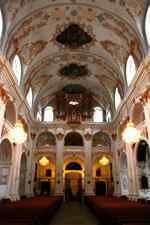 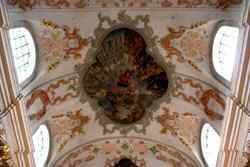 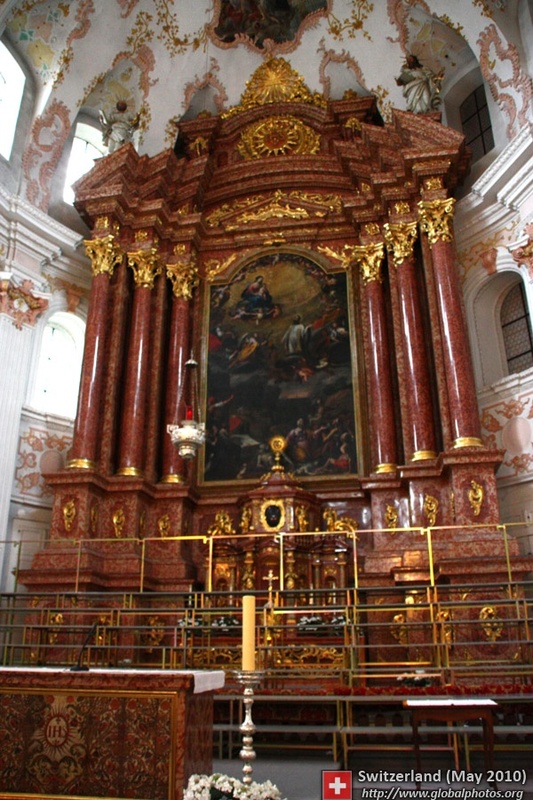 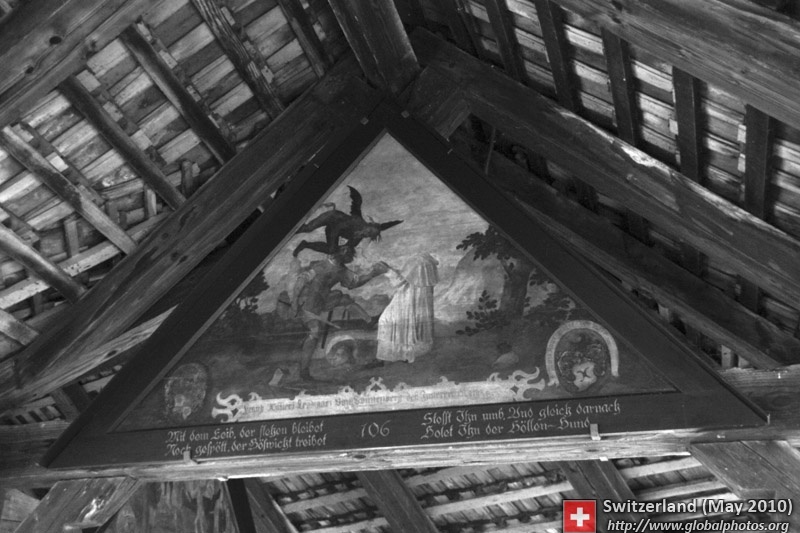 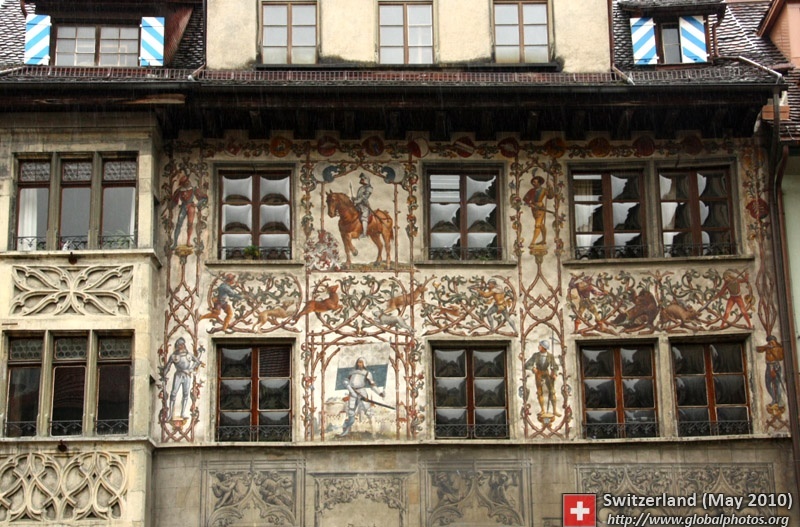 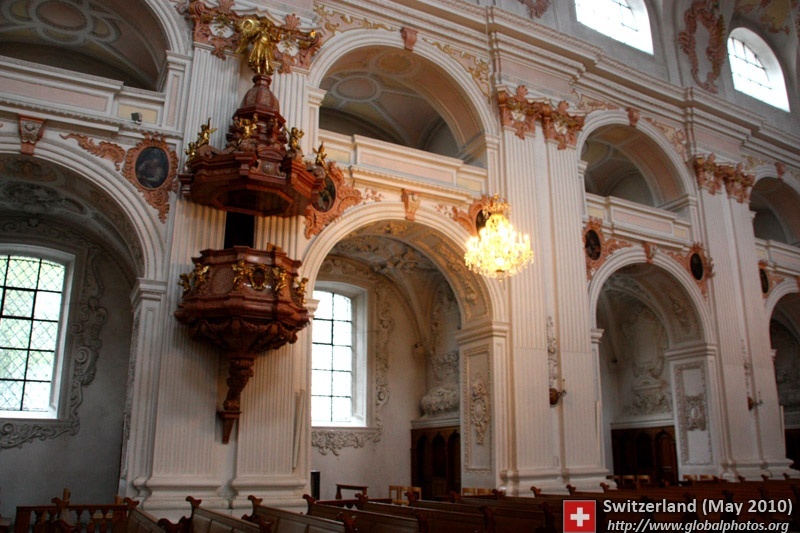 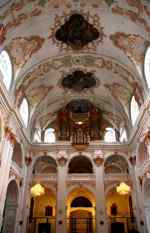 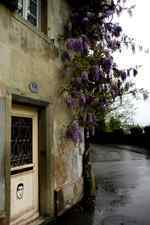 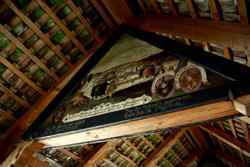 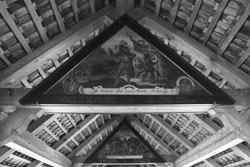 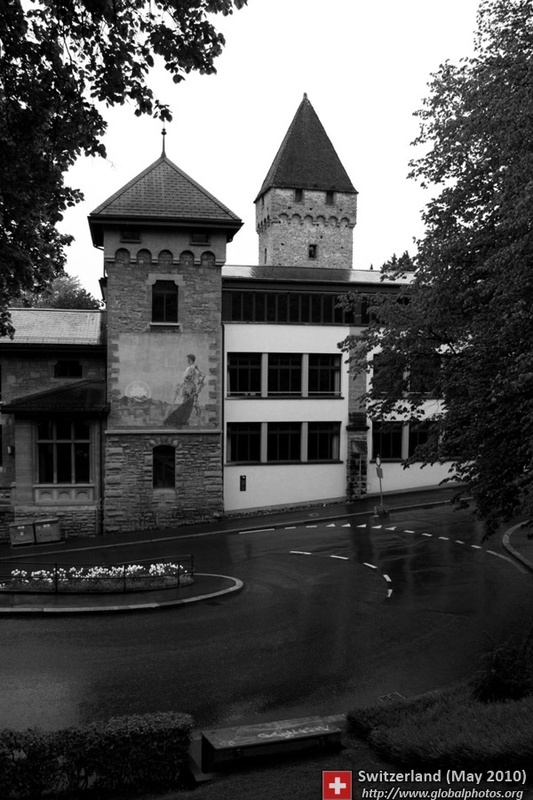 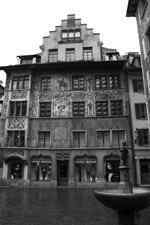 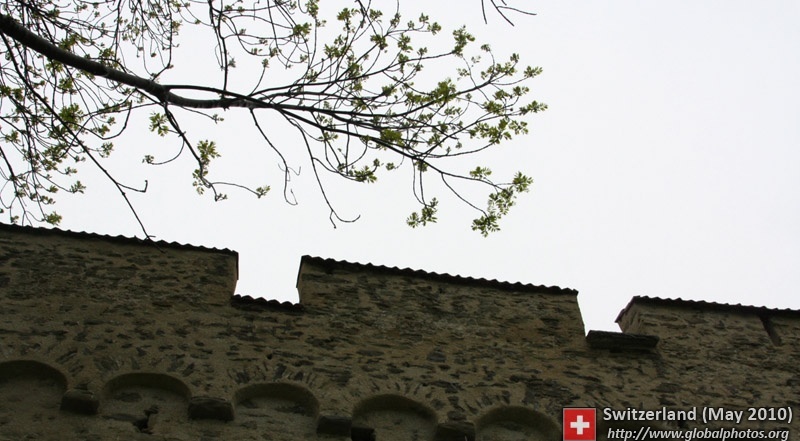 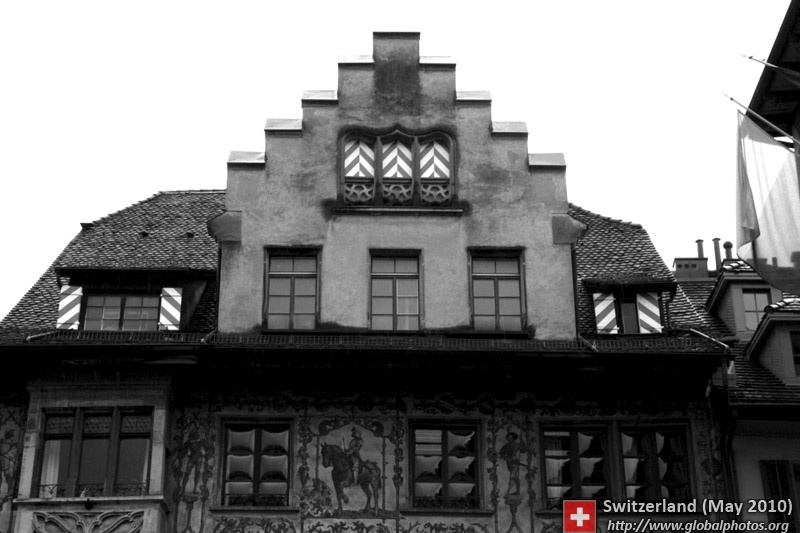 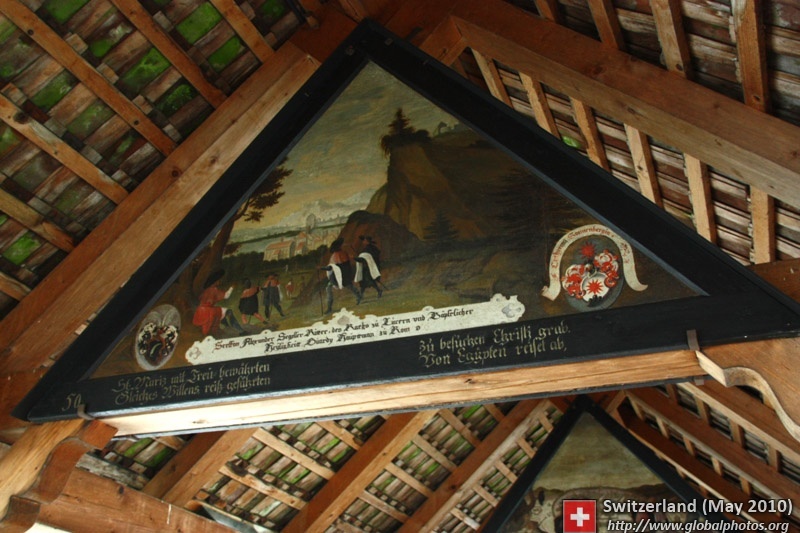 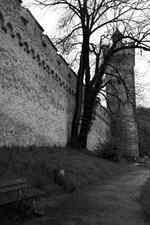 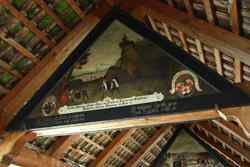 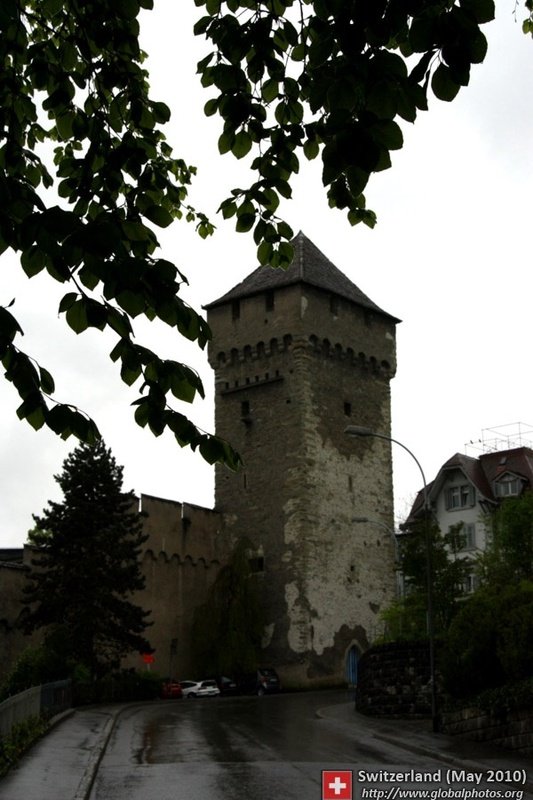 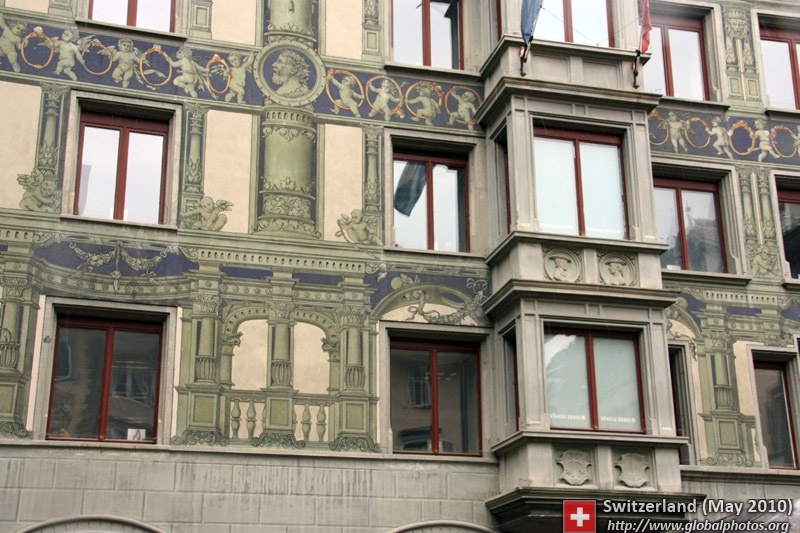 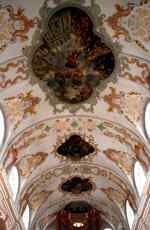 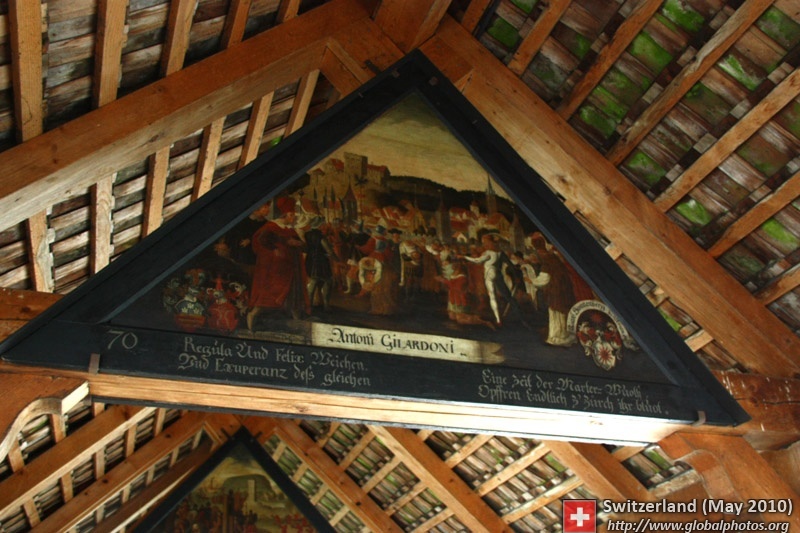 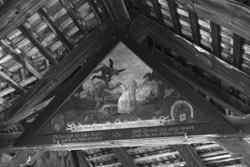 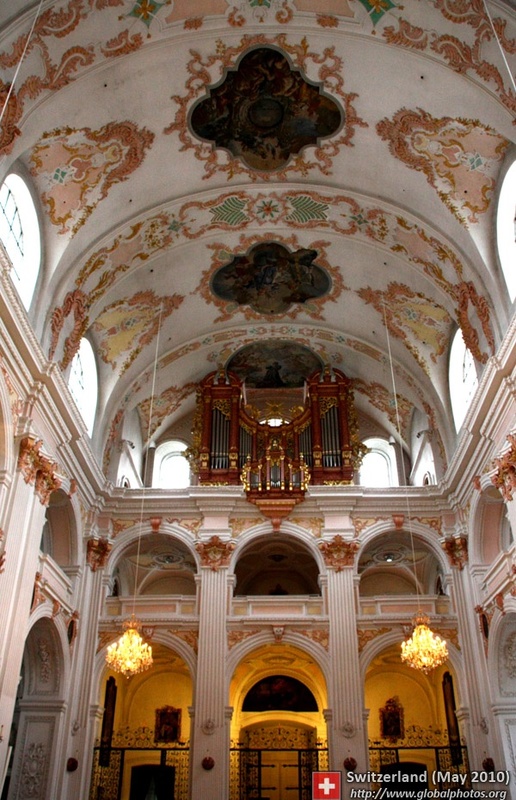 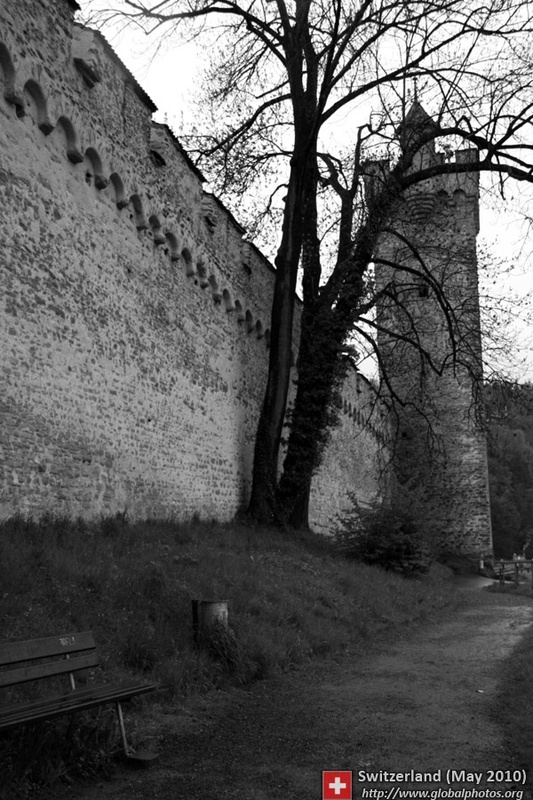 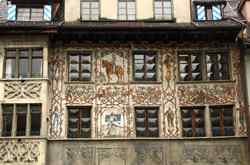 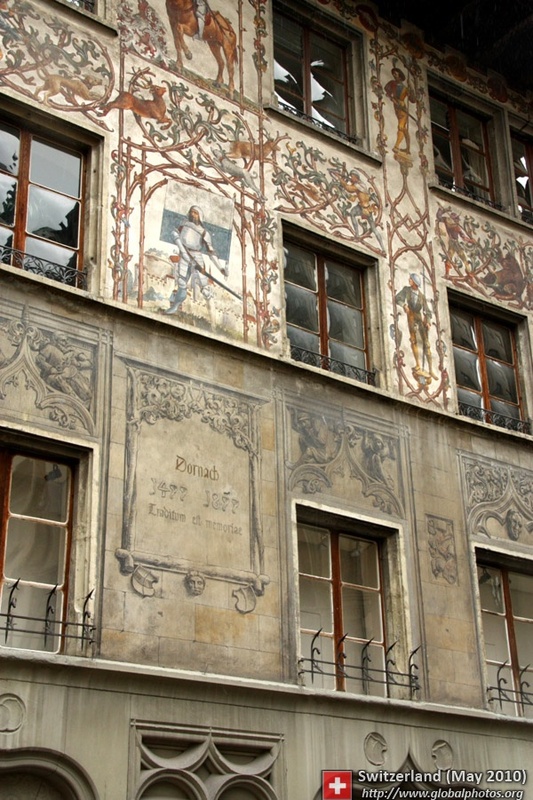 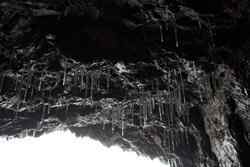 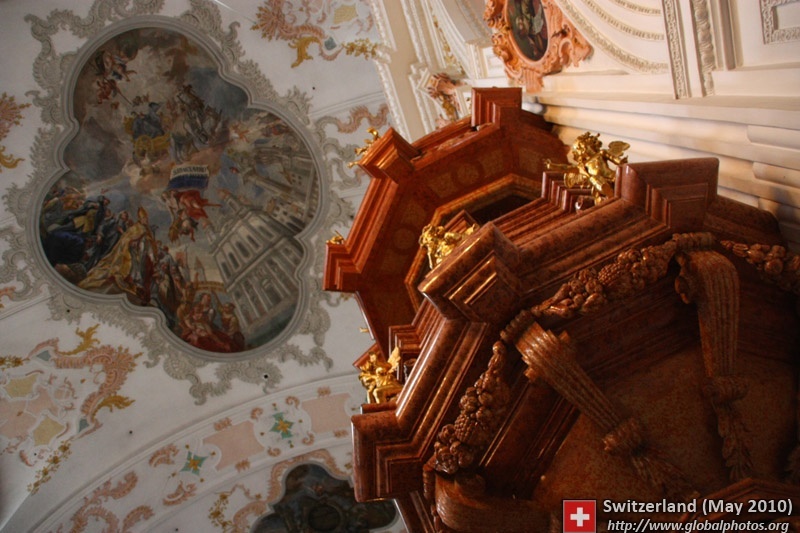 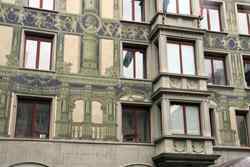 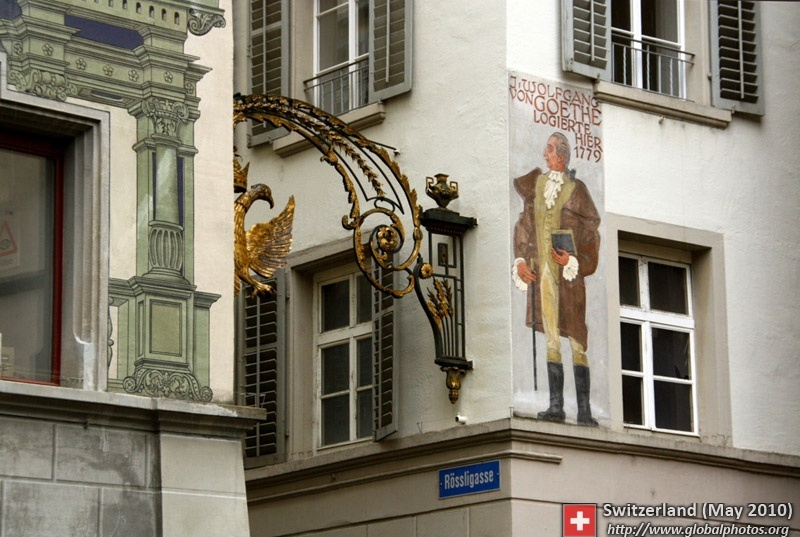 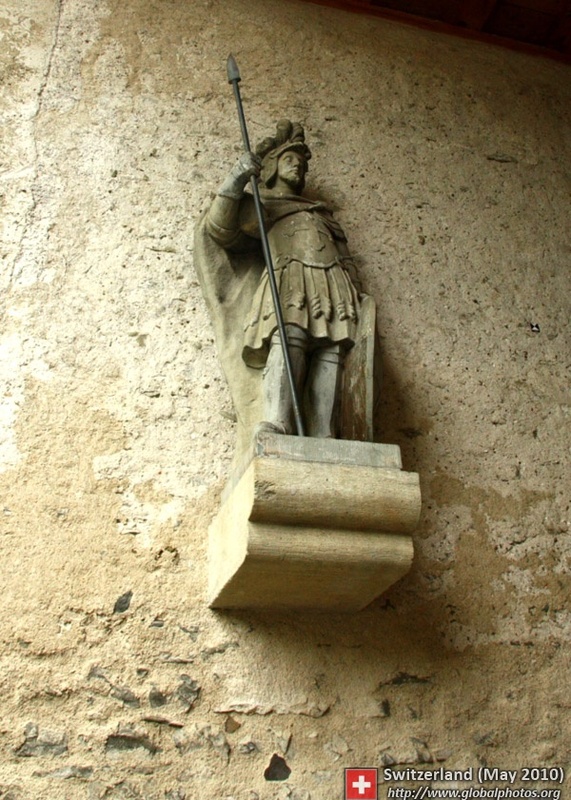 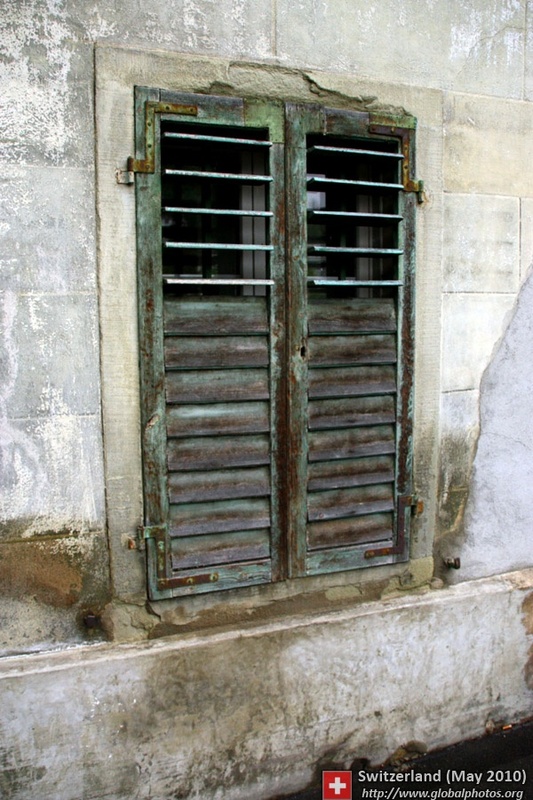 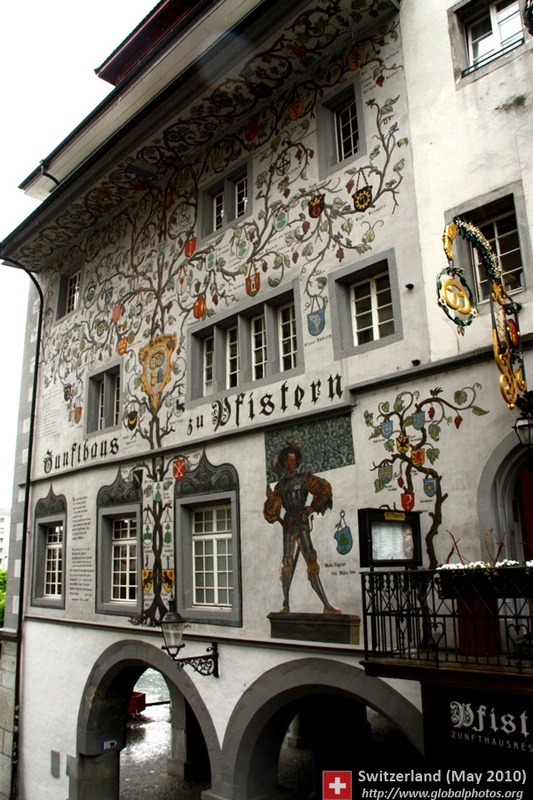 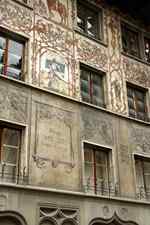 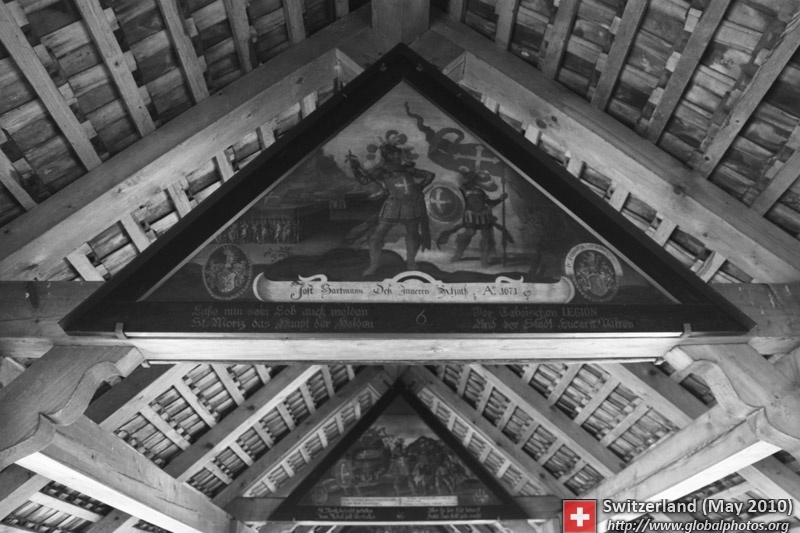 Paintings illustrating Swiss and local history were added in the 17th century, although some have been damaged by fire in 1993. 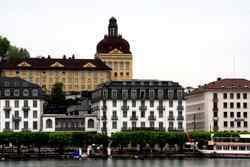 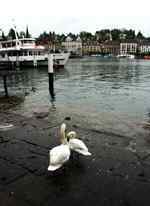 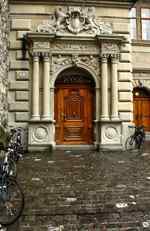 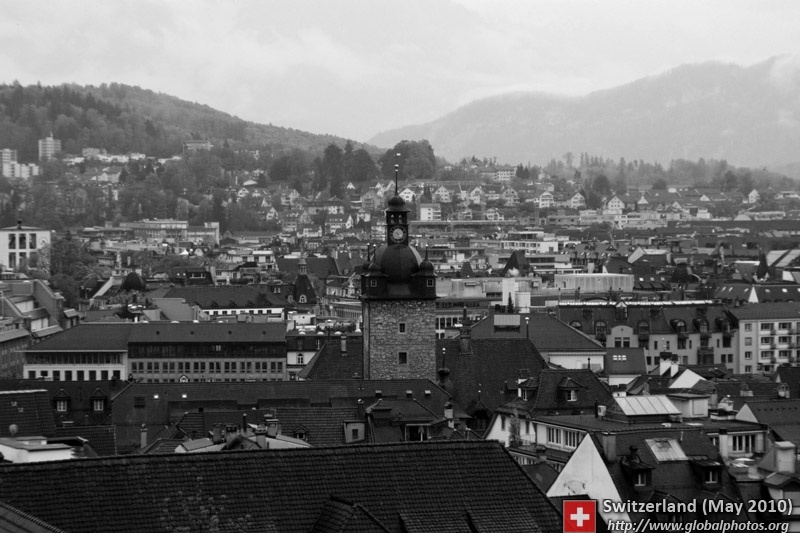 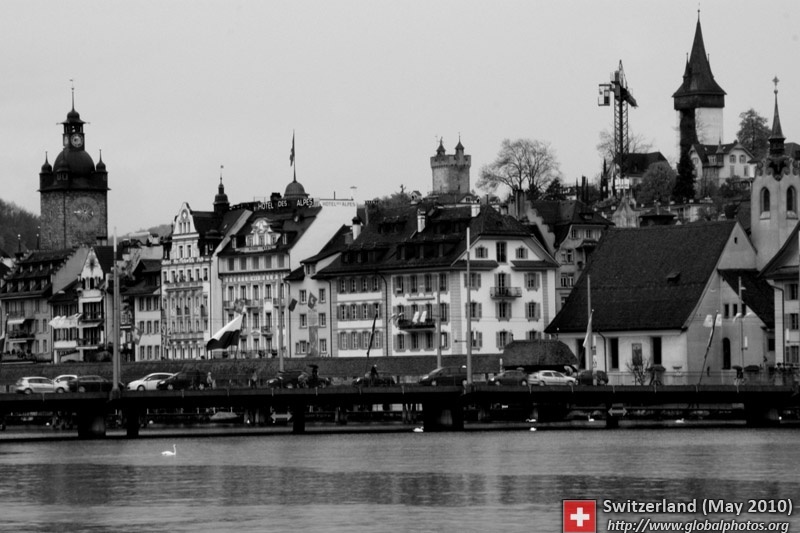 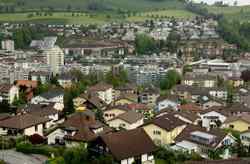 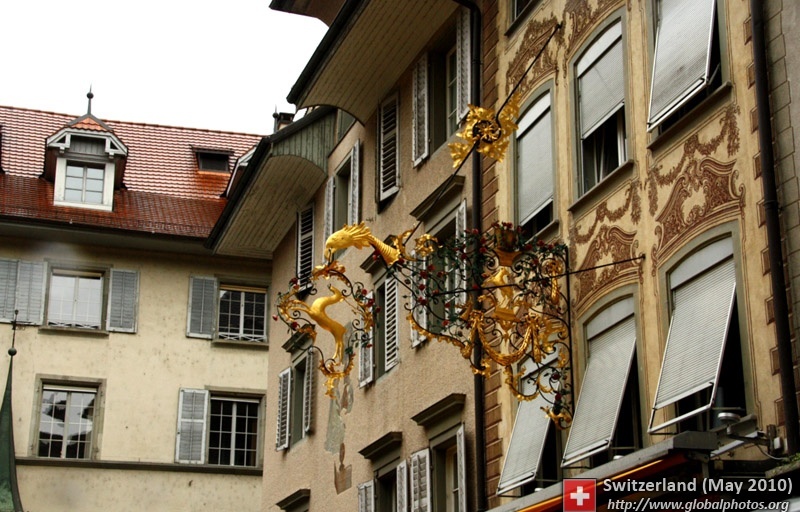 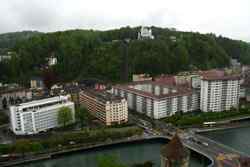 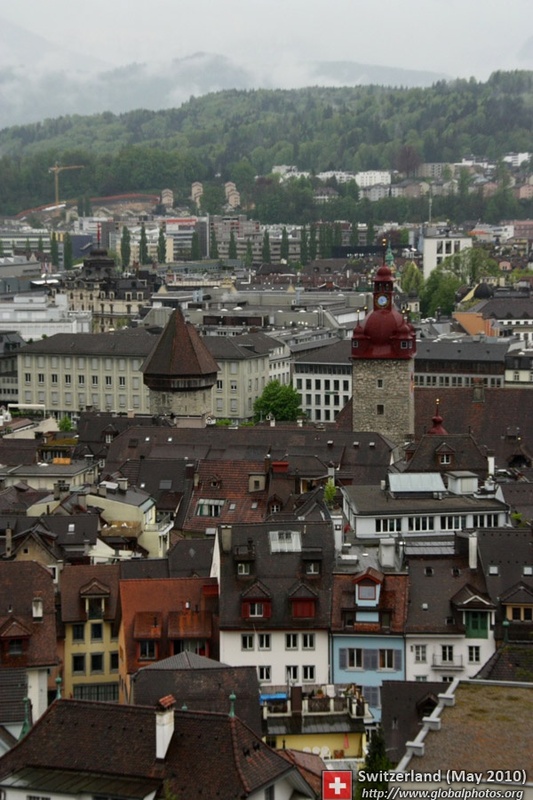 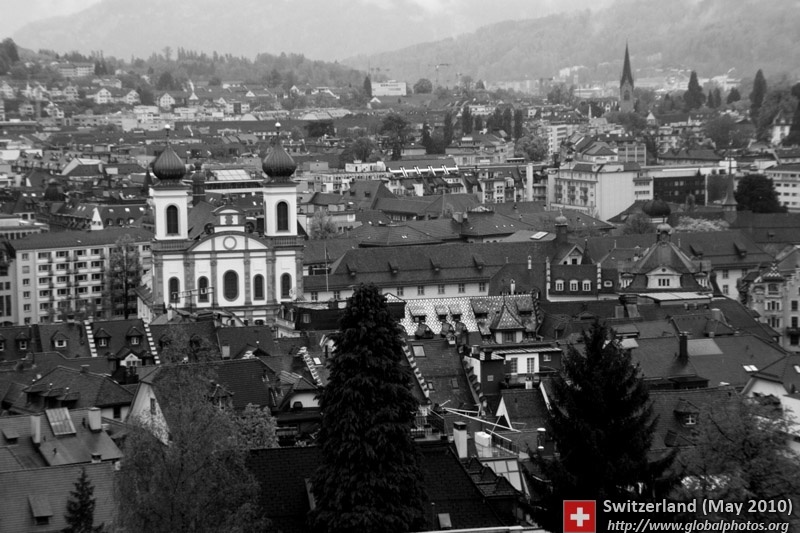 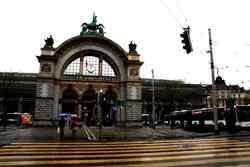 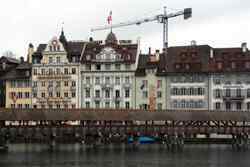 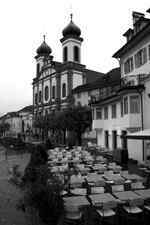 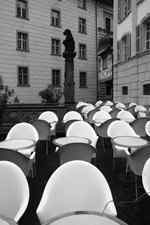 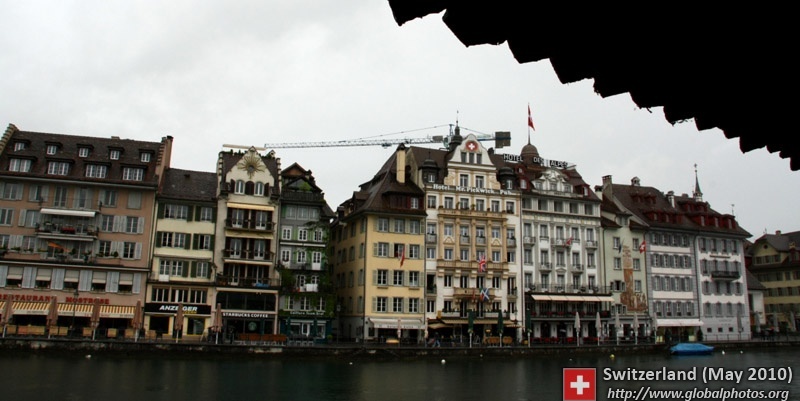 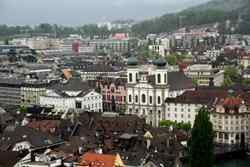 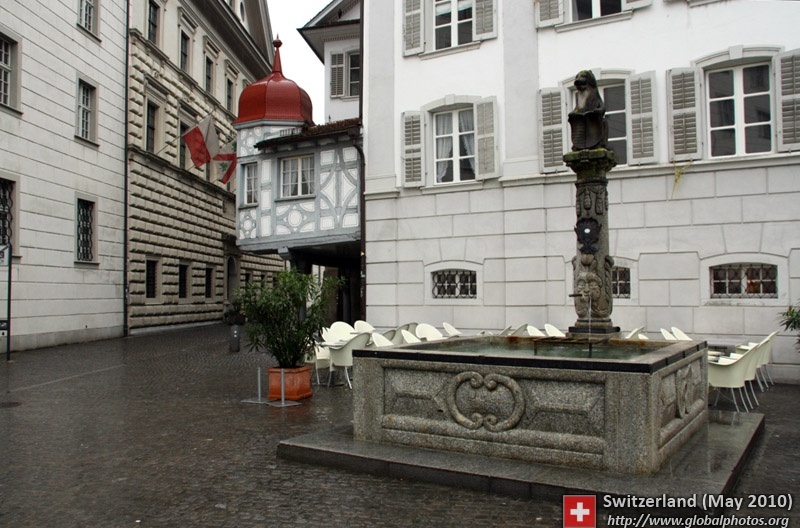 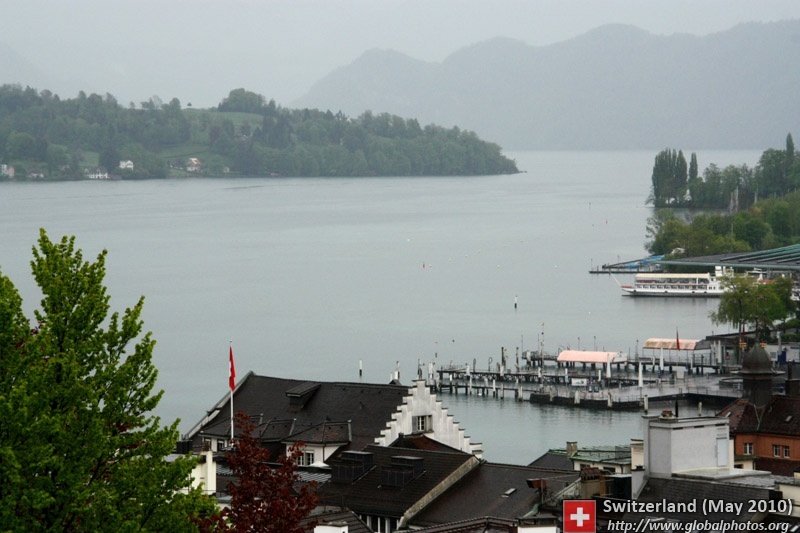 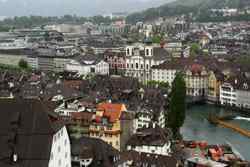 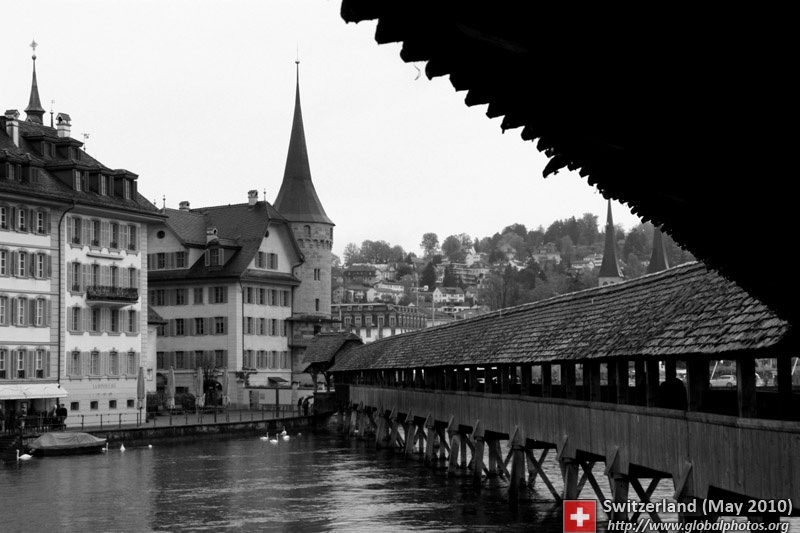 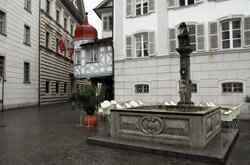 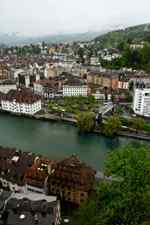 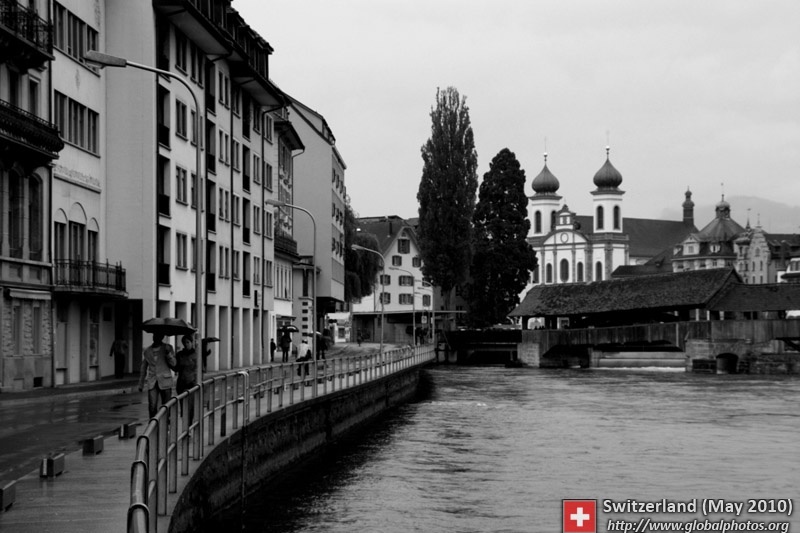 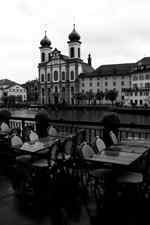 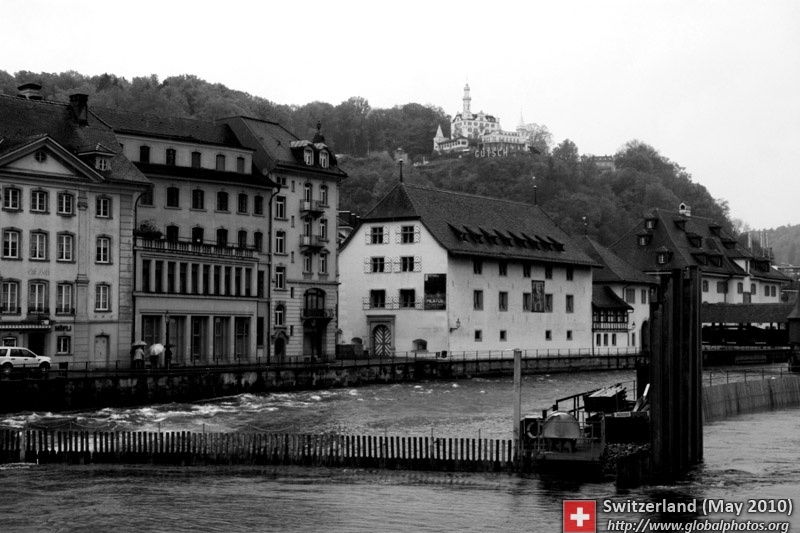 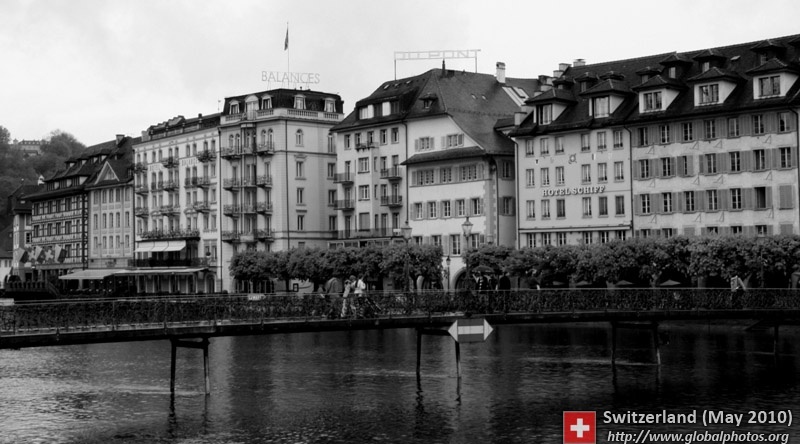 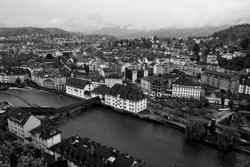 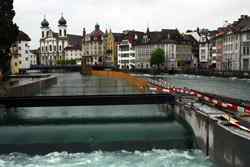 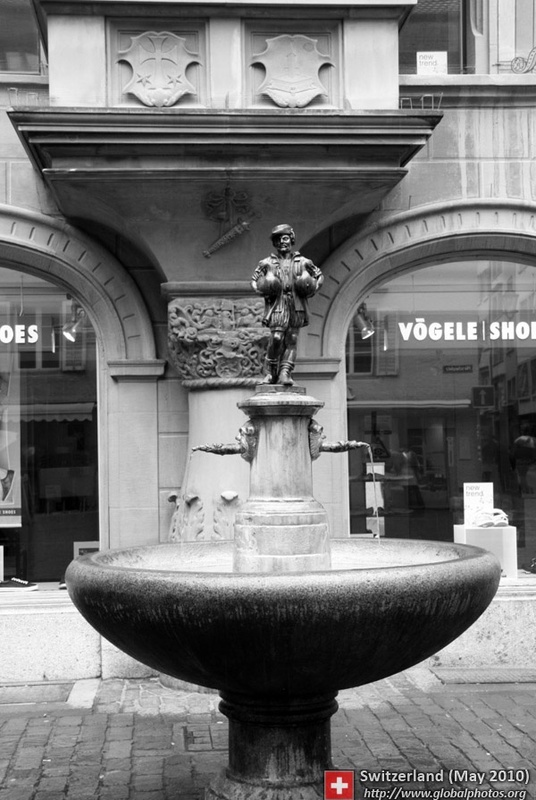 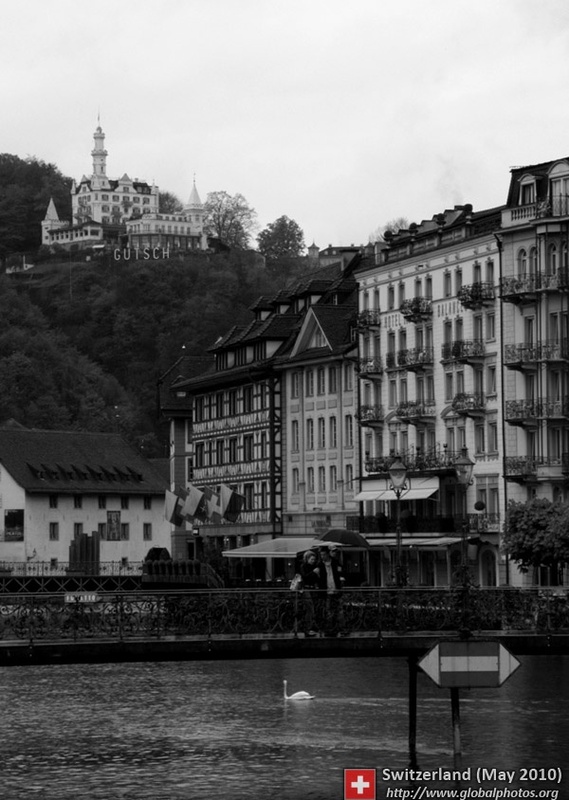 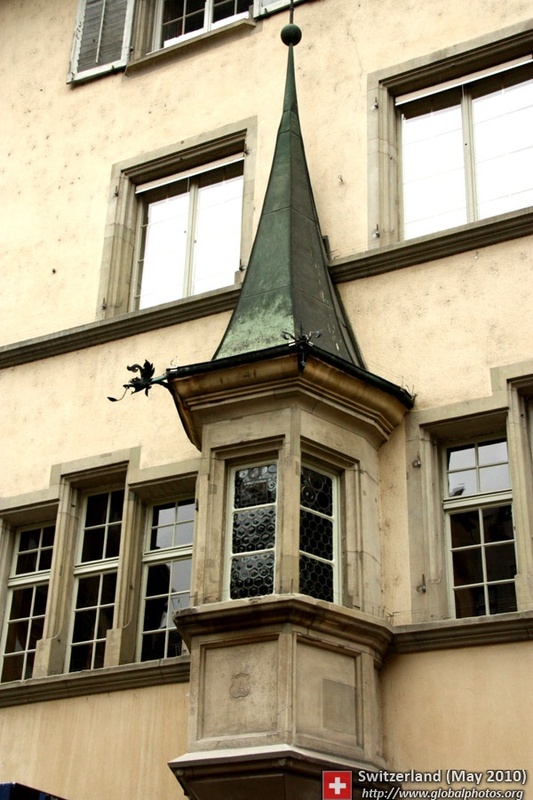 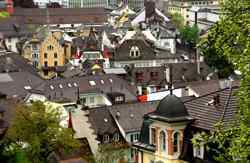 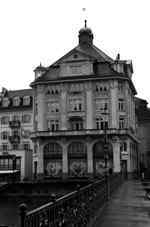 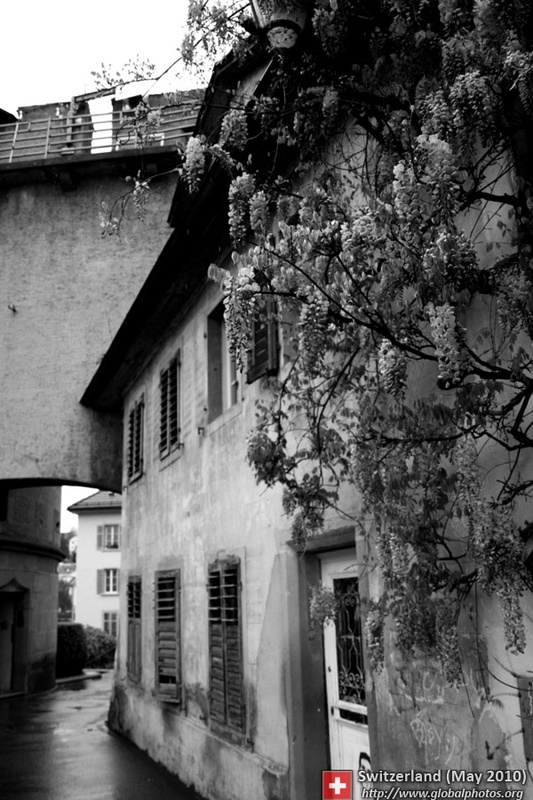 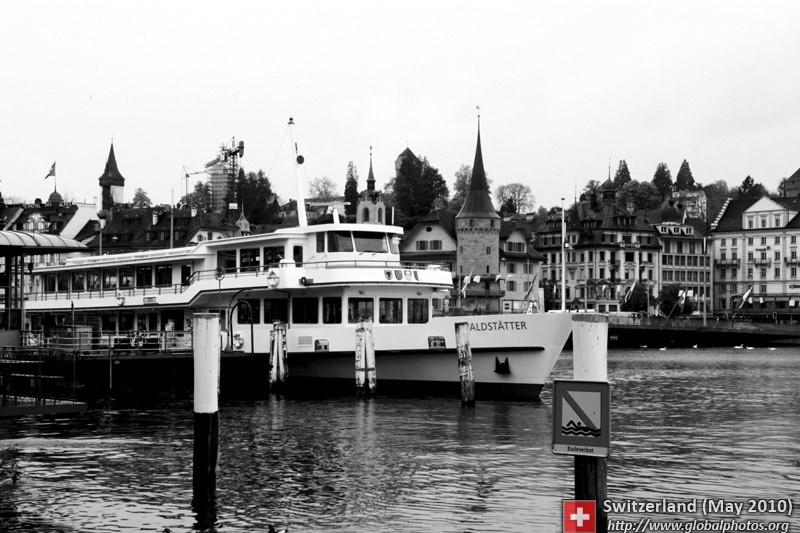 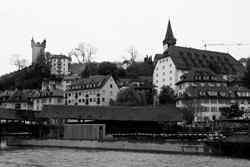 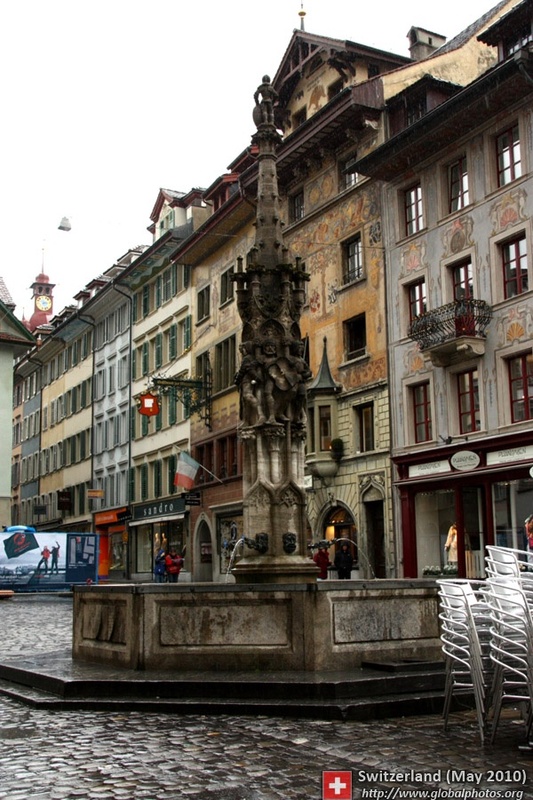 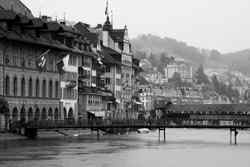 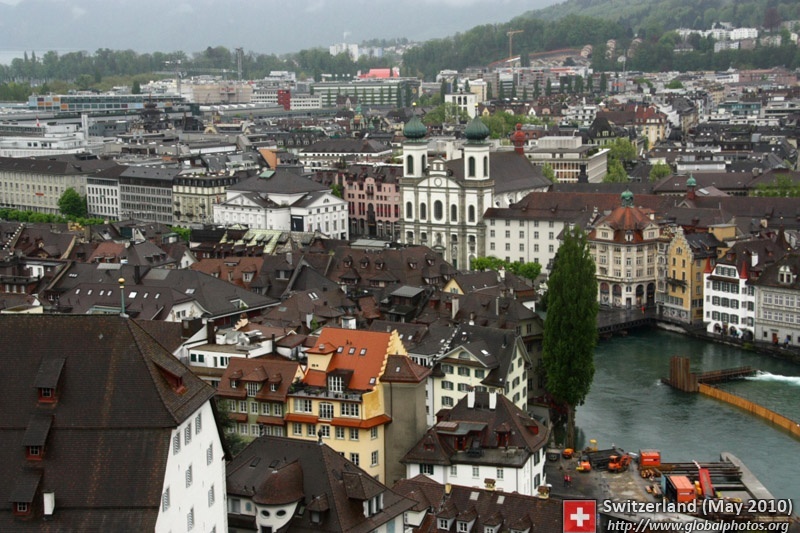 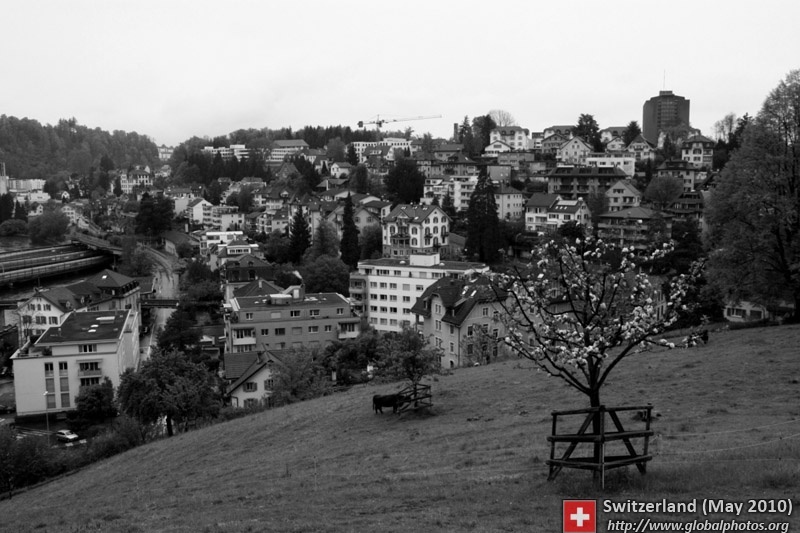 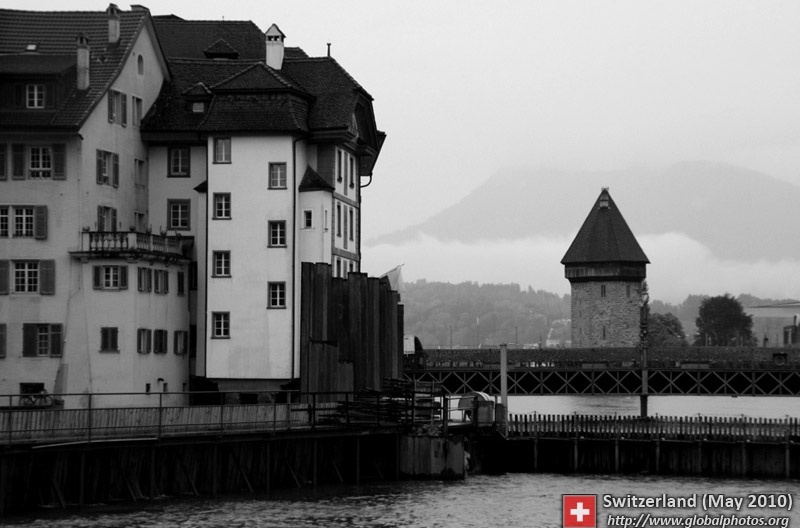 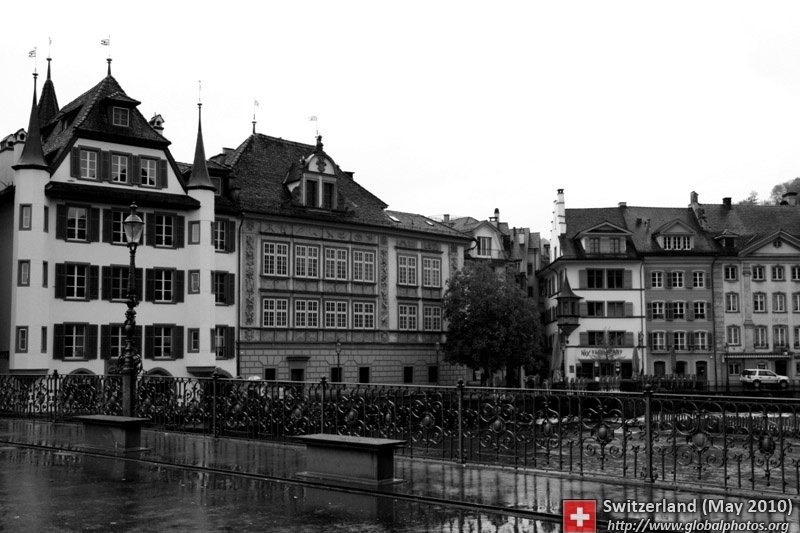 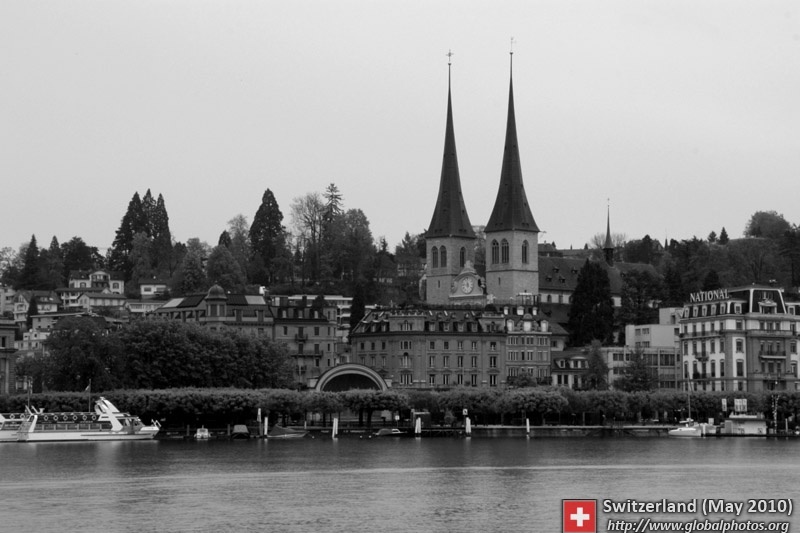 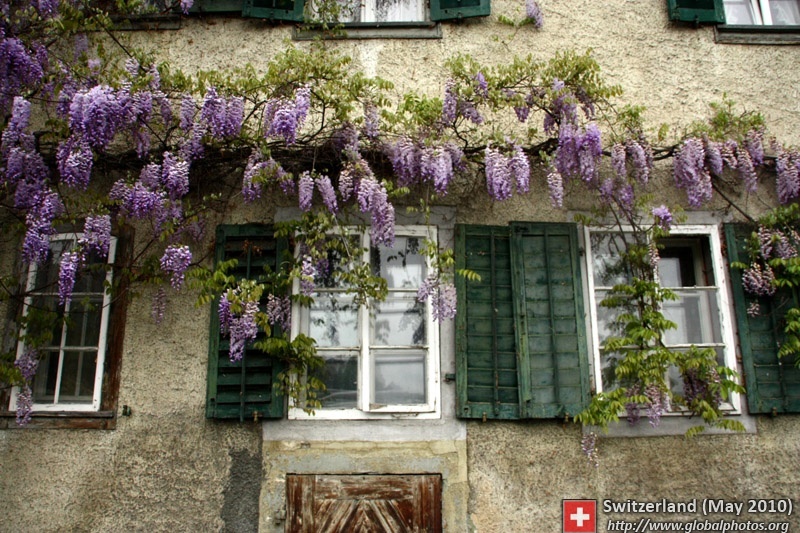 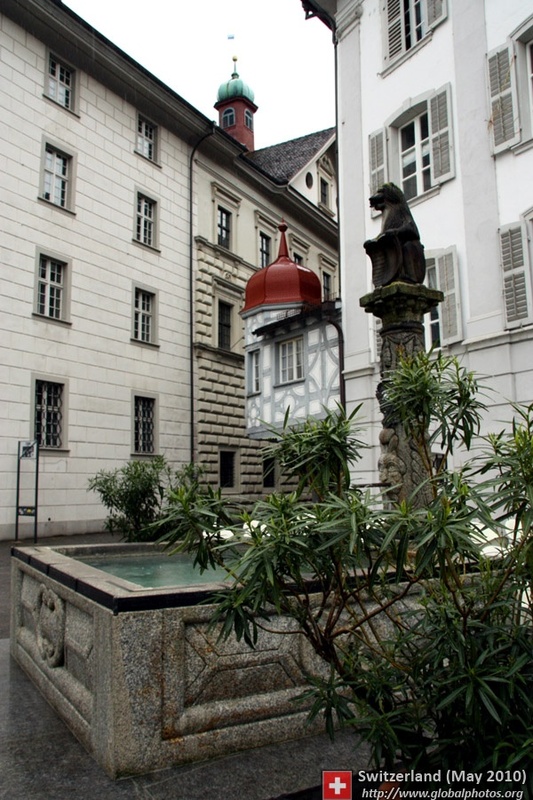 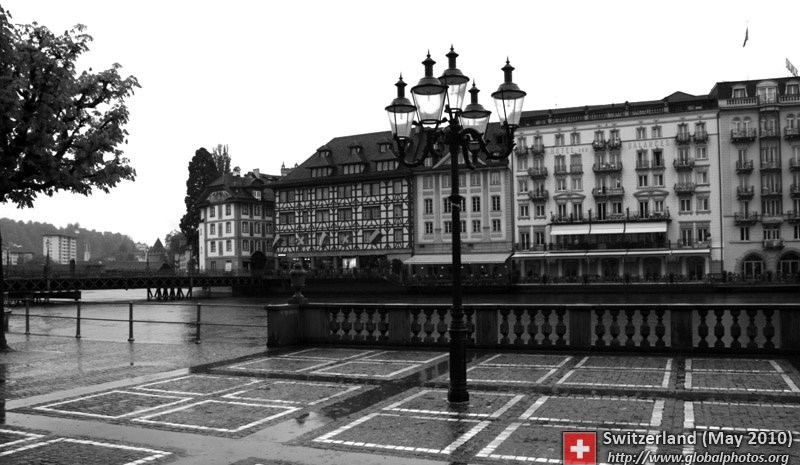 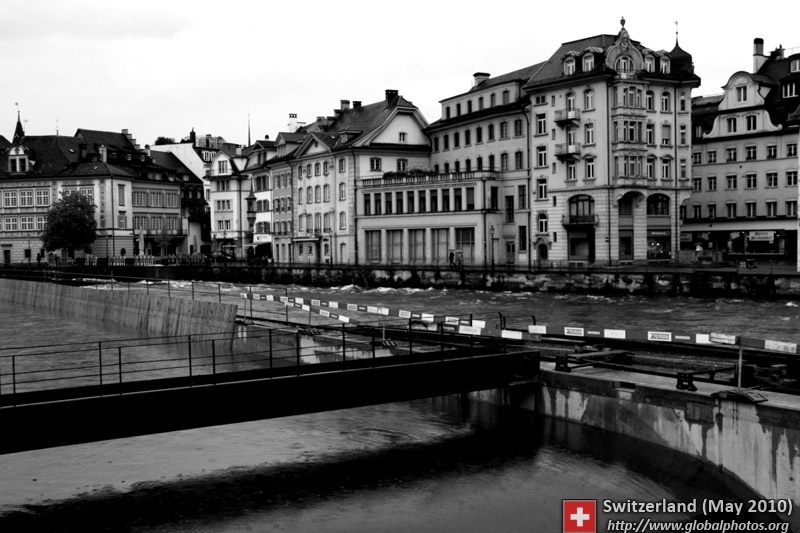 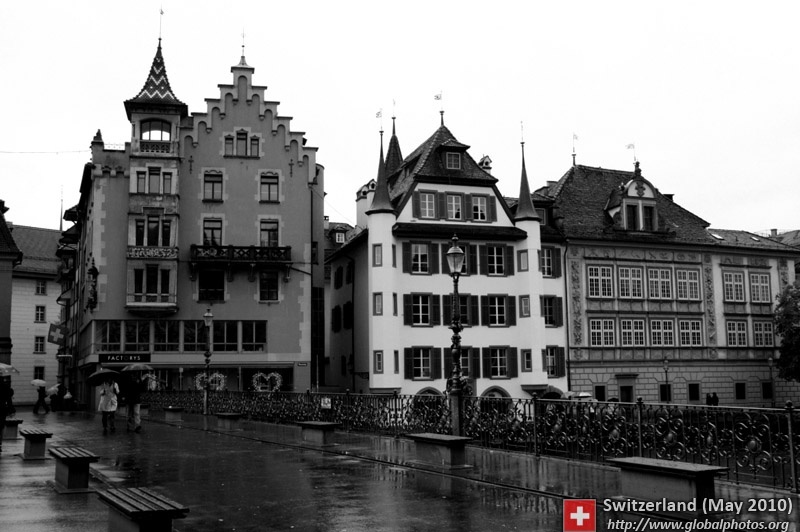 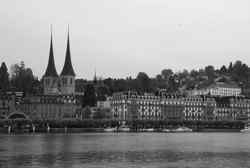 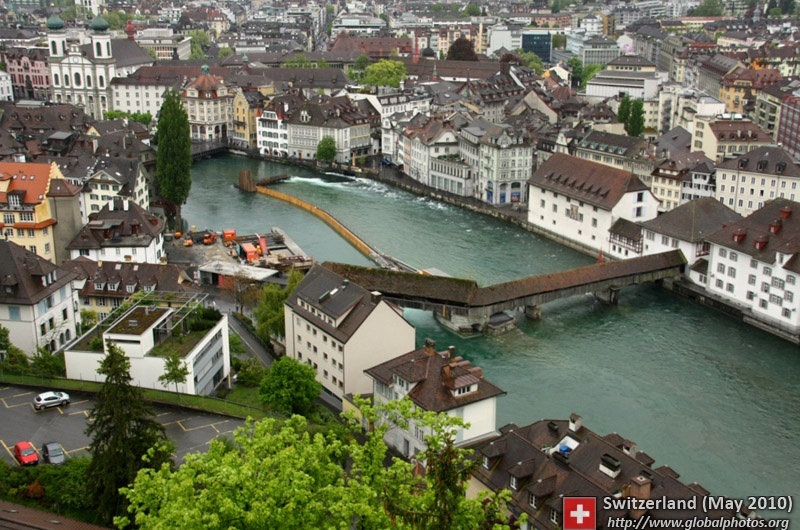 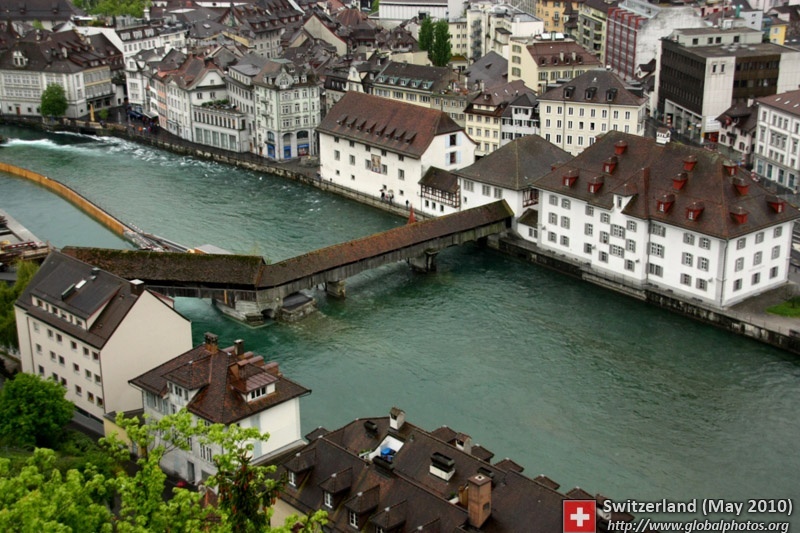 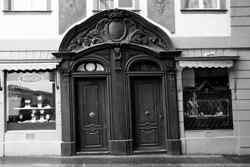 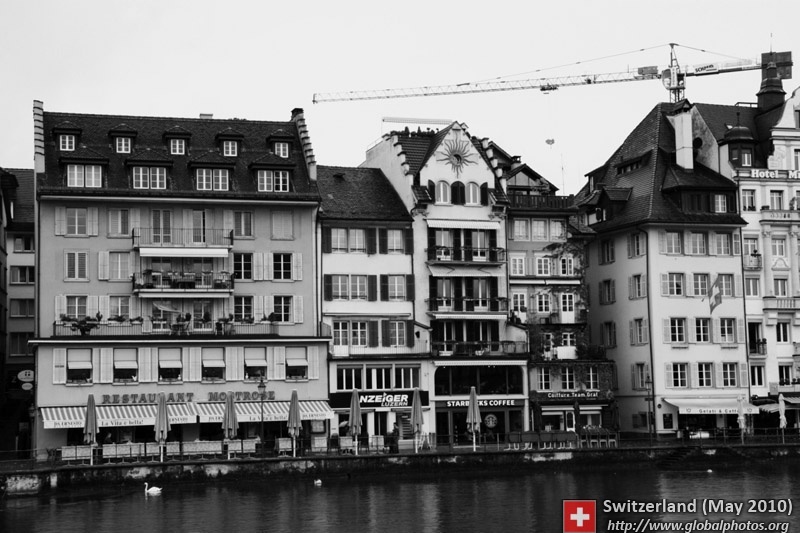 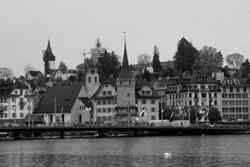 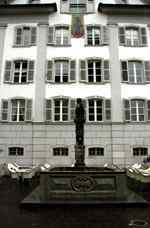 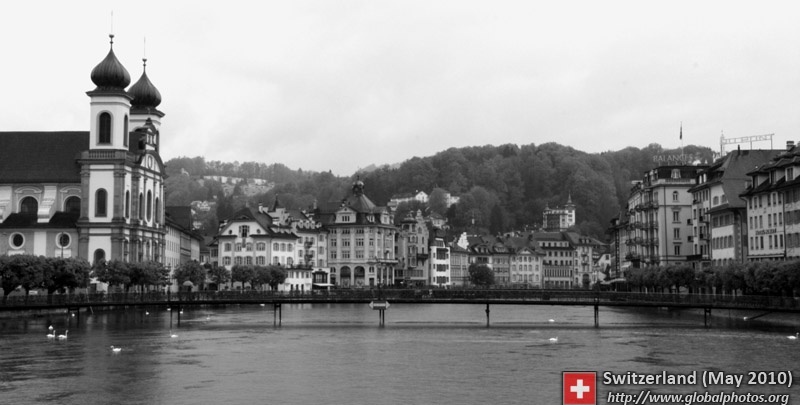 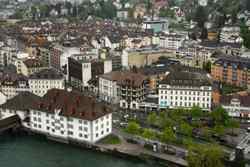 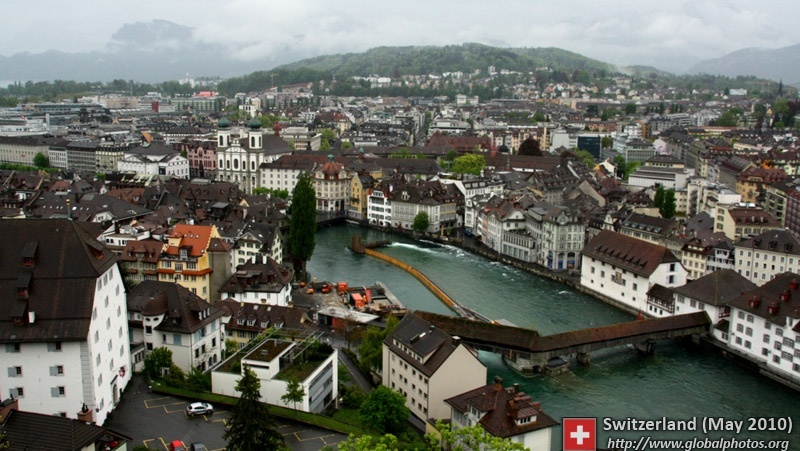 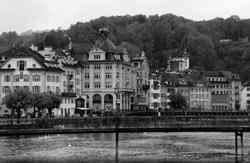 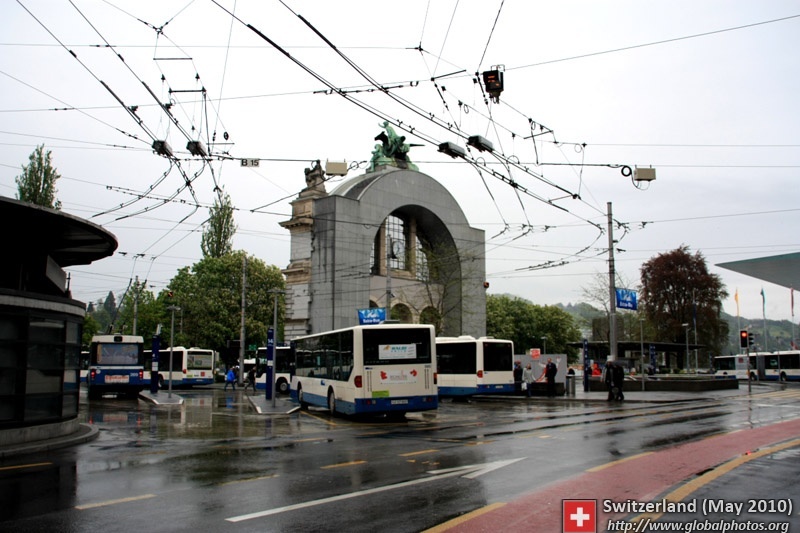 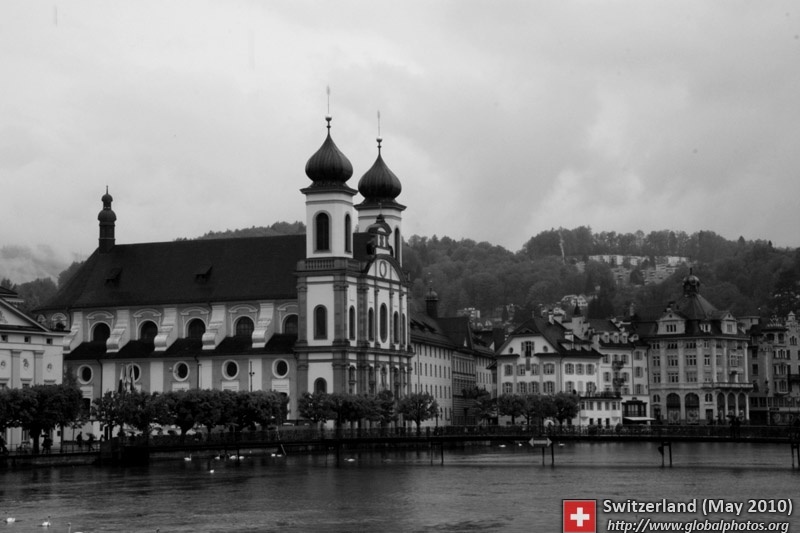 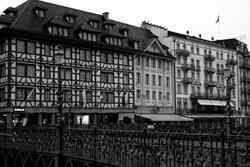 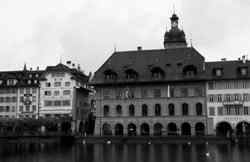 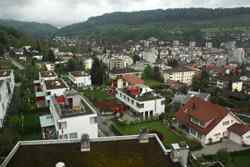 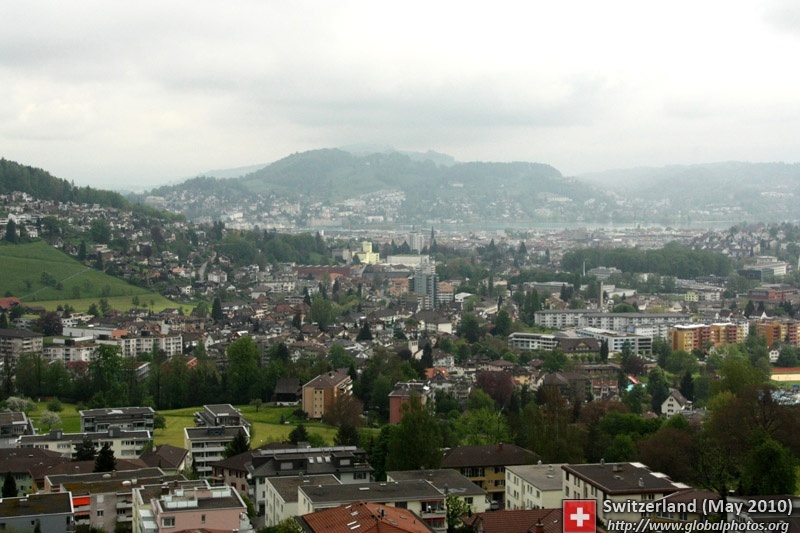 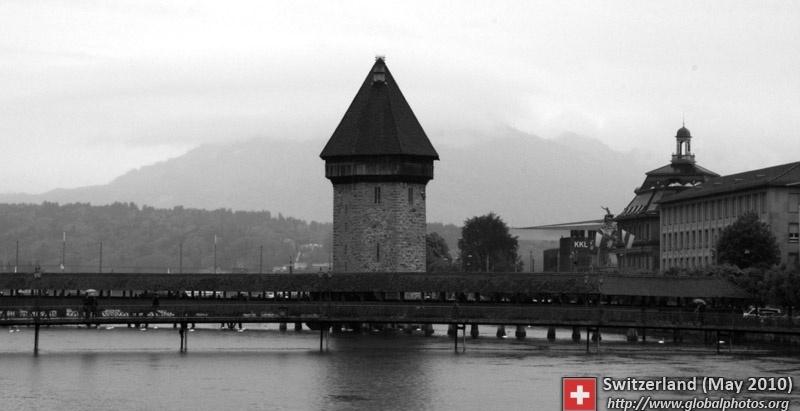 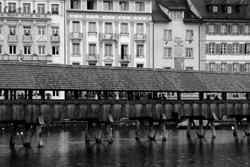 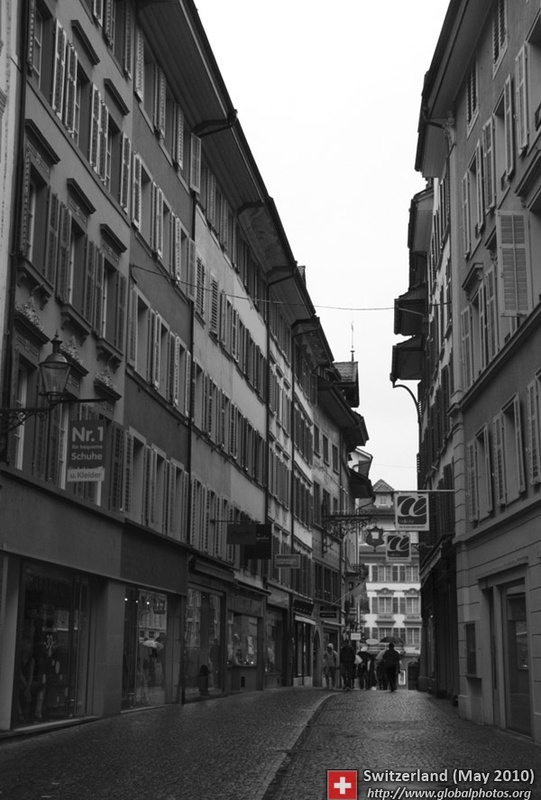 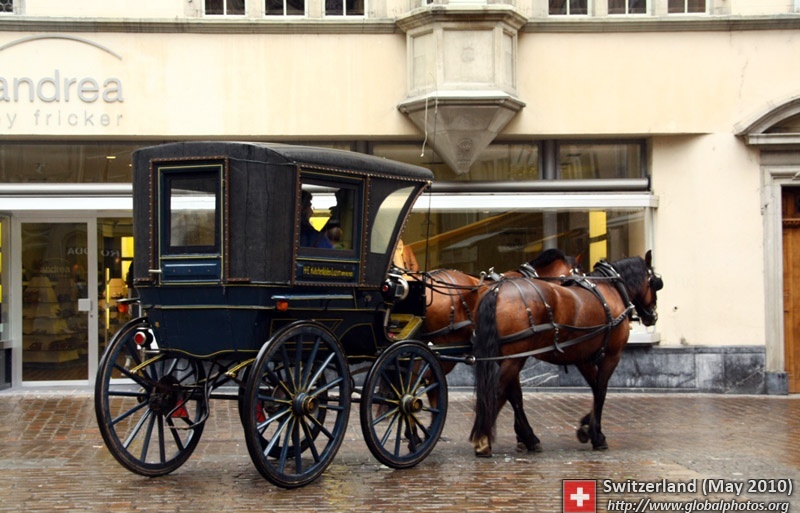 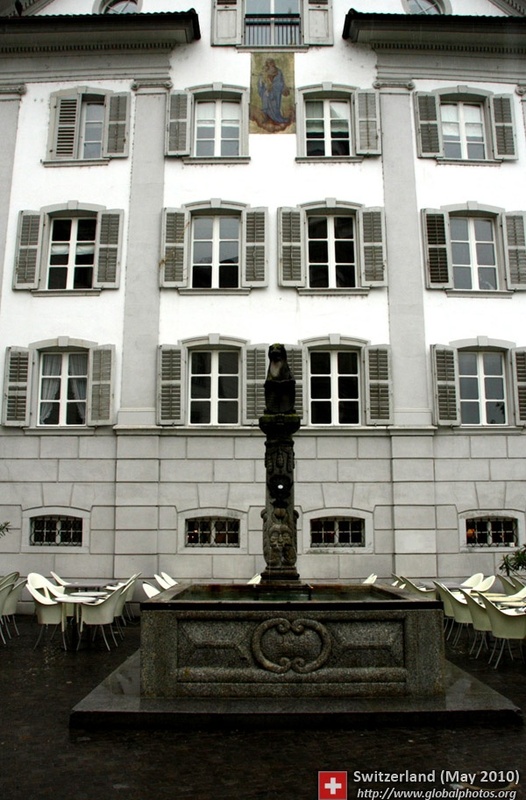 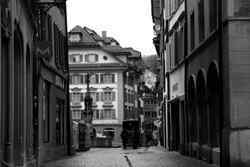 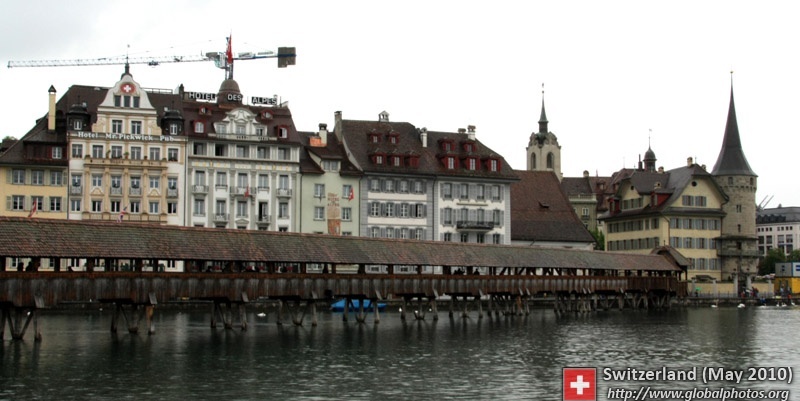 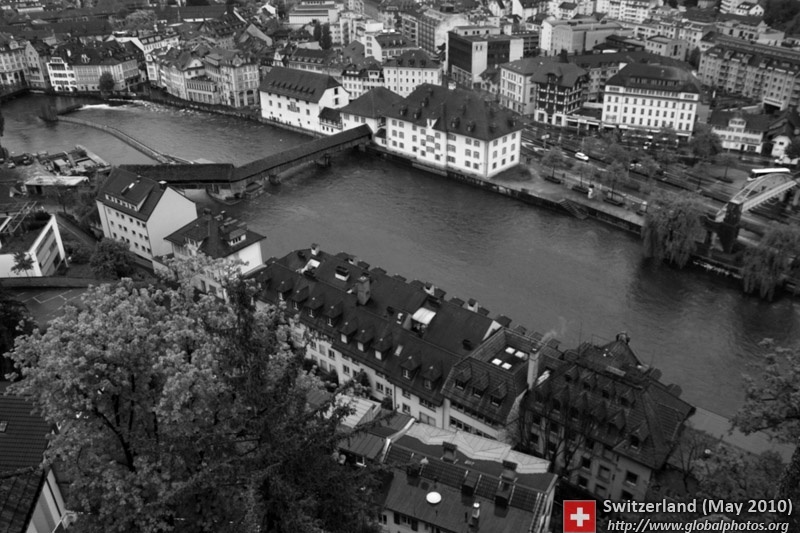 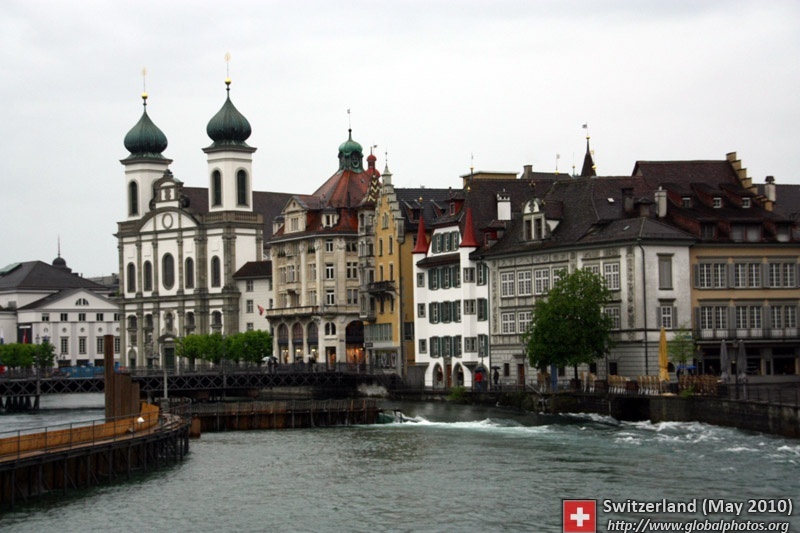 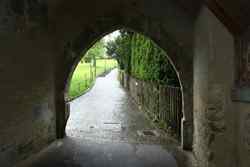 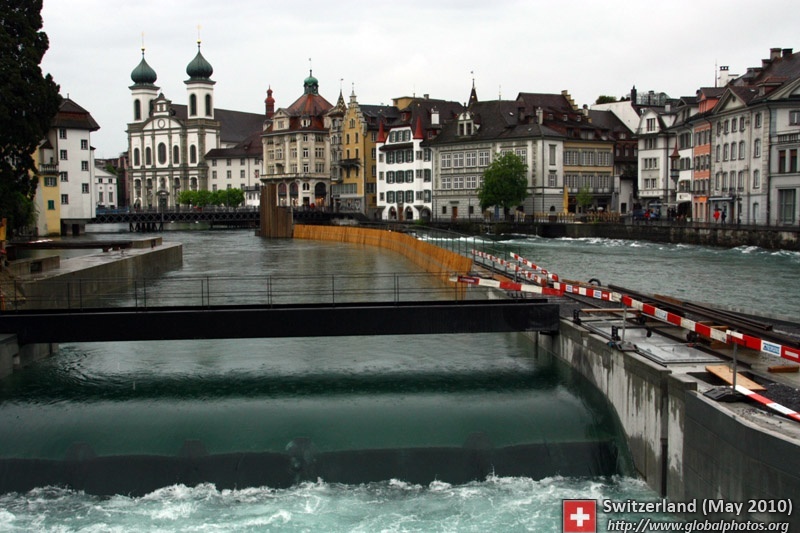 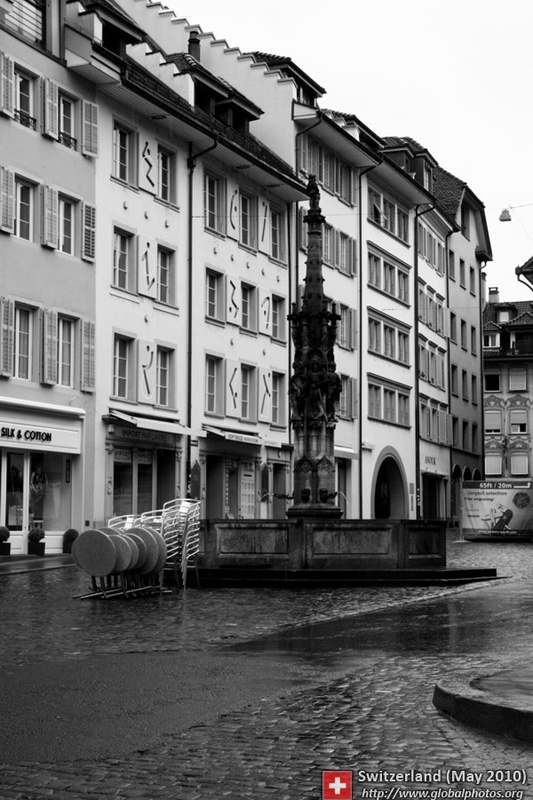 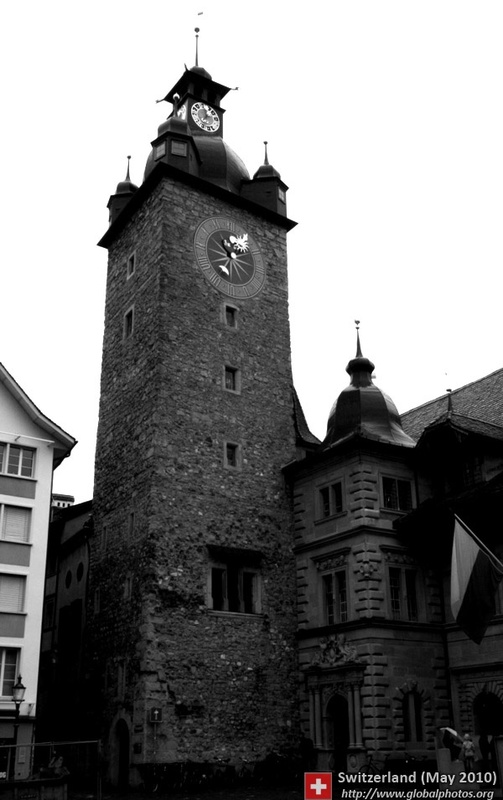 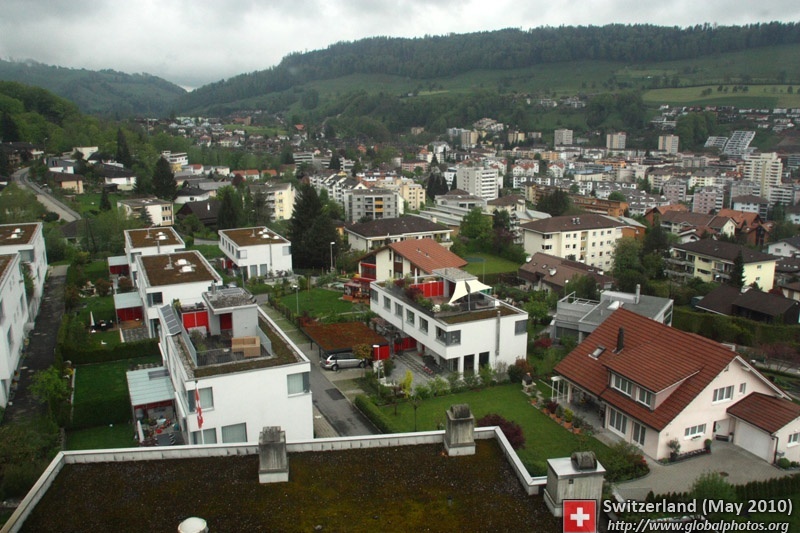 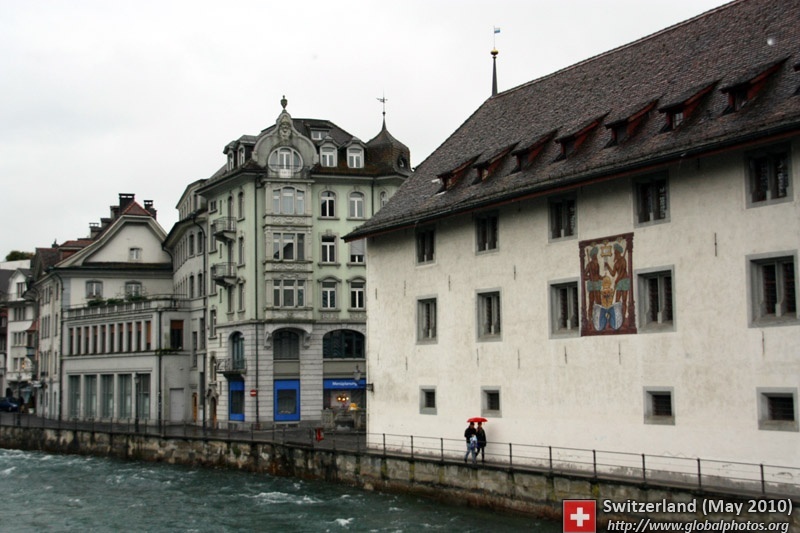 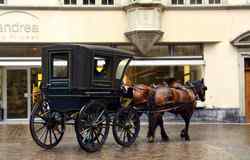 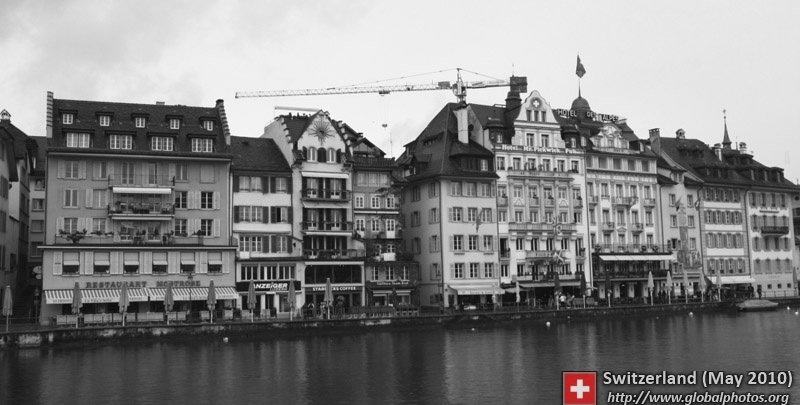 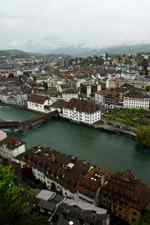 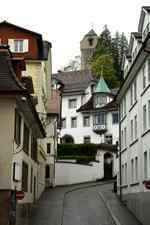 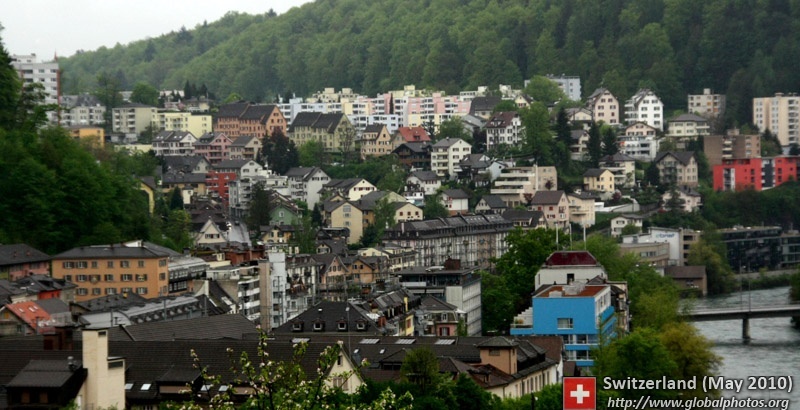 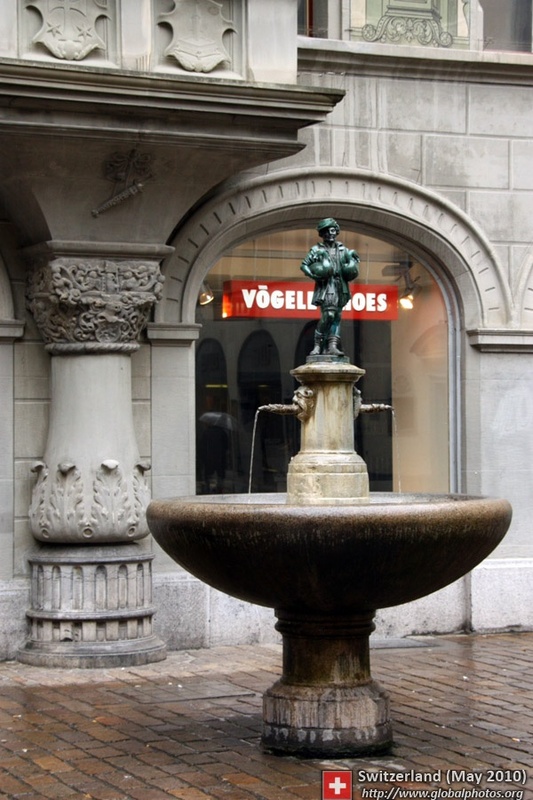 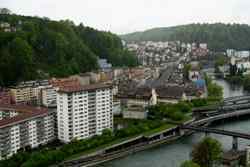 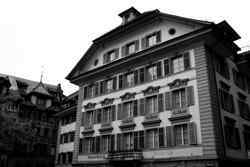 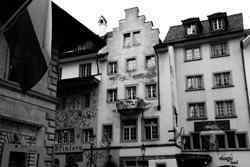 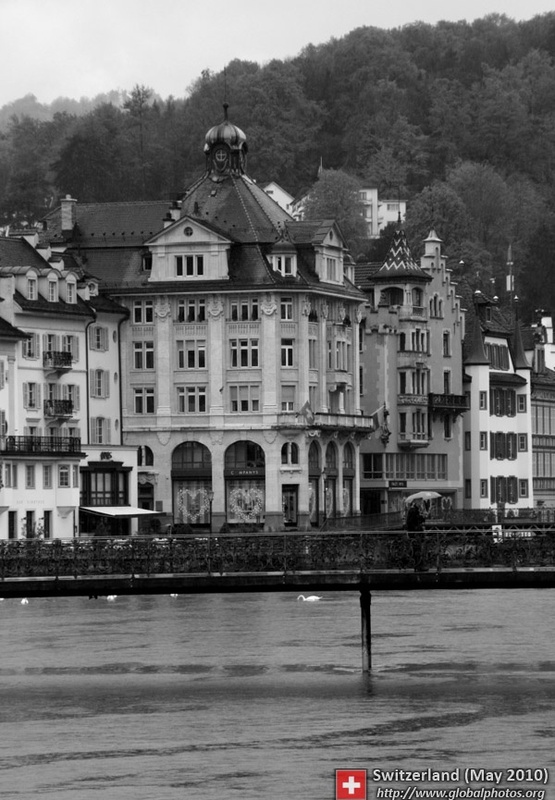 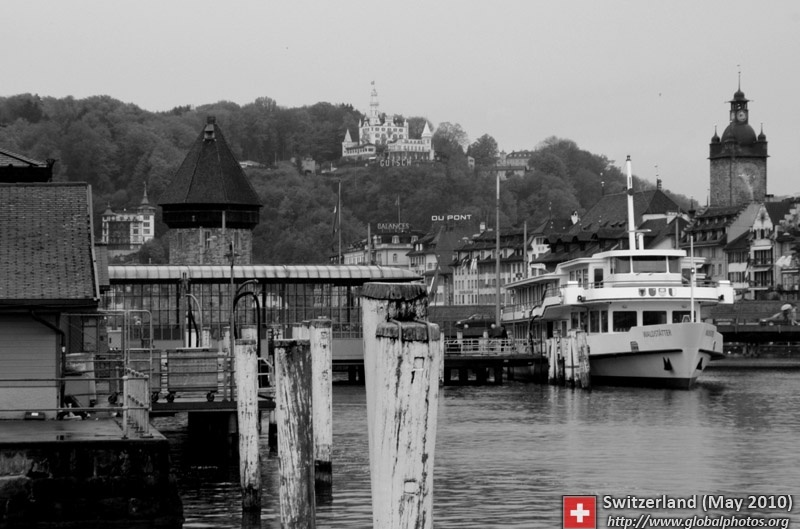 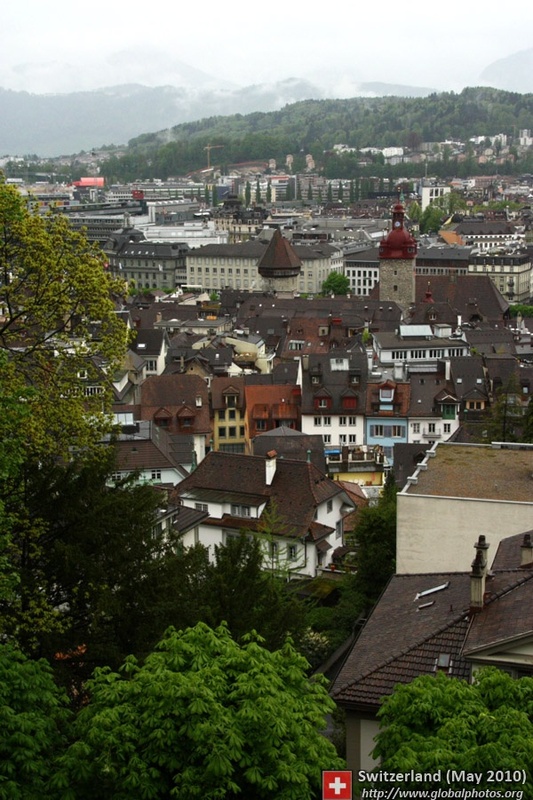 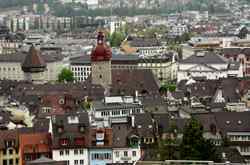 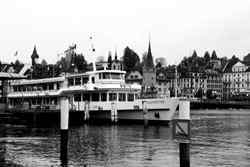 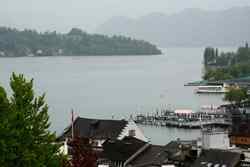 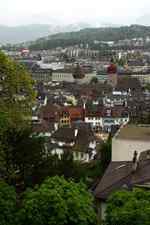 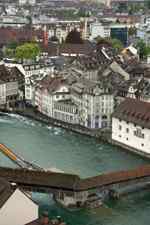 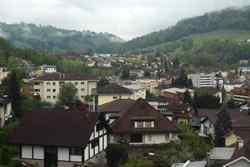 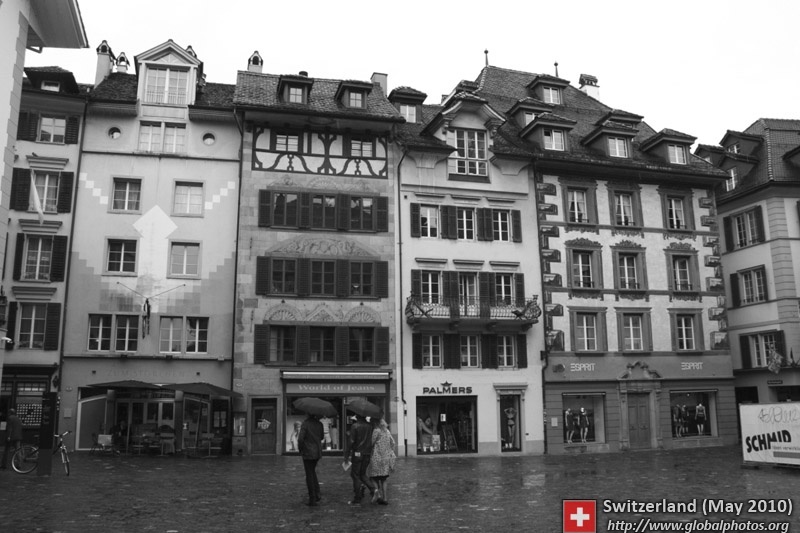 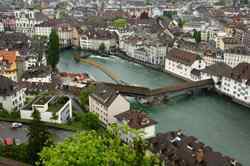 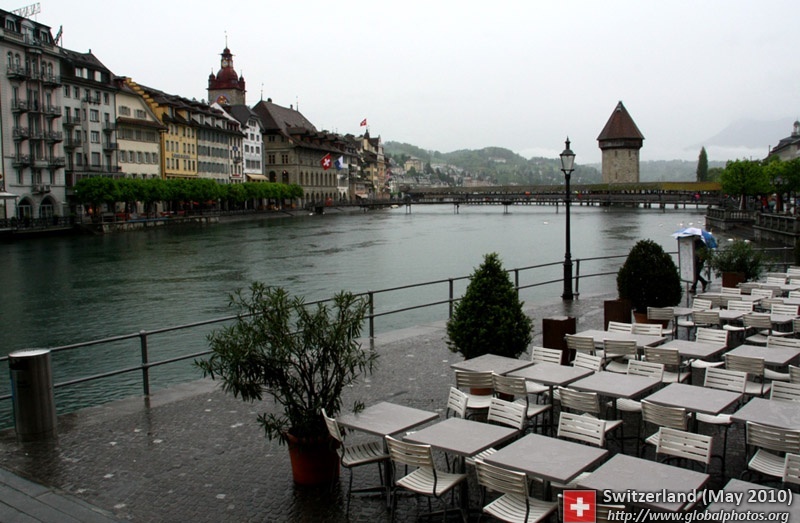 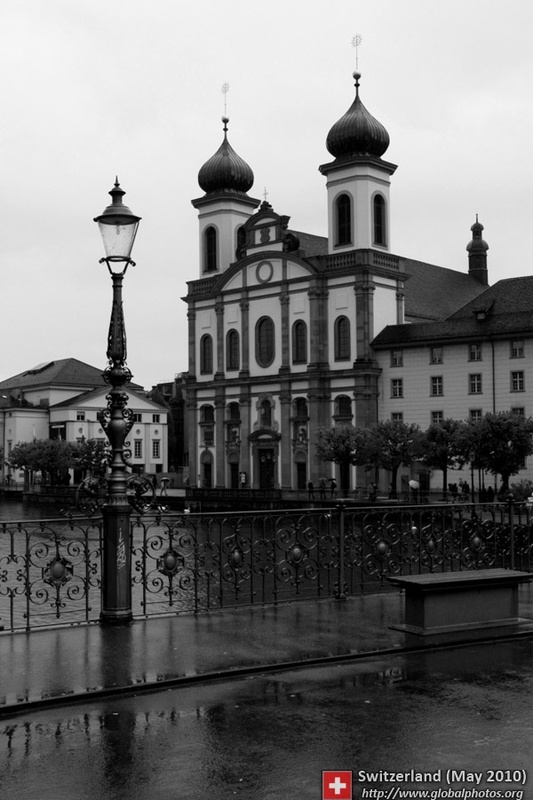 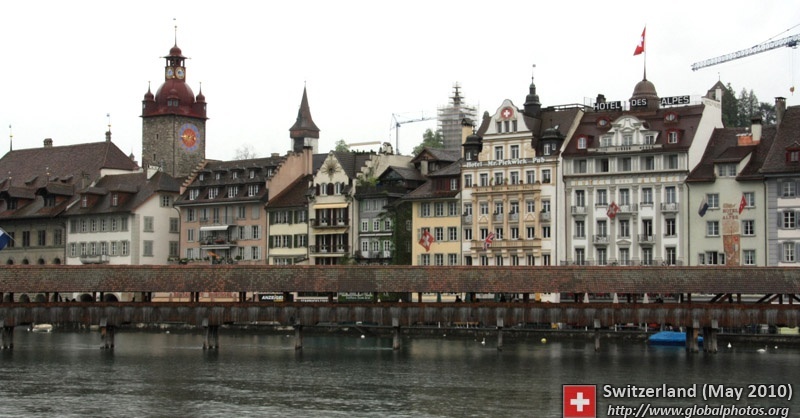 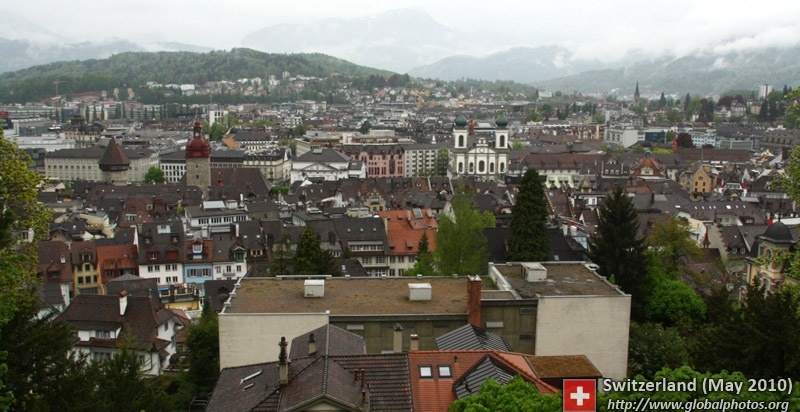 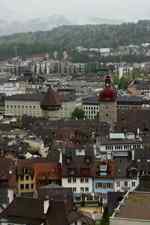 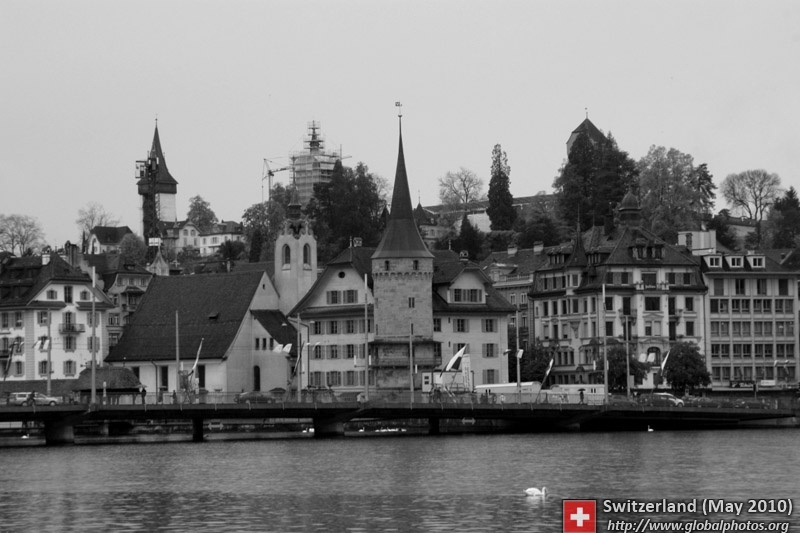 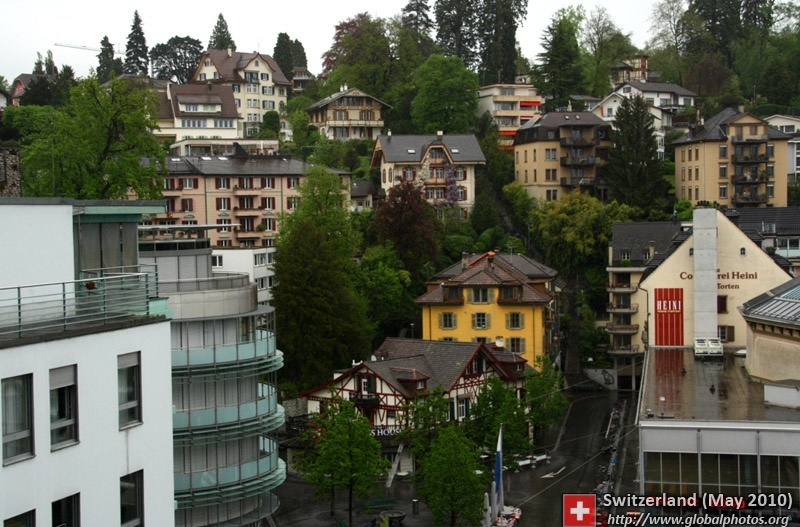 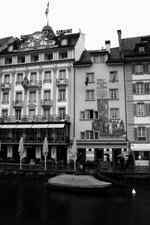 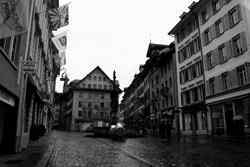 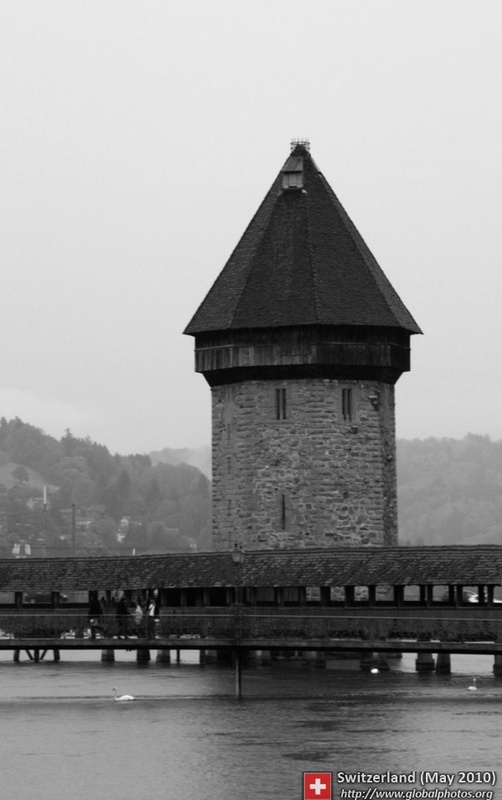 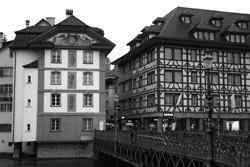 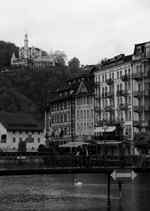 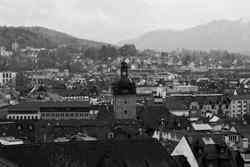 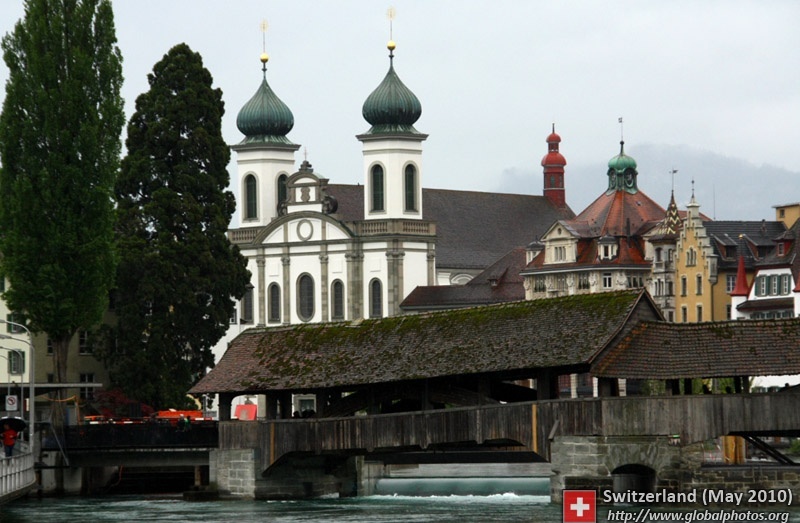 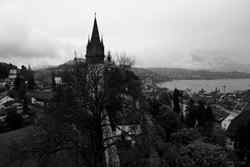 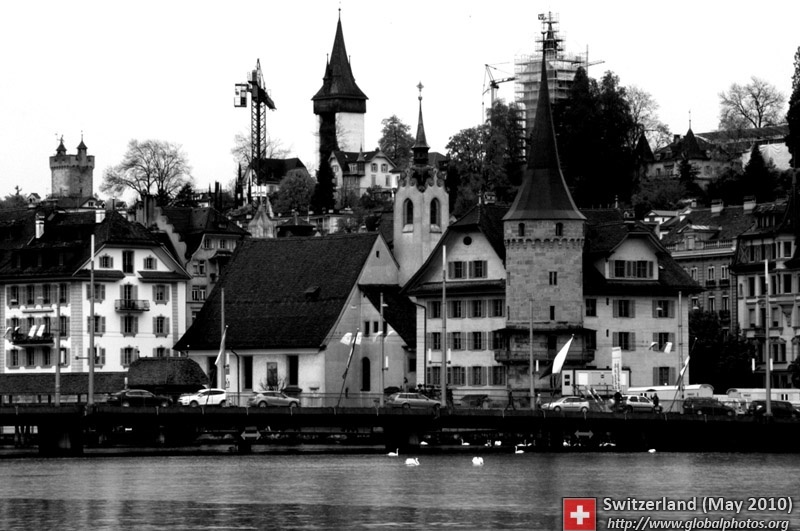 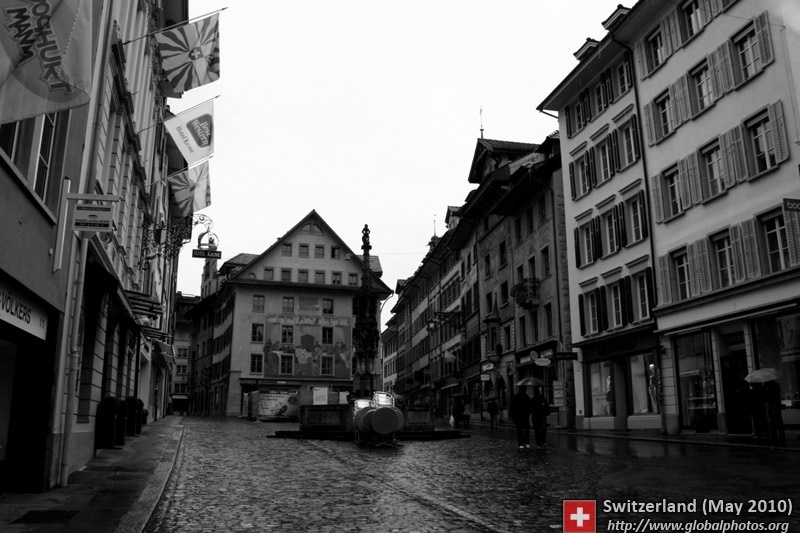 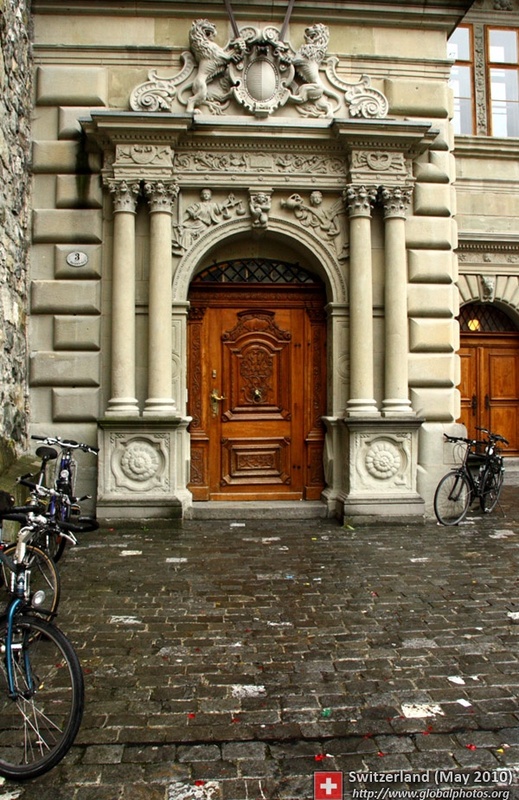 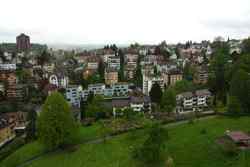 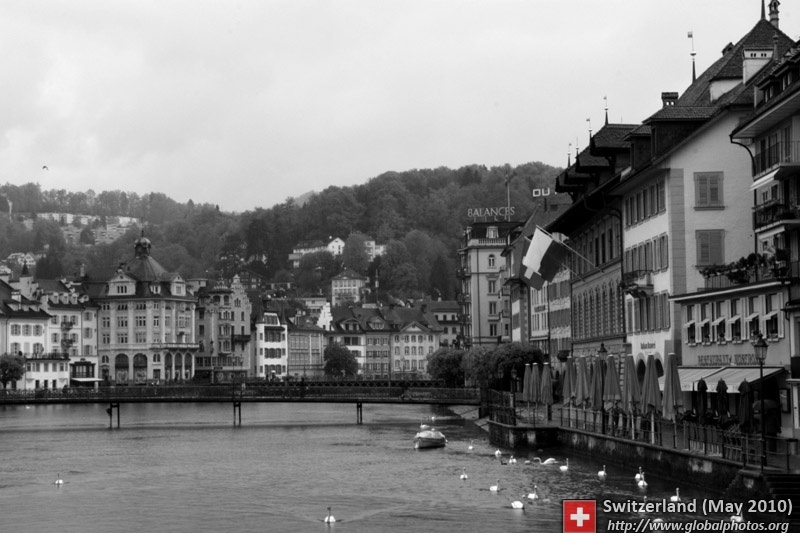 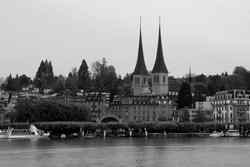 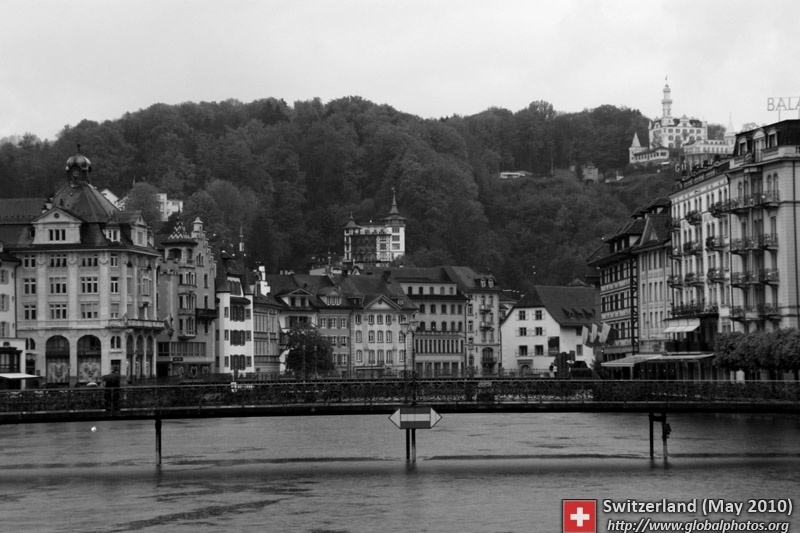 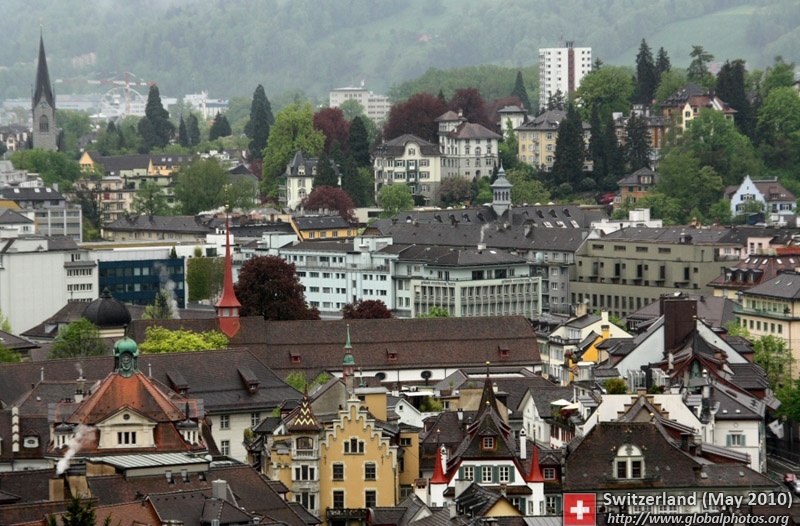 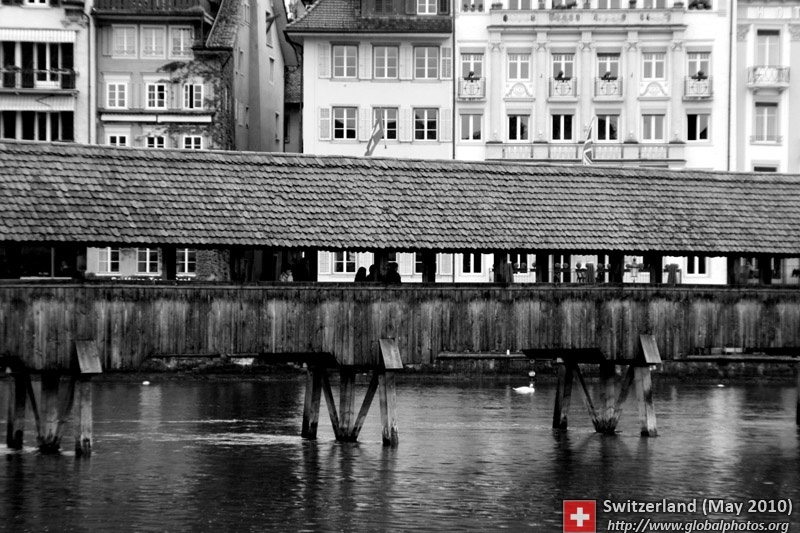 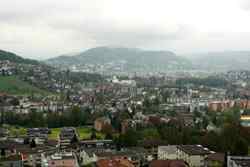 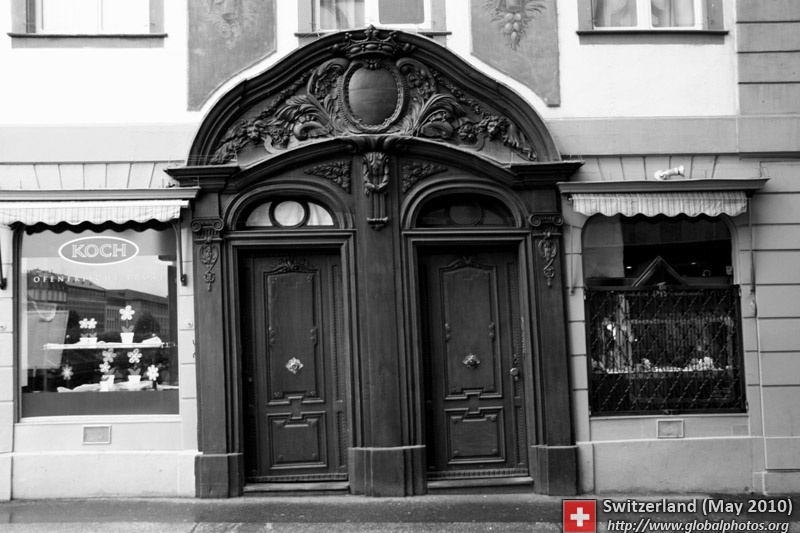 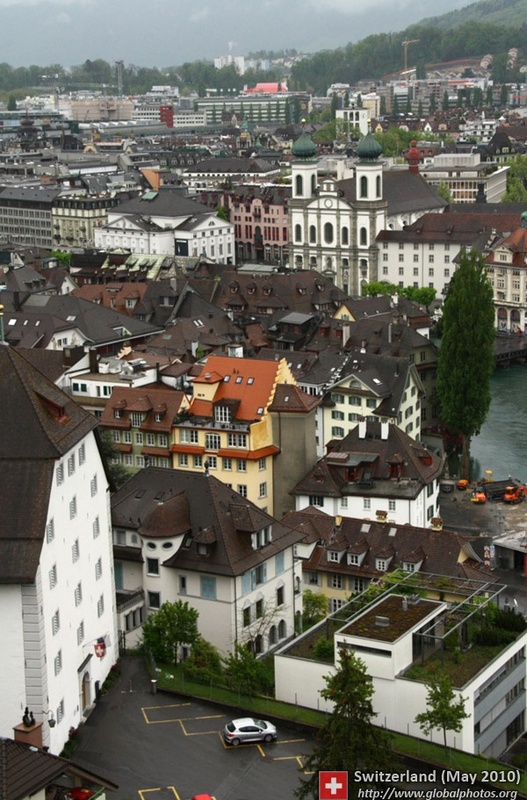 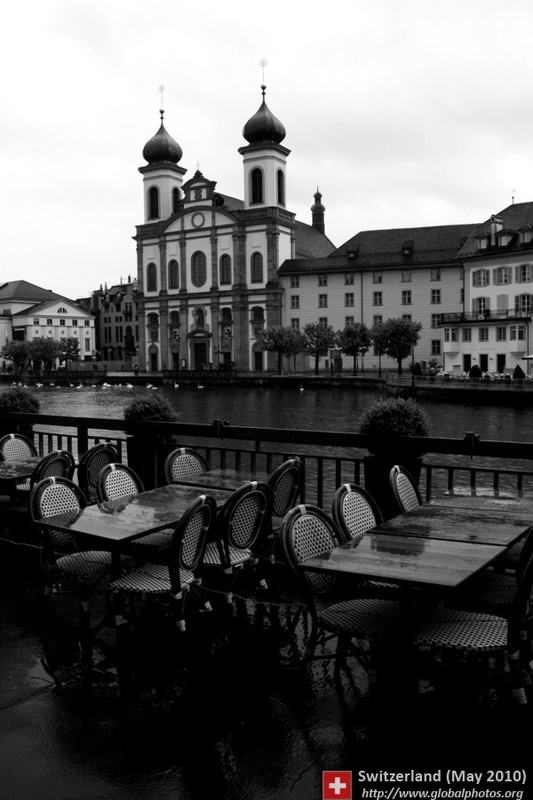 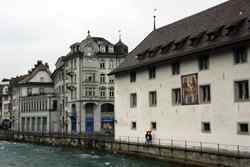 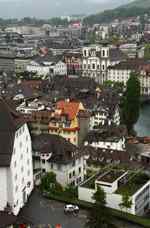 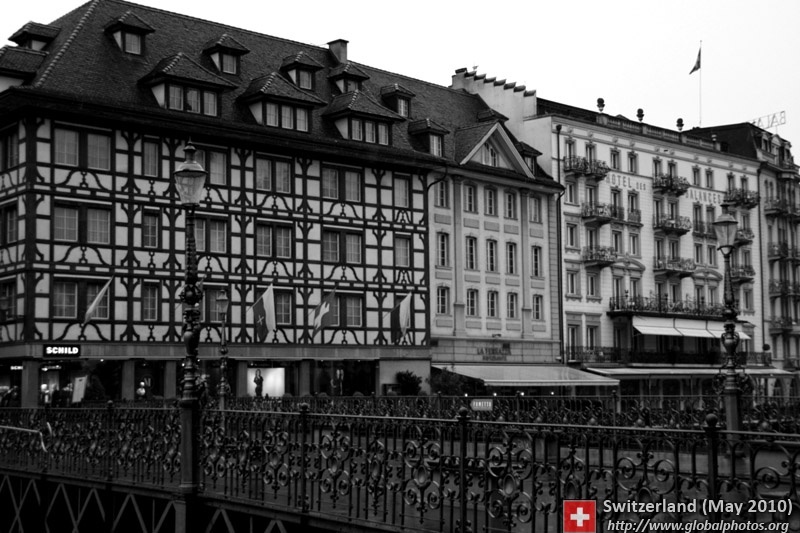 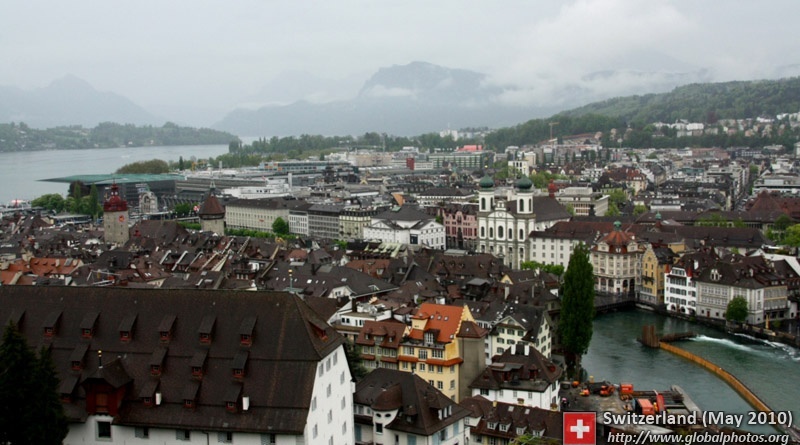 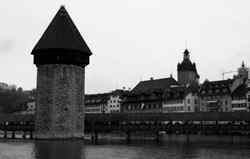 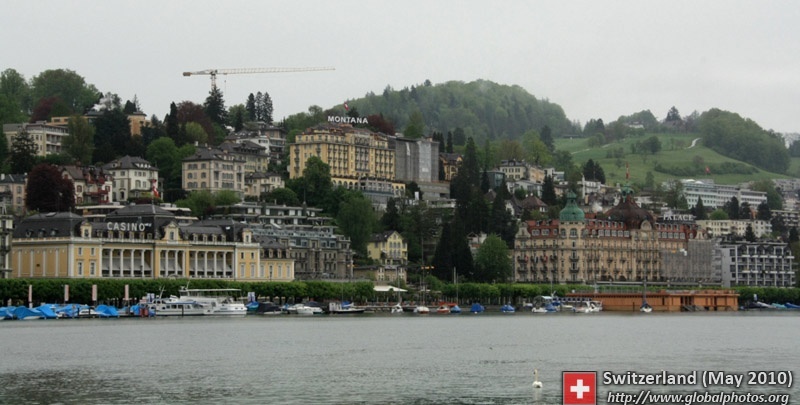 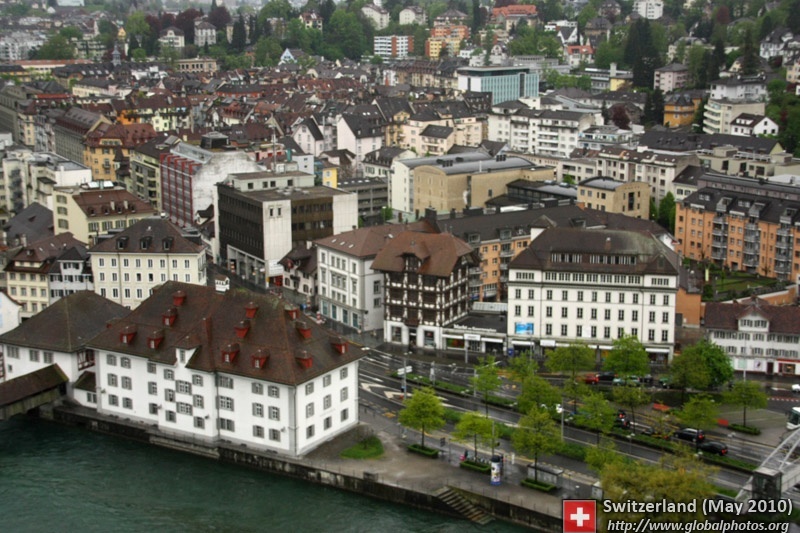 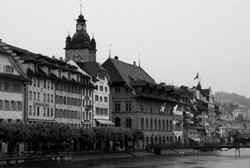 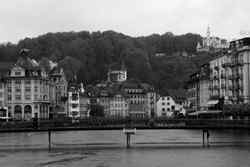 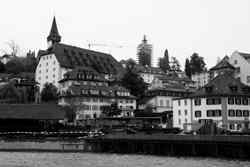 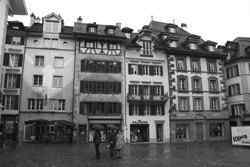 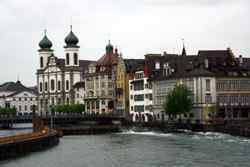 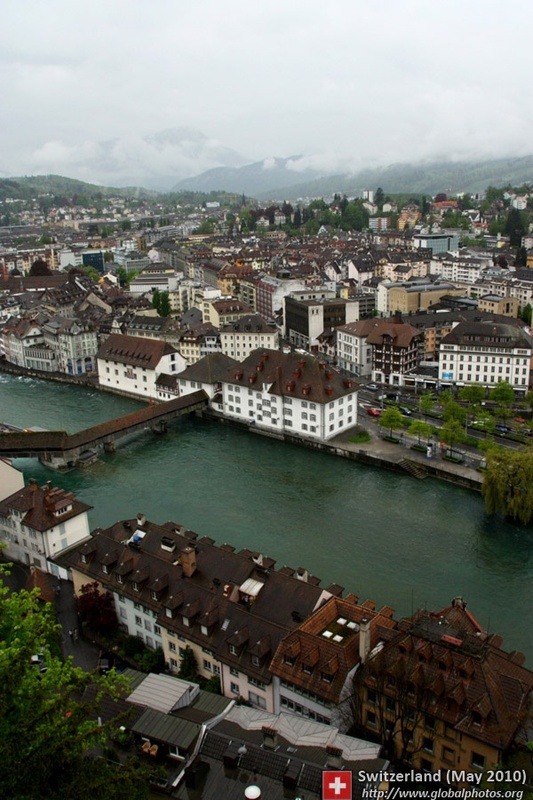 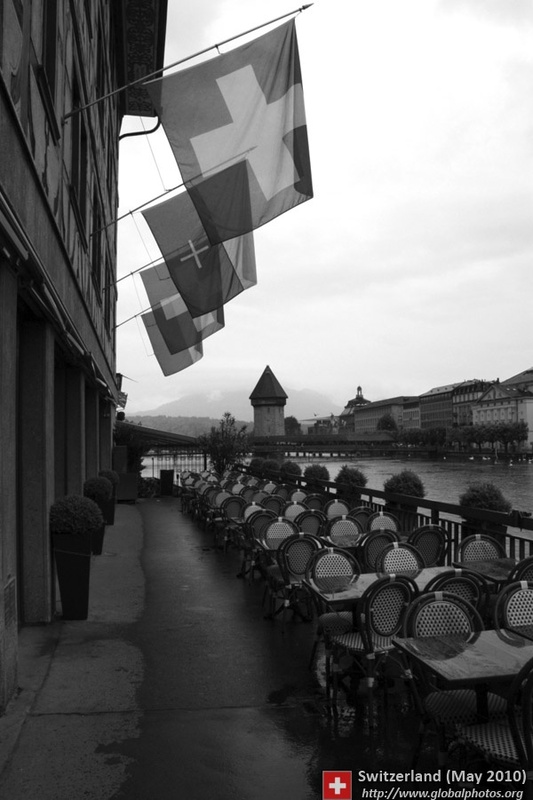 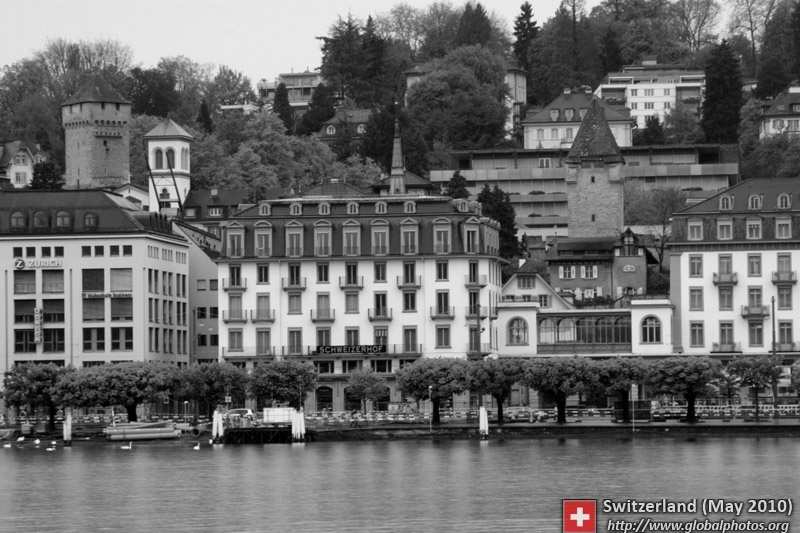 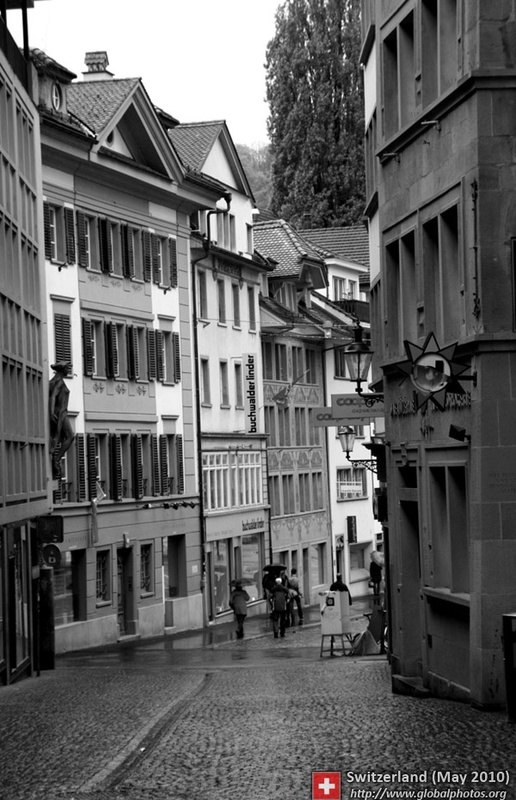 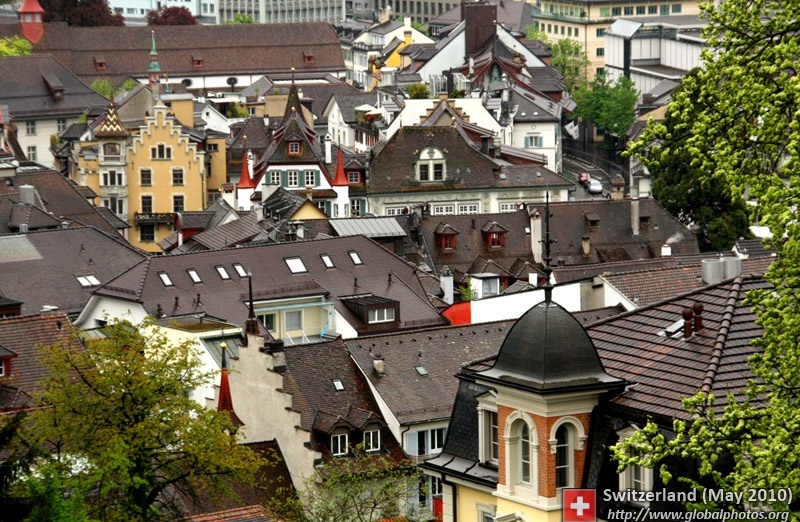 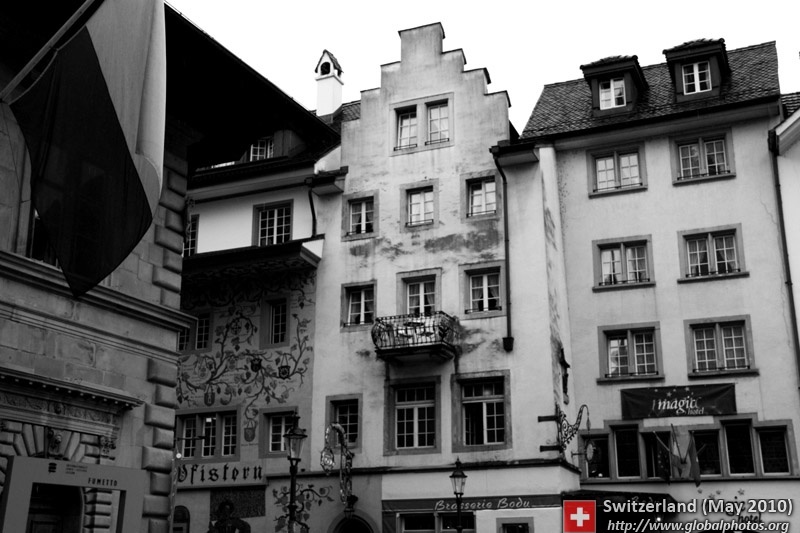 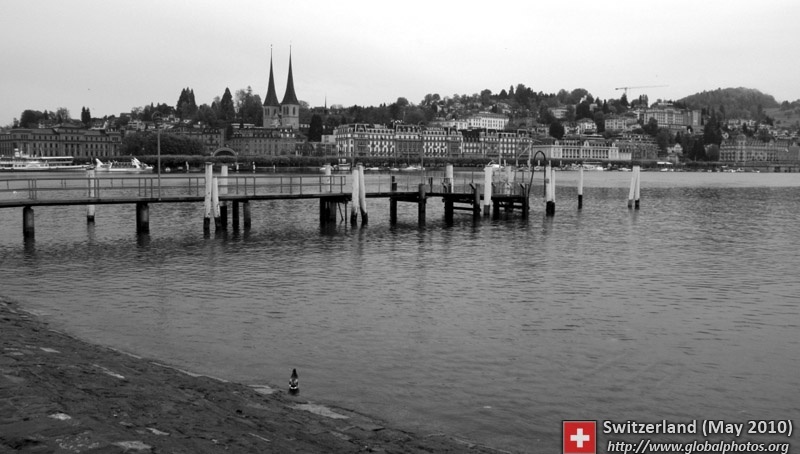 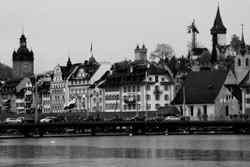 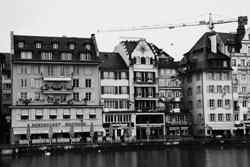 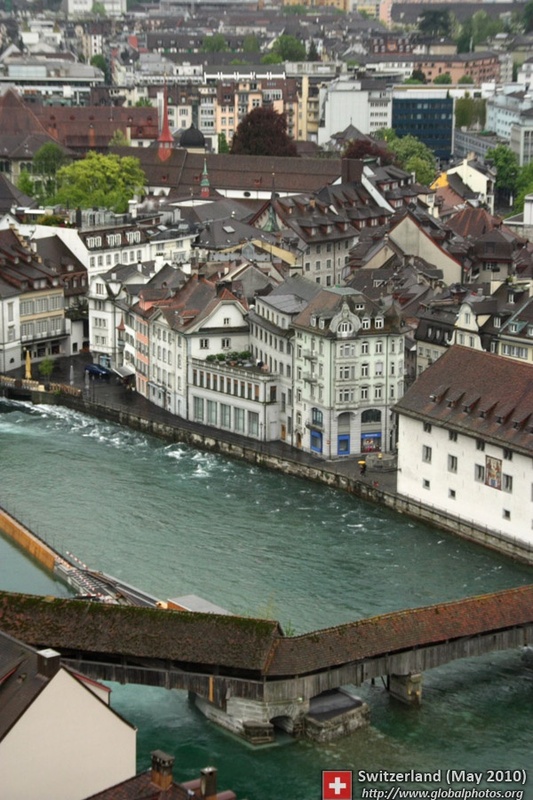 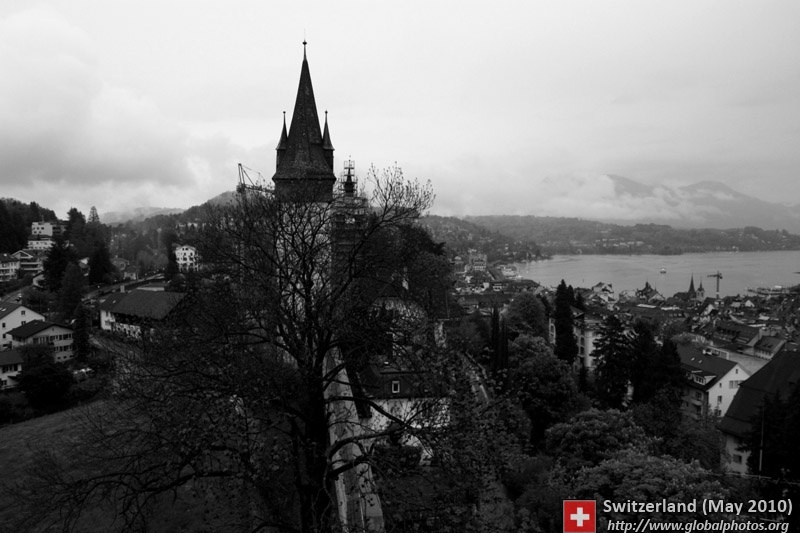 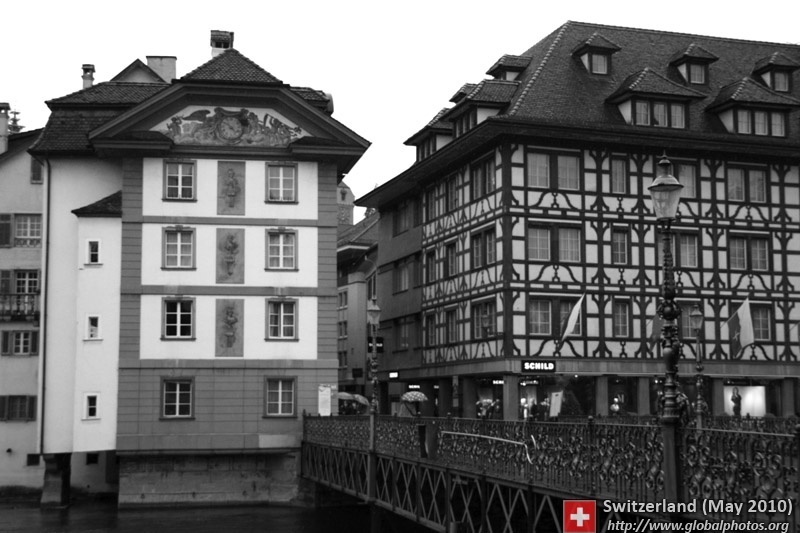 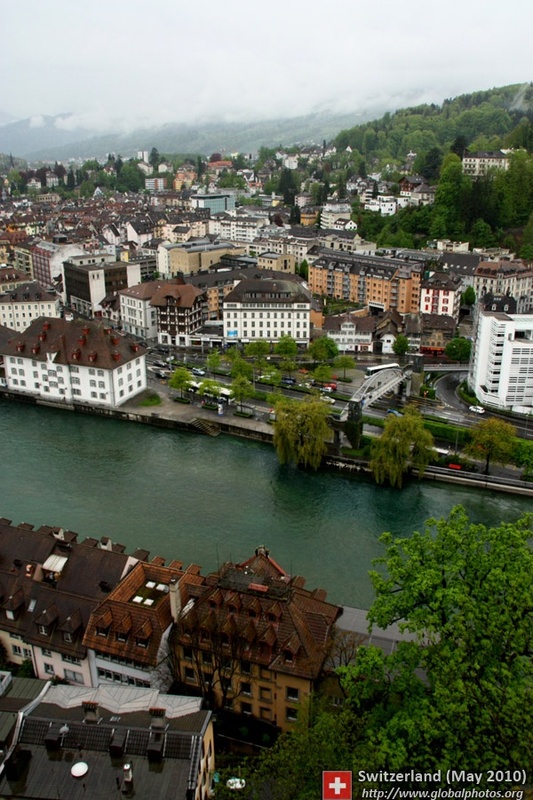 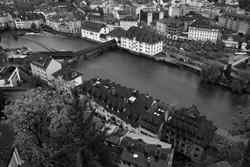 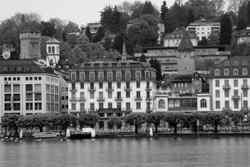 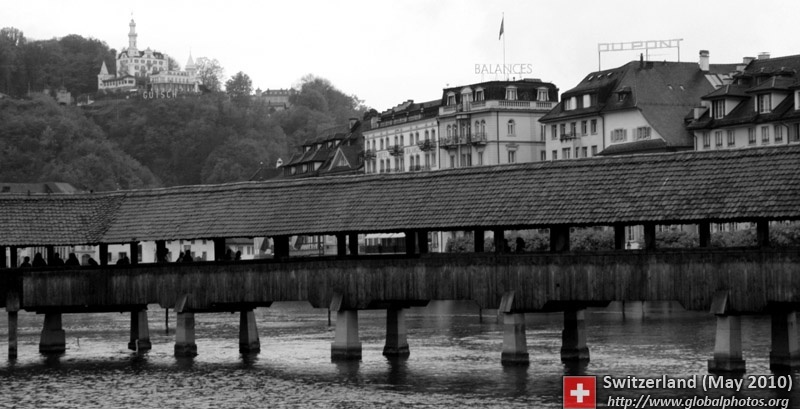 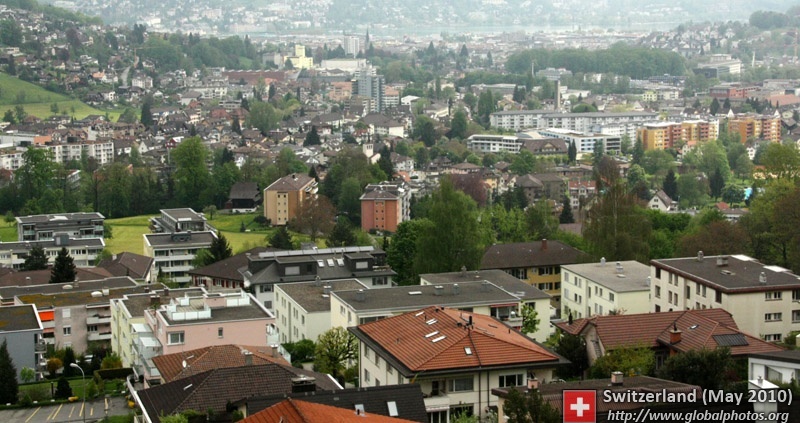 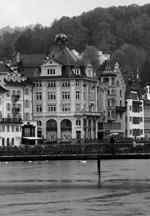 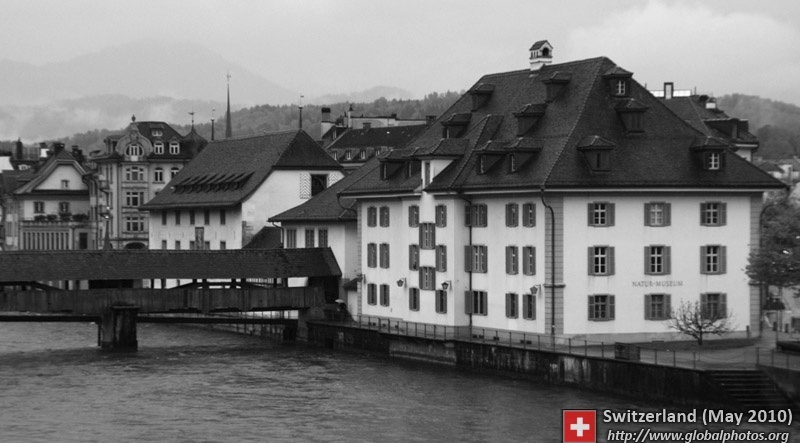 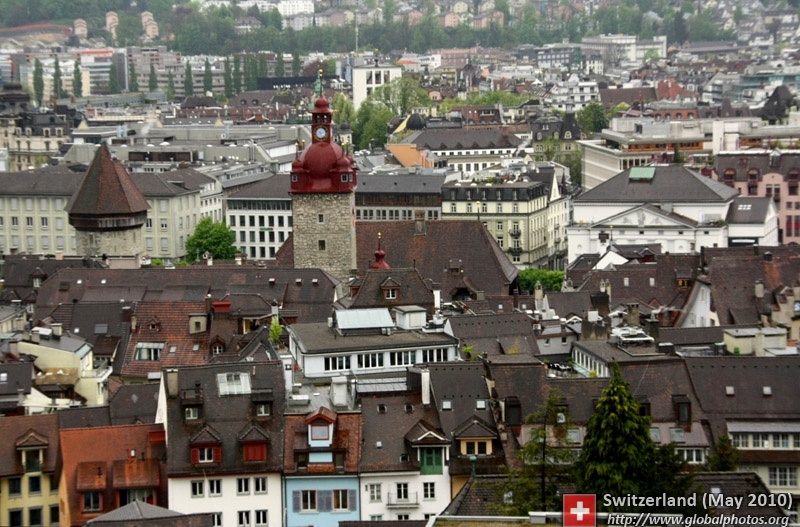 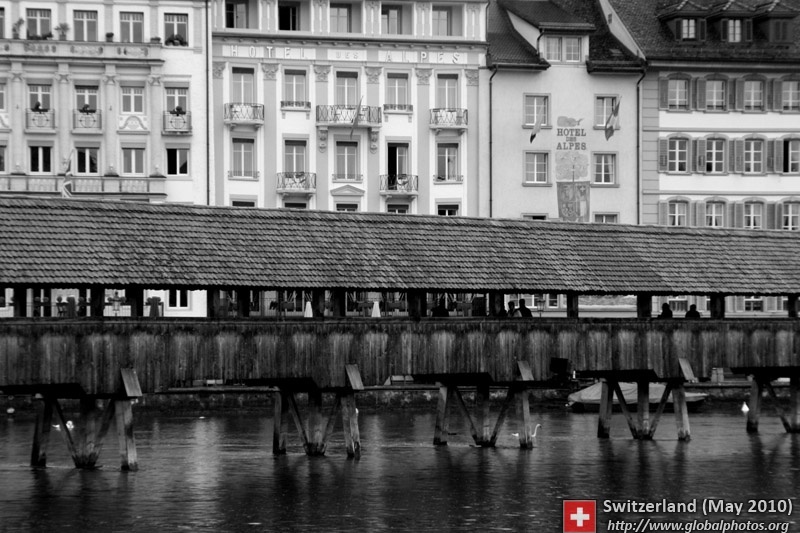 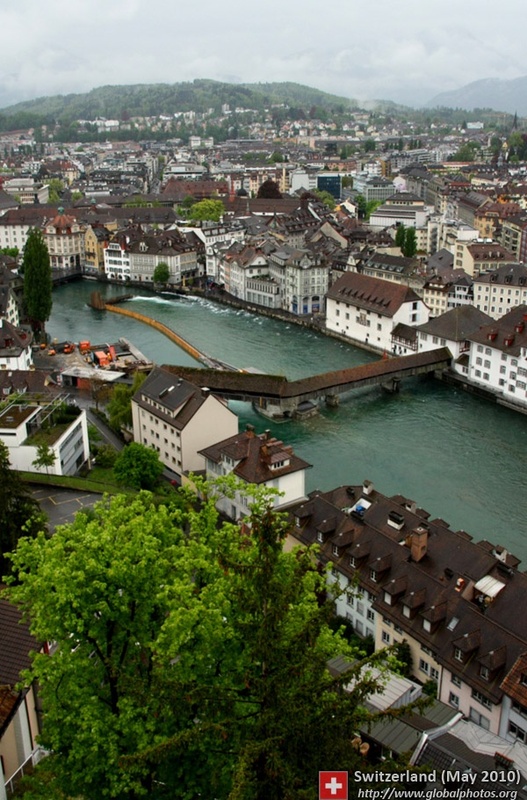 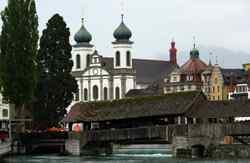 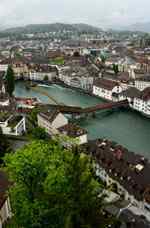 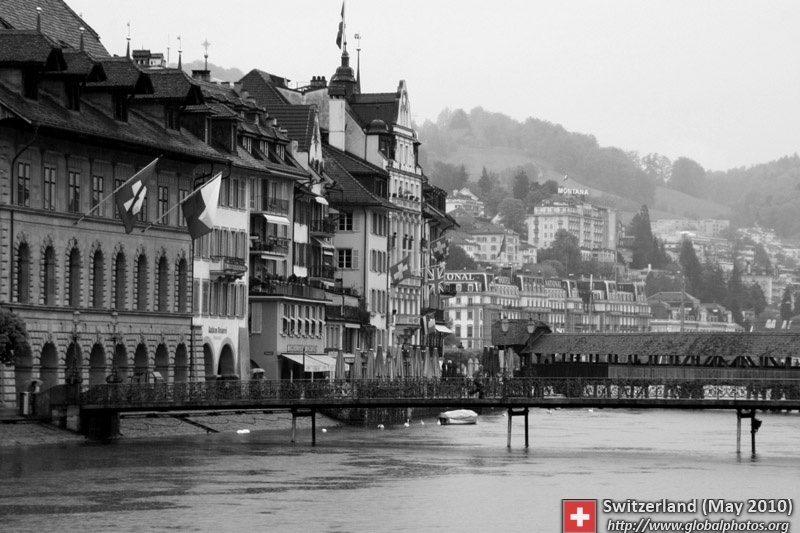 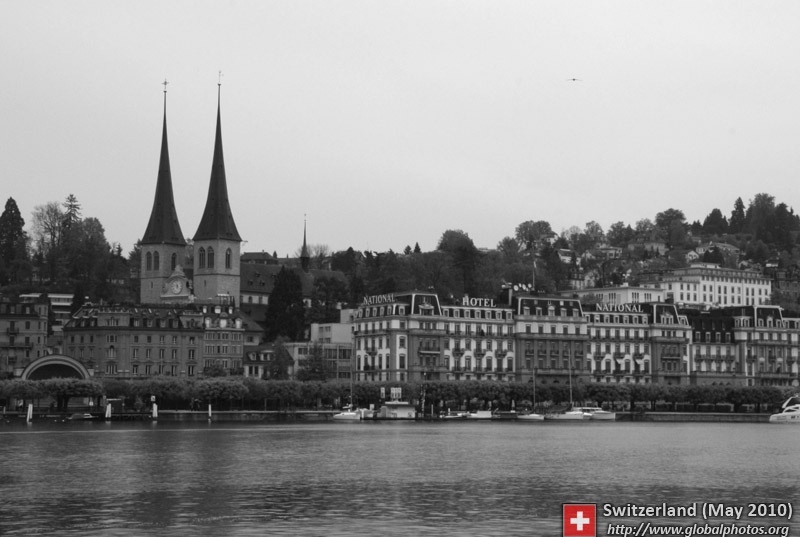 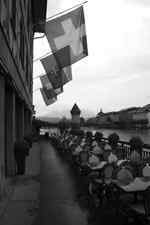 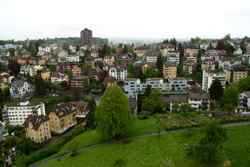 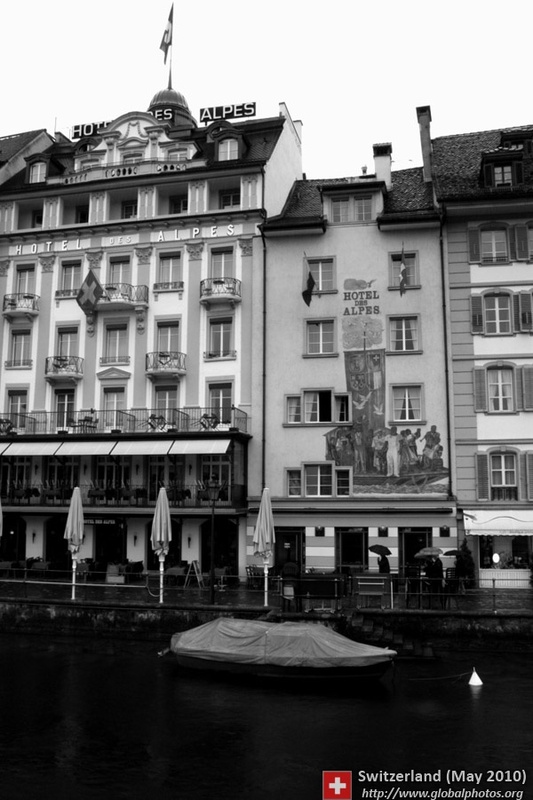 Luzern's city centre has quaint, narrow streets, well-maintained historic buildings, and a decent number of tourists. 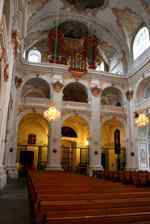 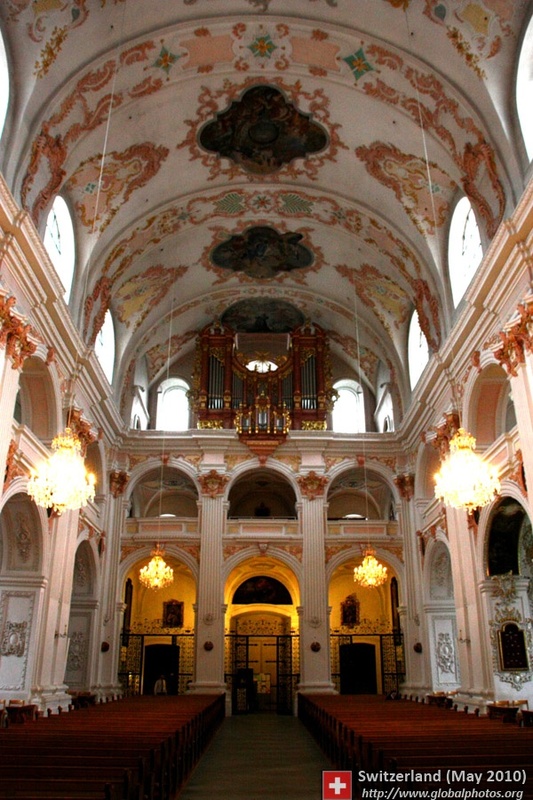 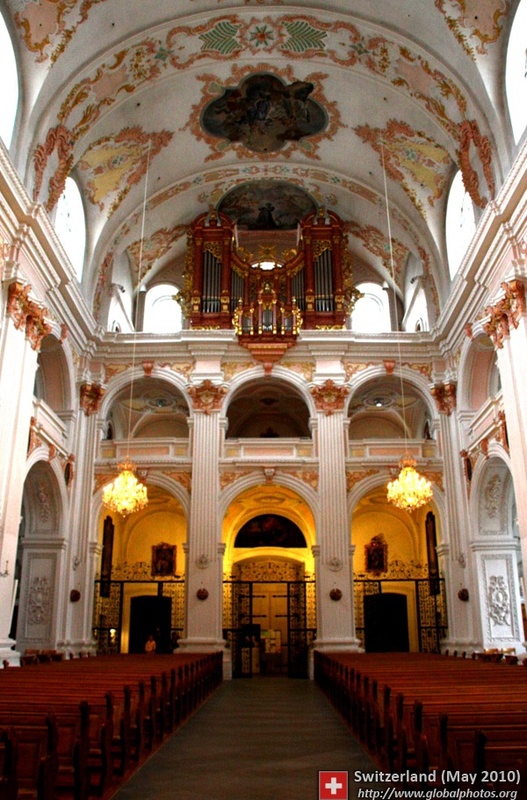 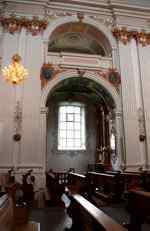 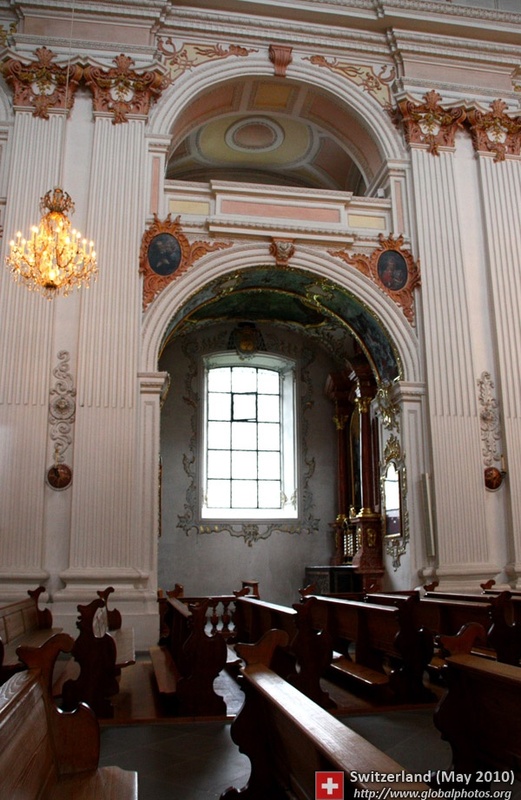 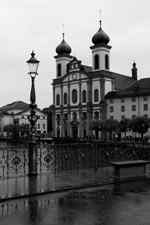 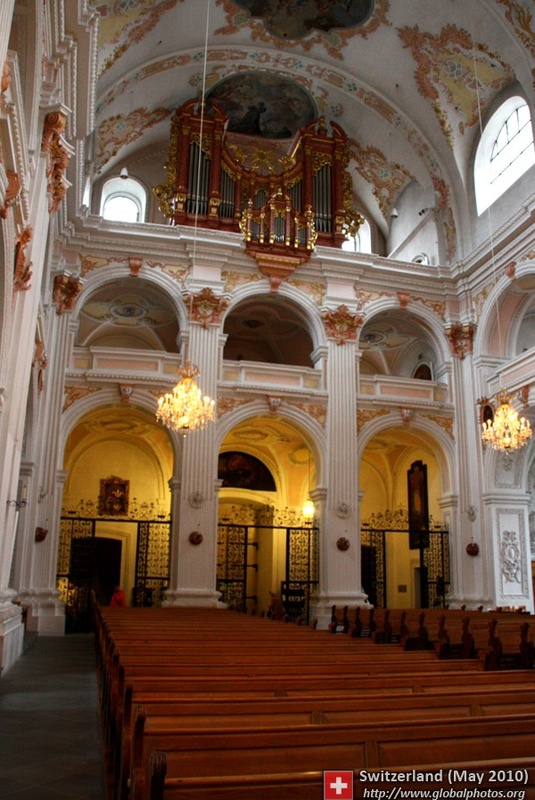 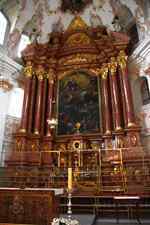 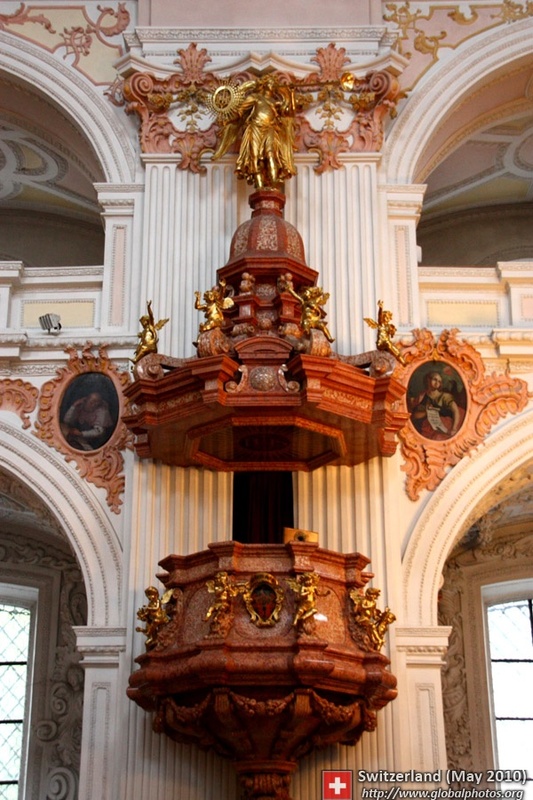 The Jesuit Church was built in 1666. 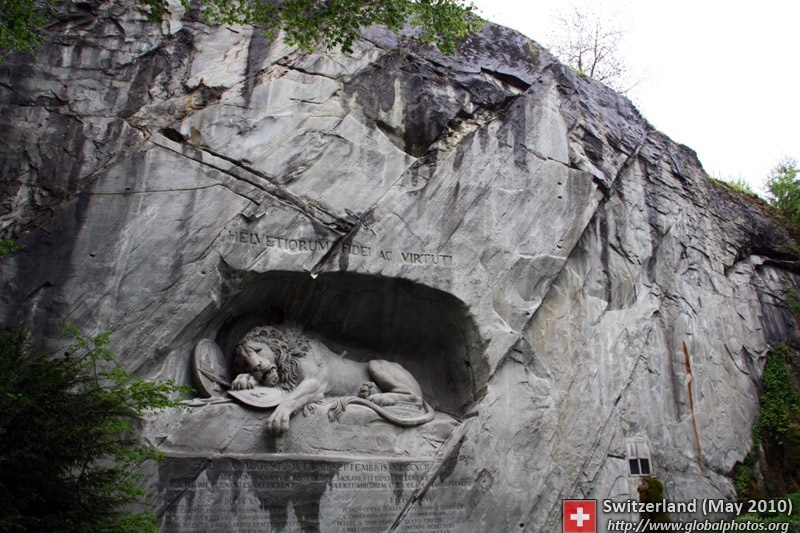 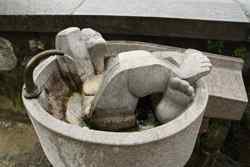 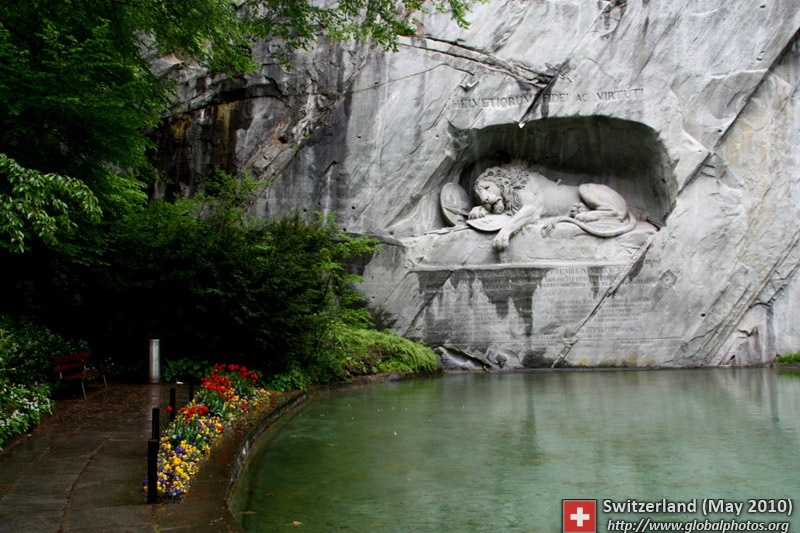 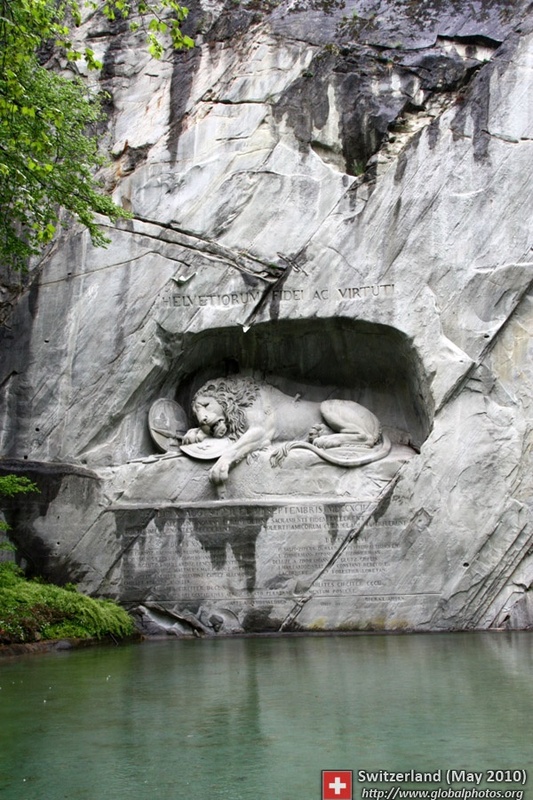 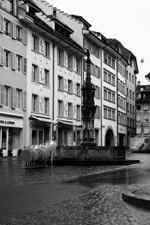 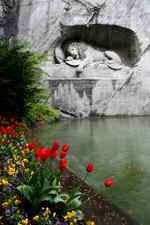 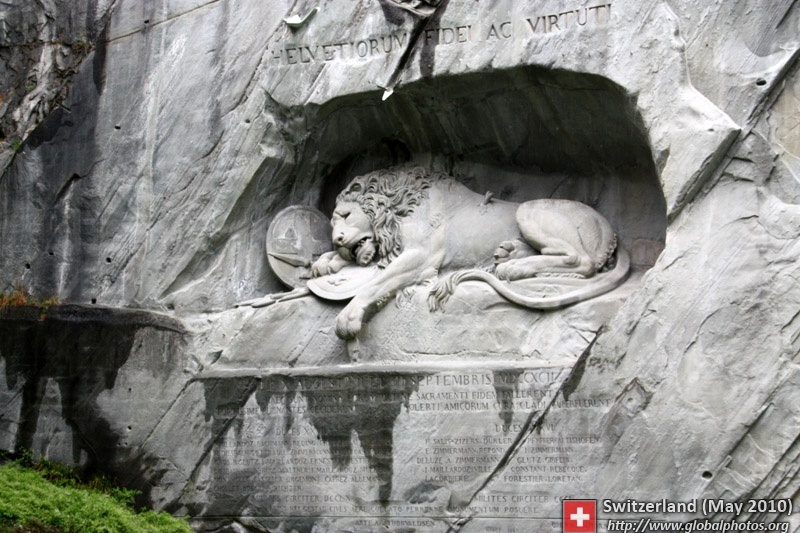 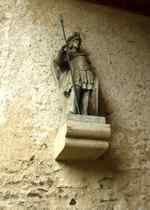 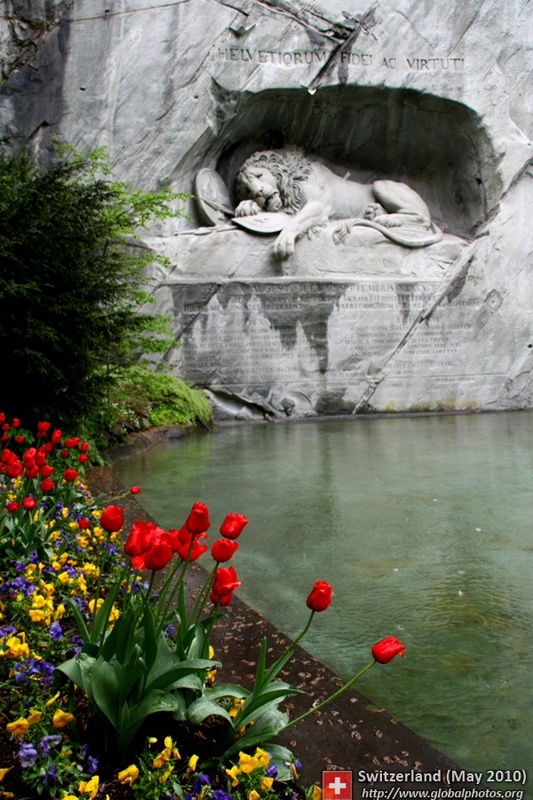 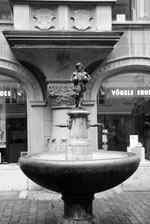 The Lion Monument commemorates the deaths of Swiss mercenaries in 1792. 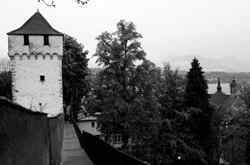 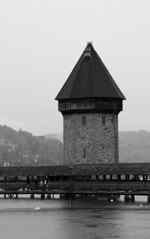 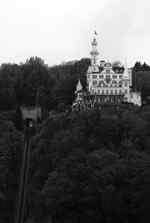 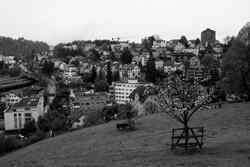 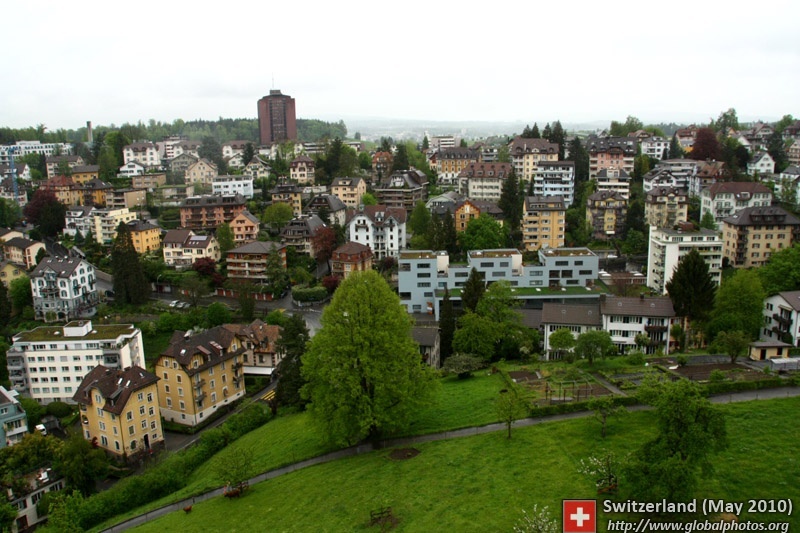 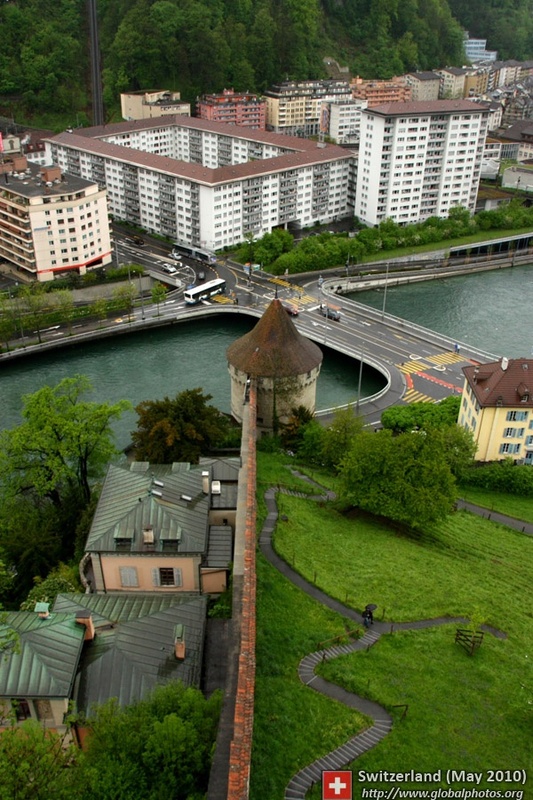 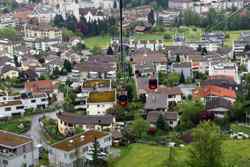 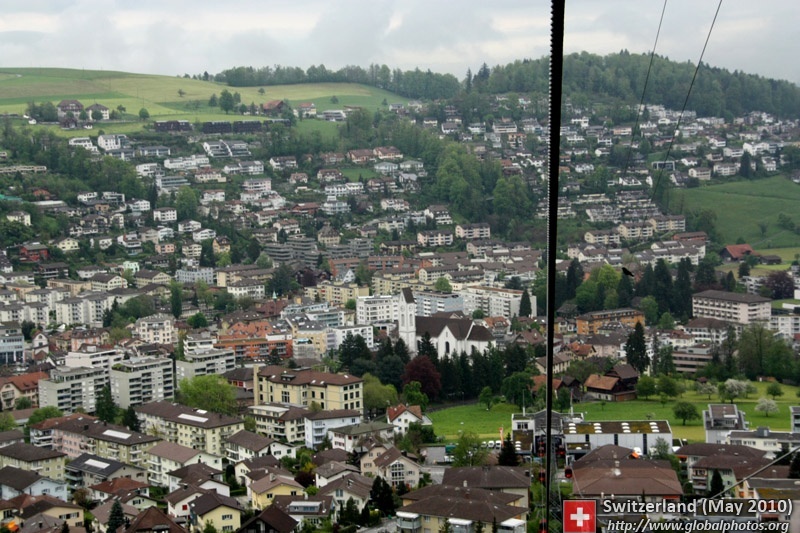 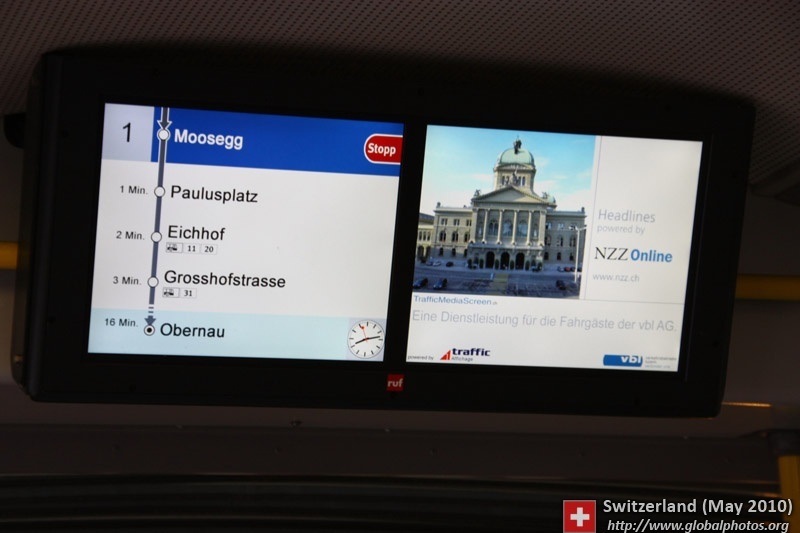 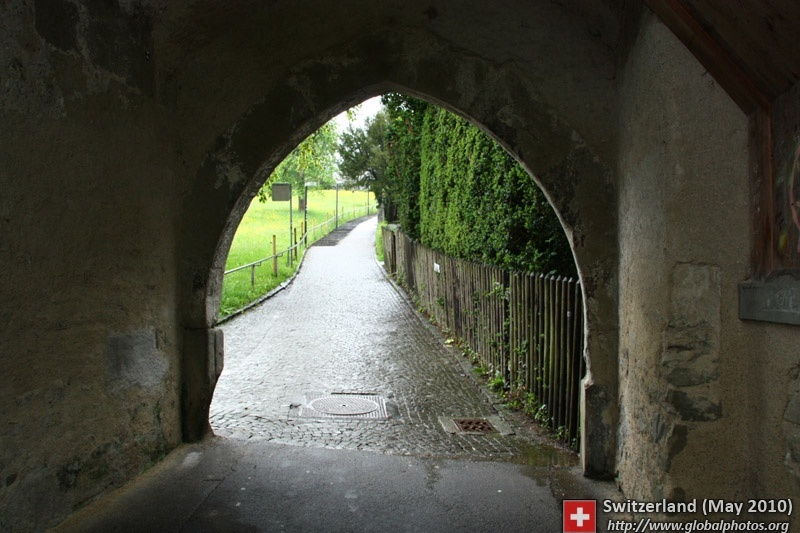 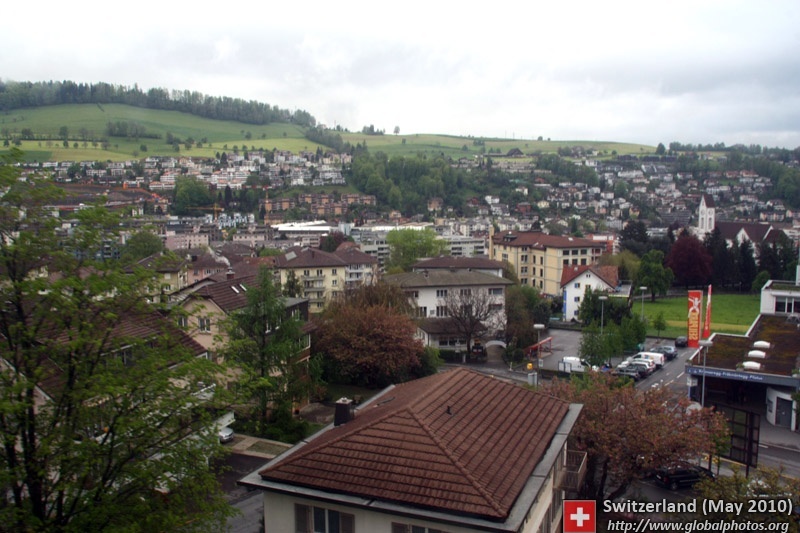 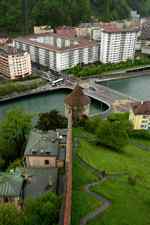 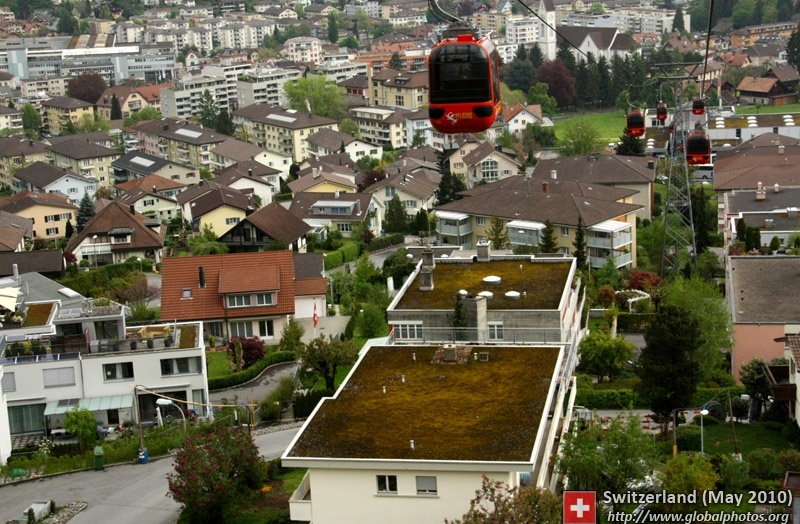 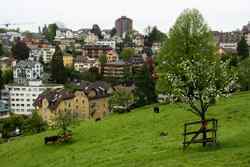 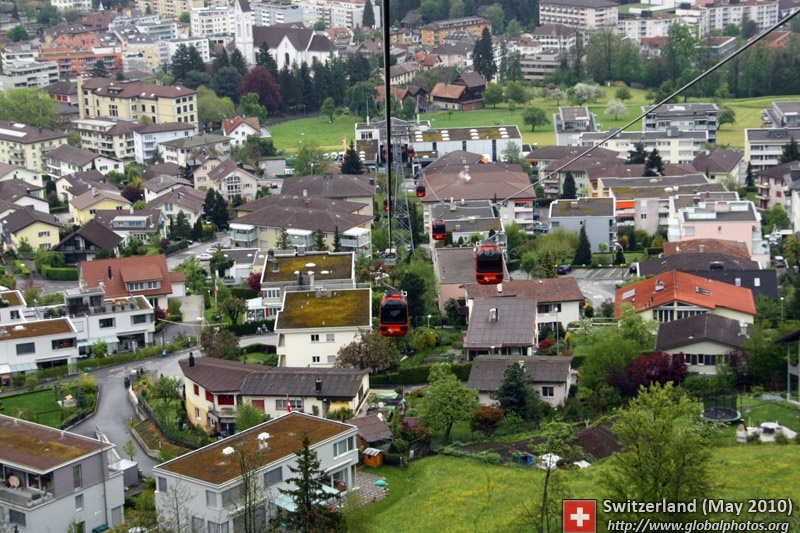 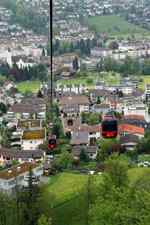 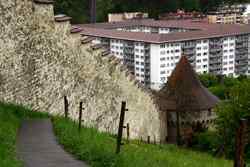 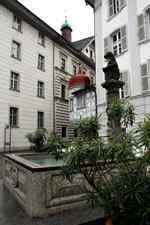 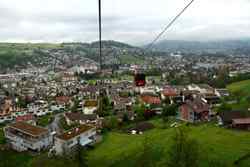 Within a short walk from the monument, an elevator takes visitors to the hills above Luzern, where it is an easy walk to the Musegg Wall, a nice vantage point with views of the city, the lake, and nearby mountains. 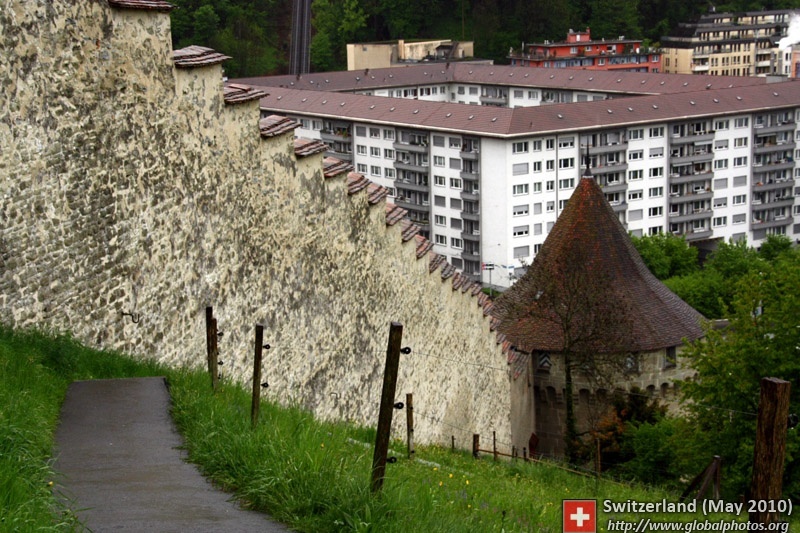 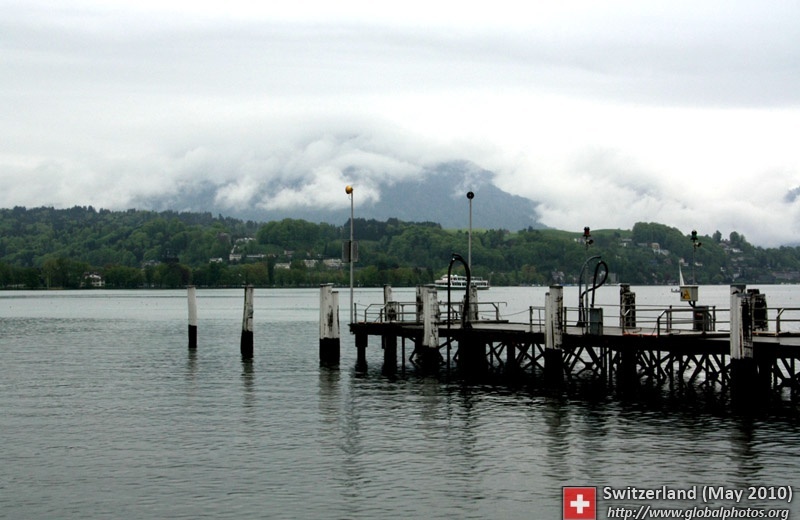 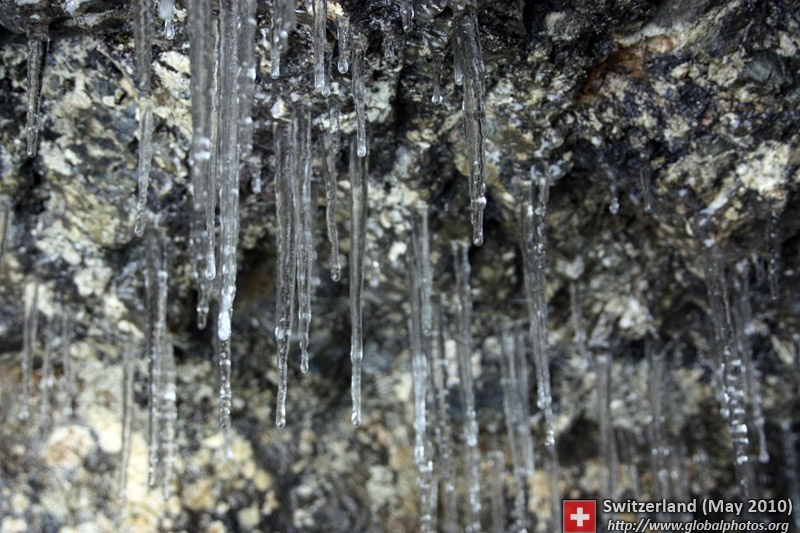 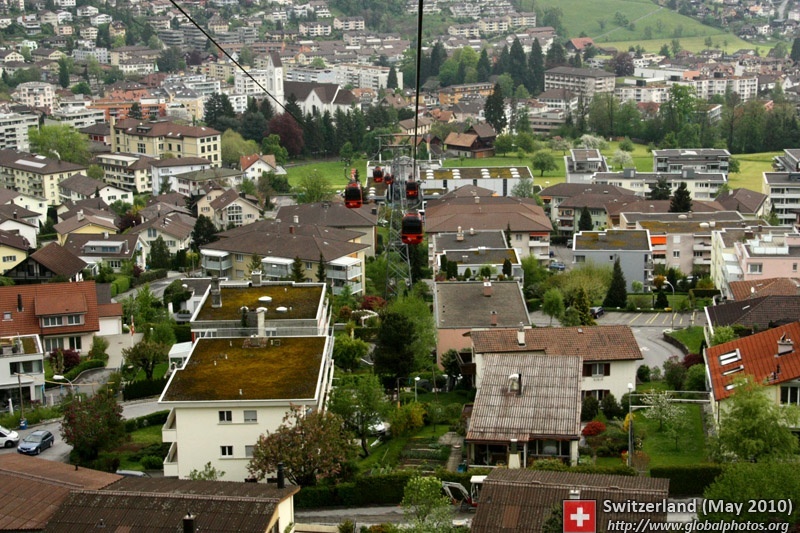 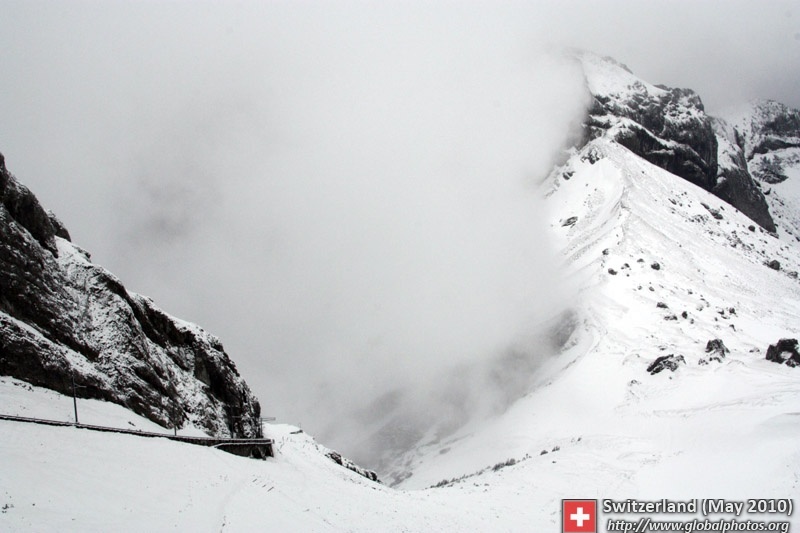 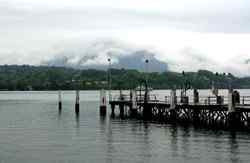 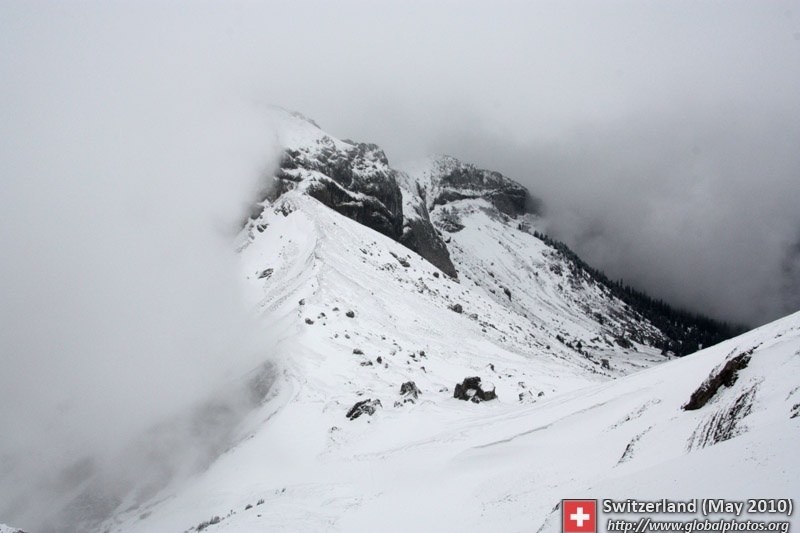 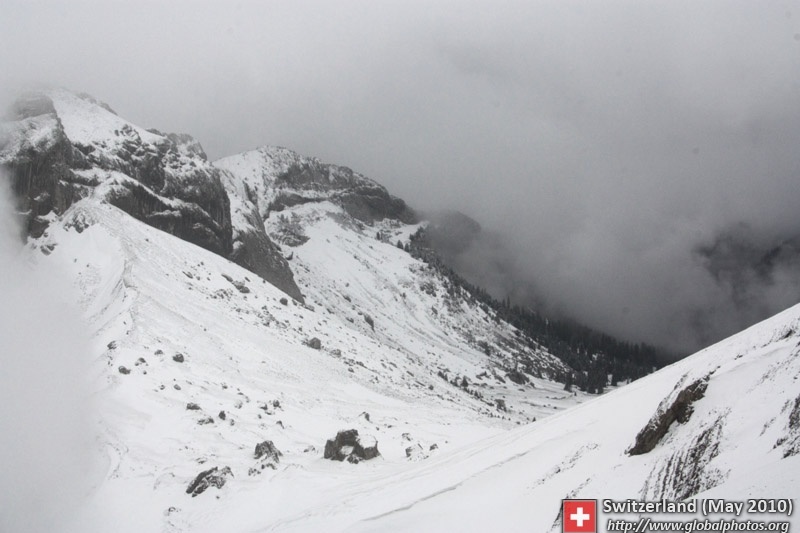 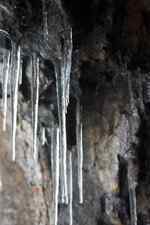 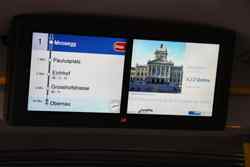 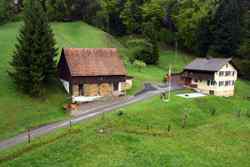 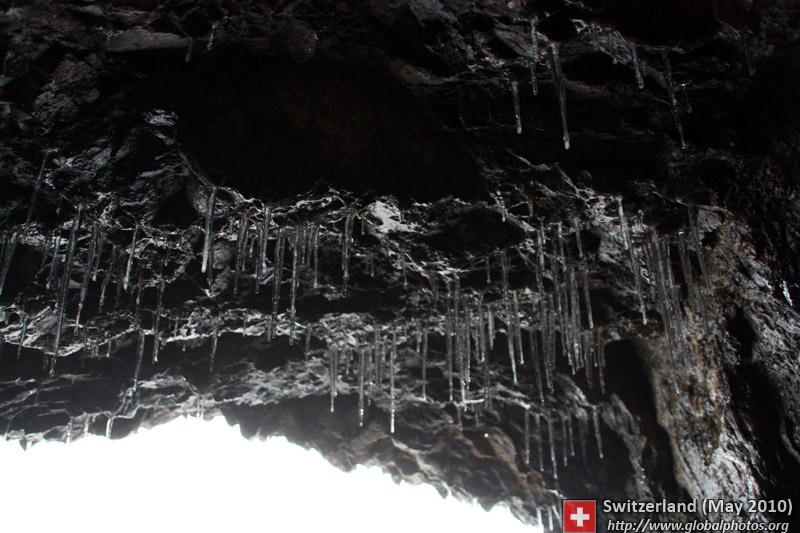 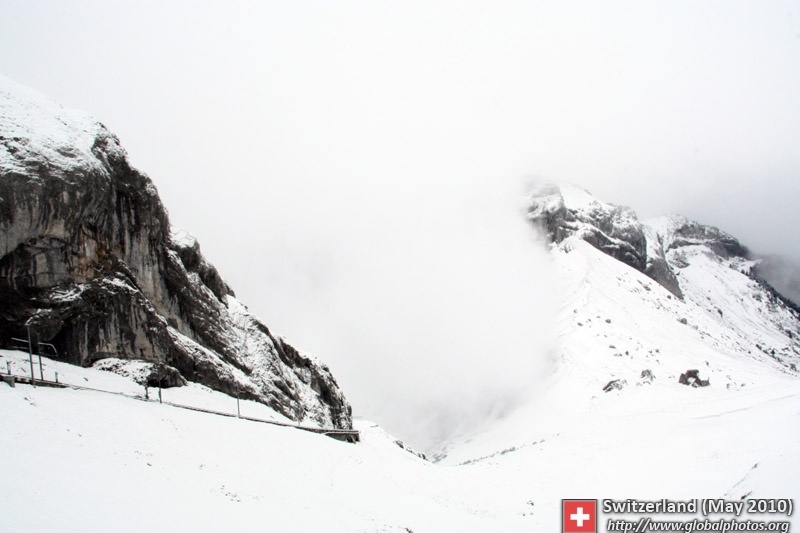 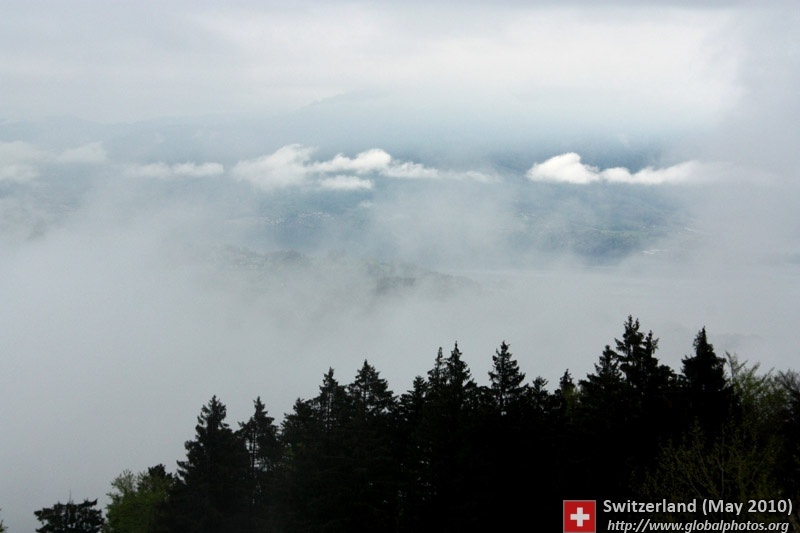 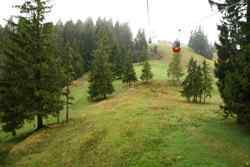 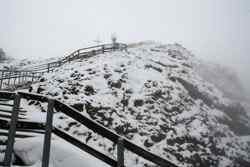 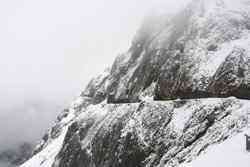 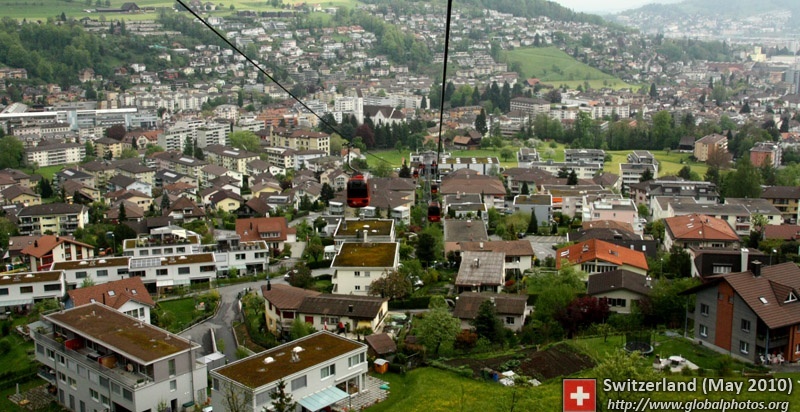 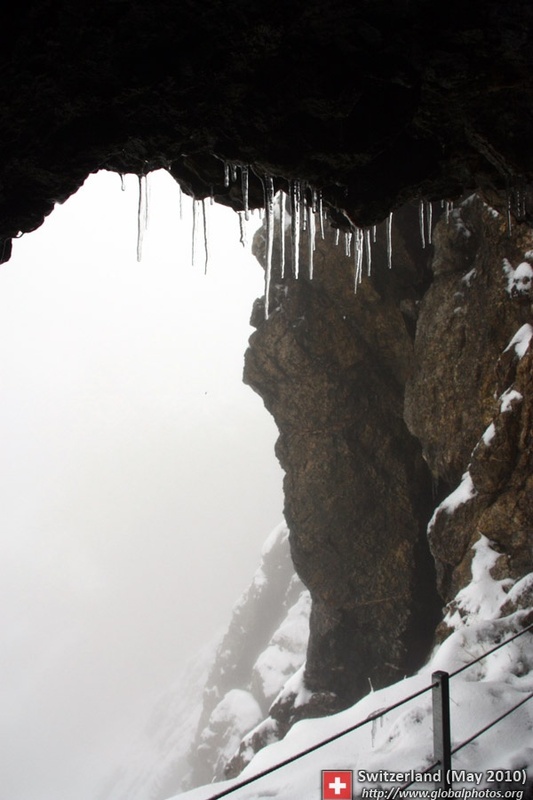 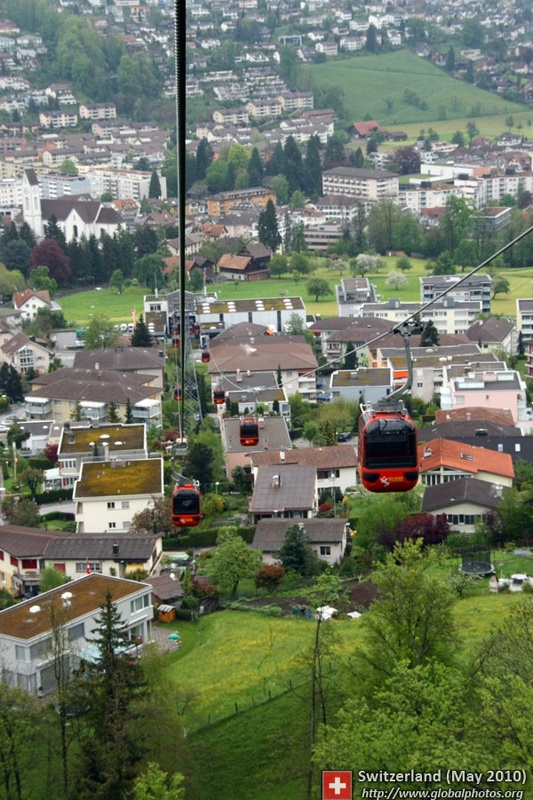 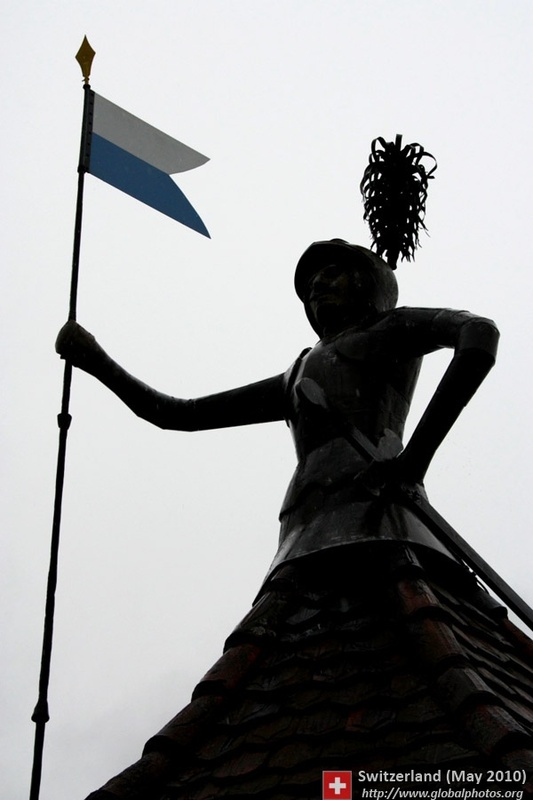 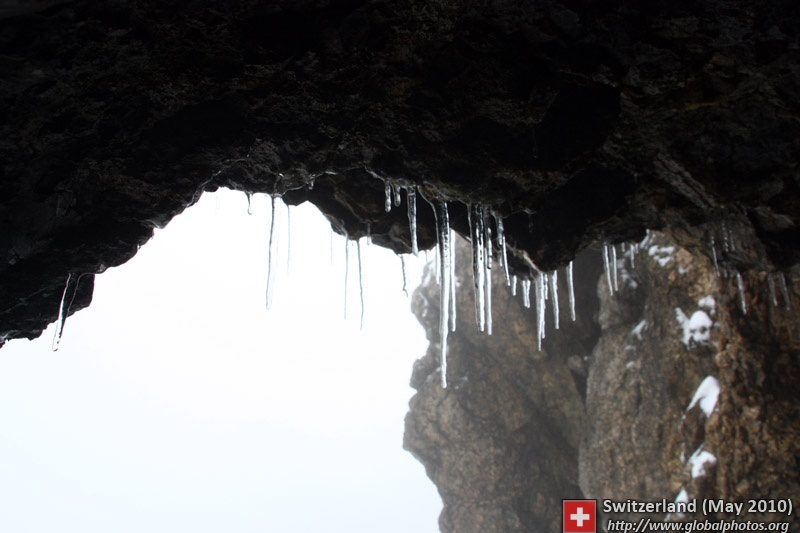 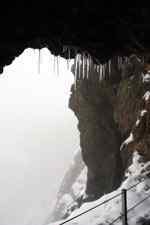 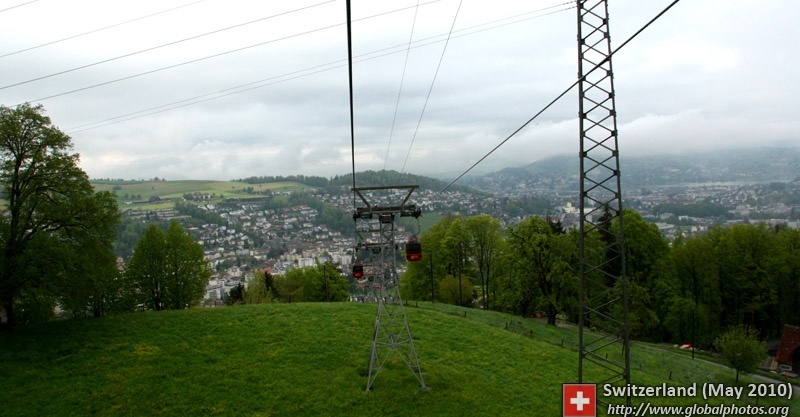 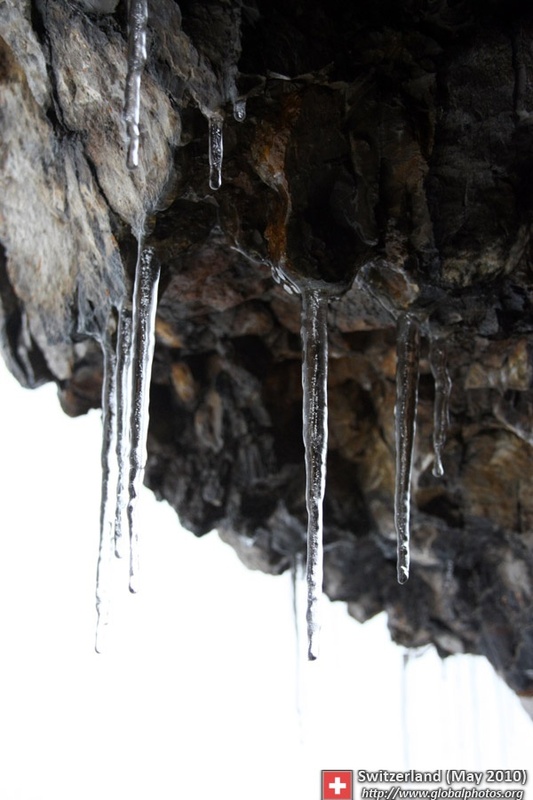 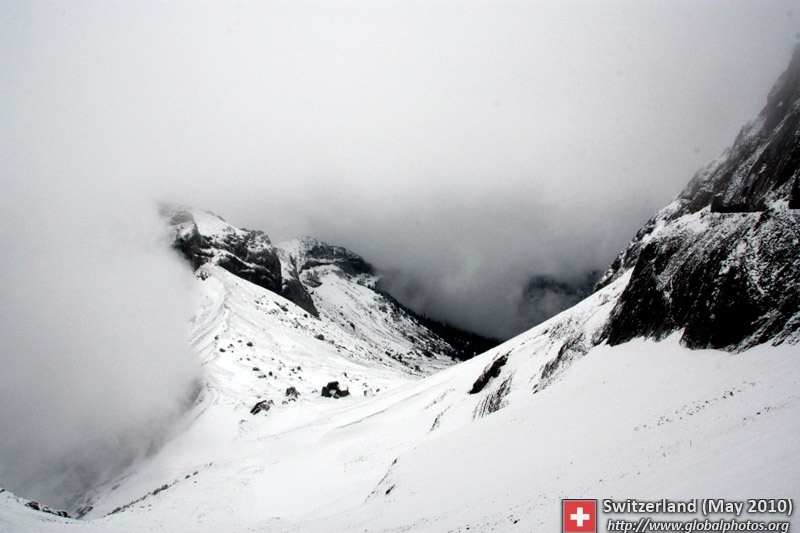 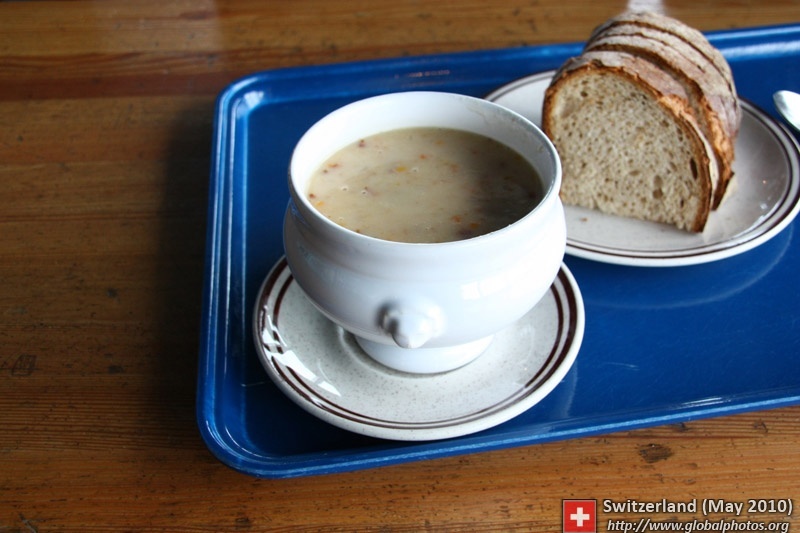 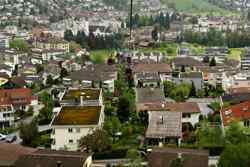 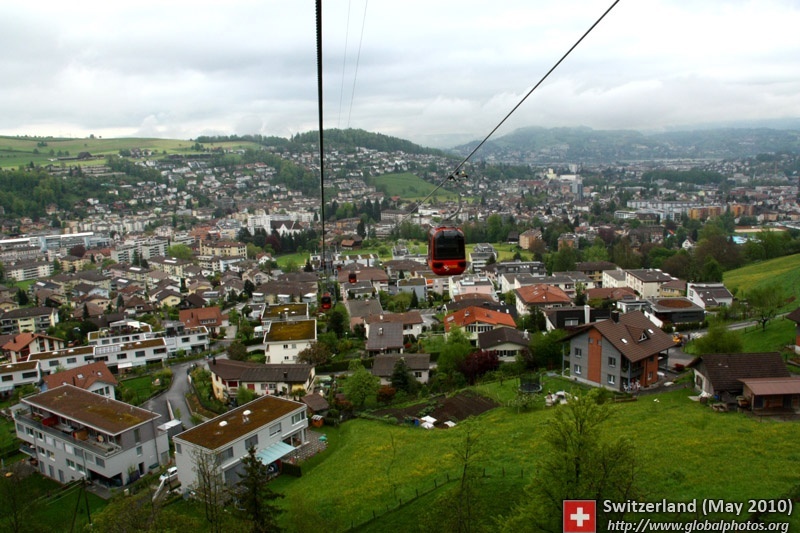 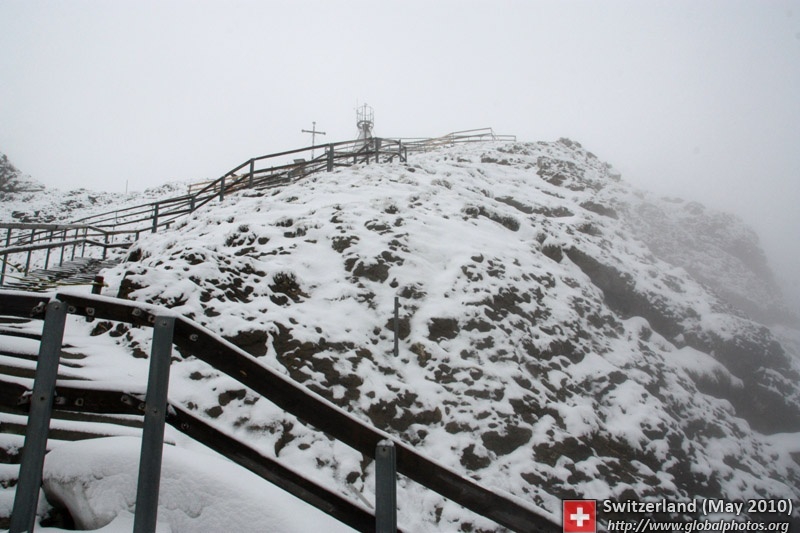 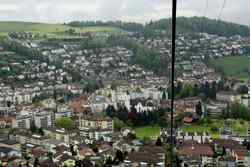 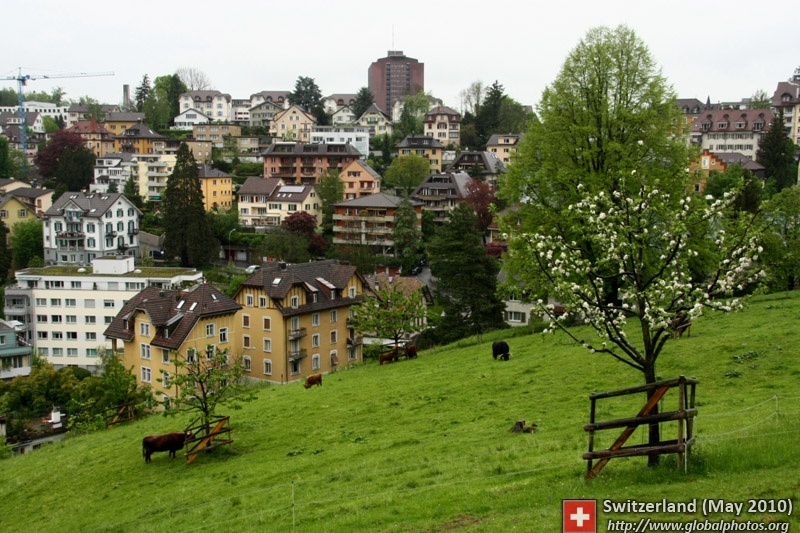 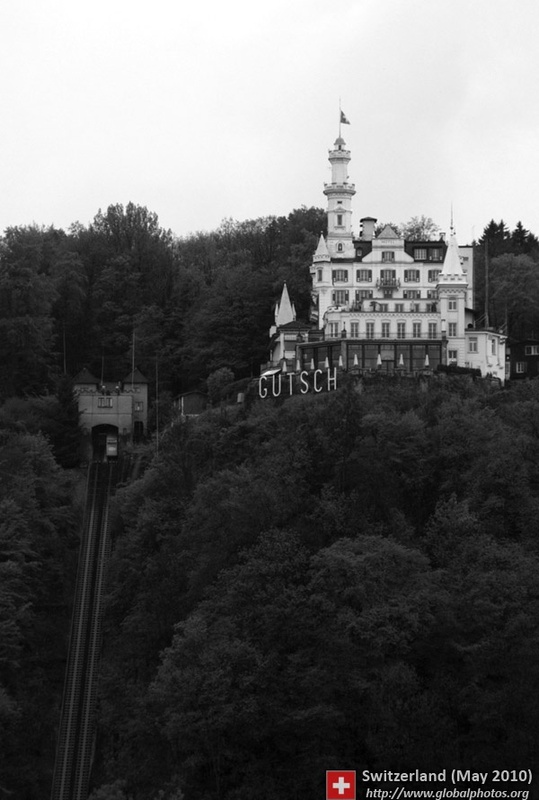 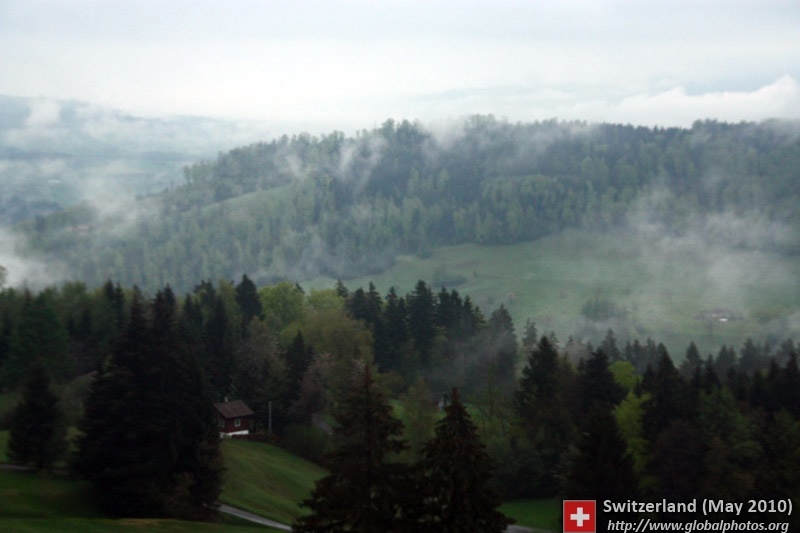 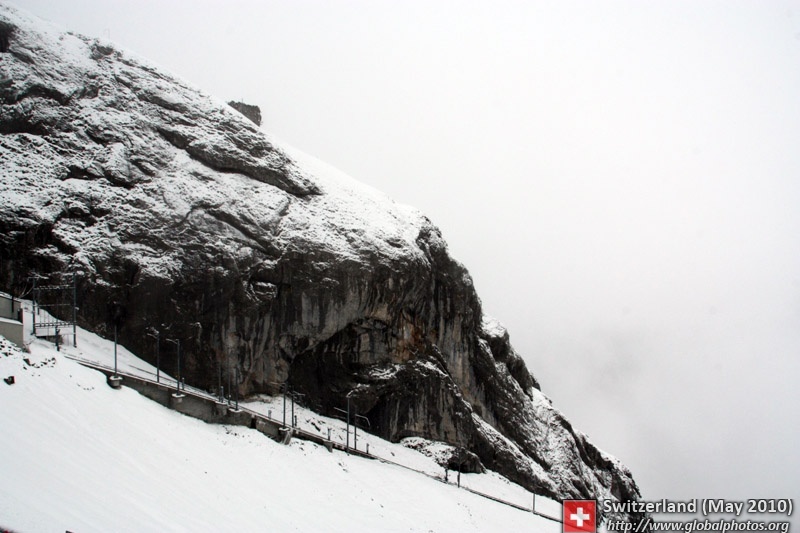 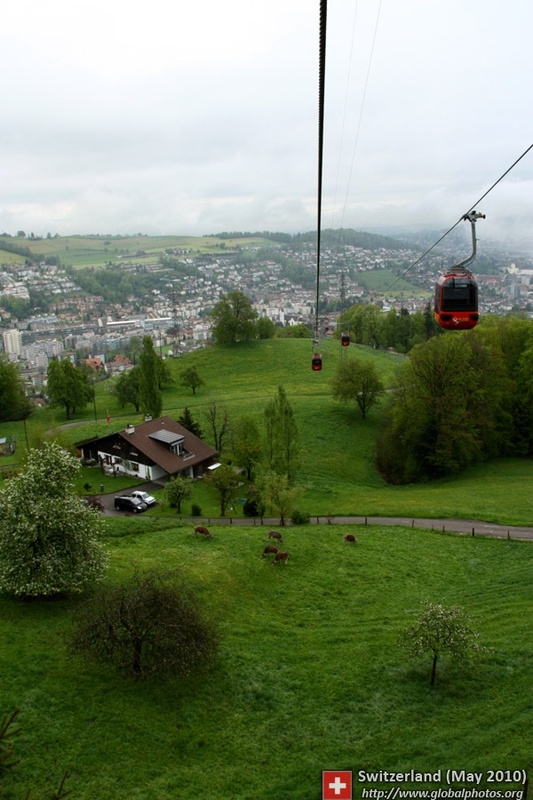 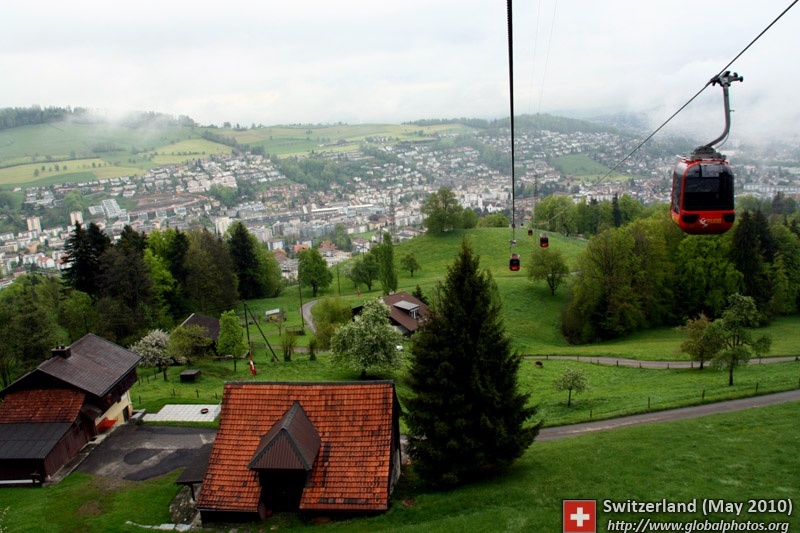 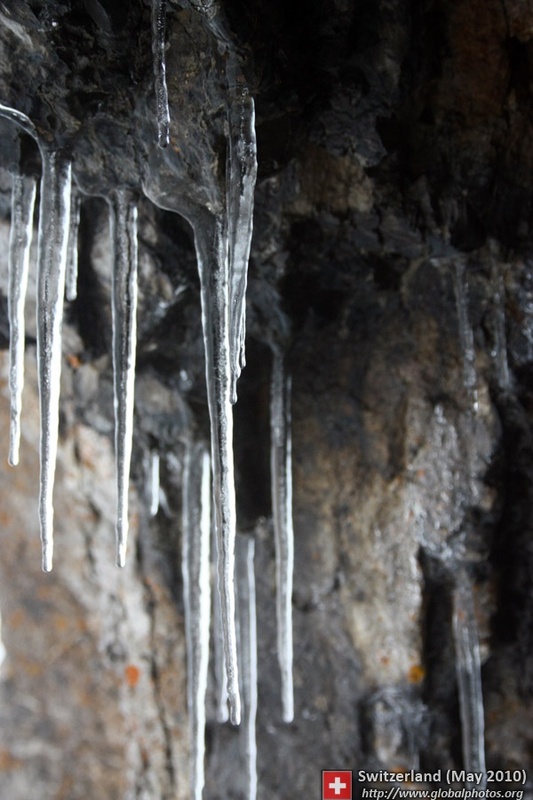 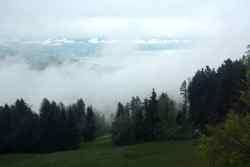 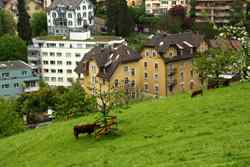 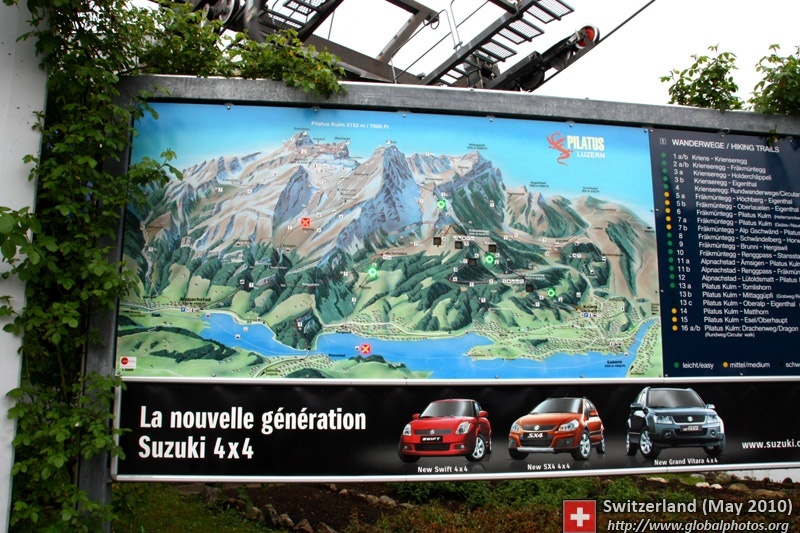 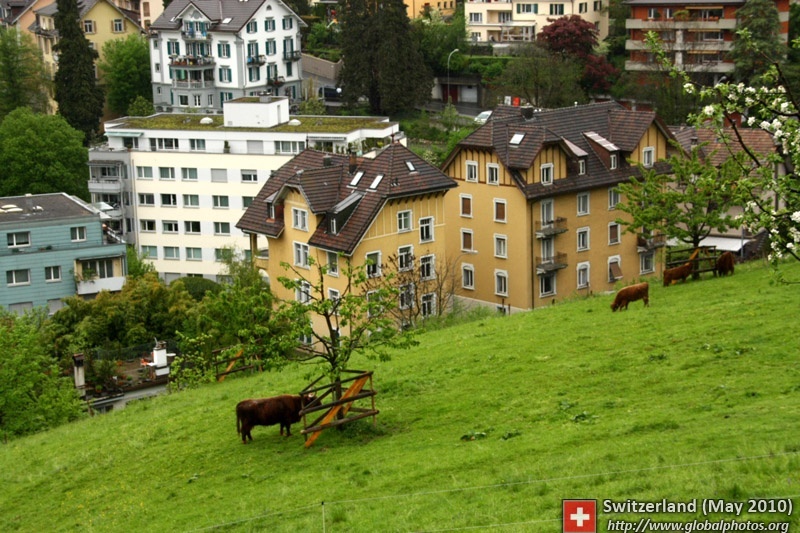 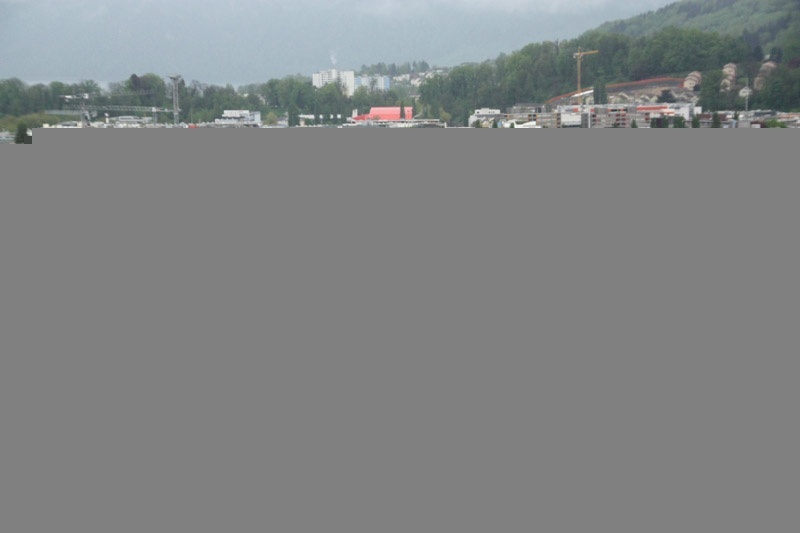 Mount Pilatus is conveniently located in Luzern's outskirts, and is a good half-day trip. 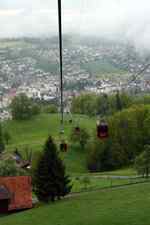 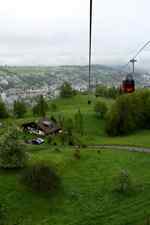 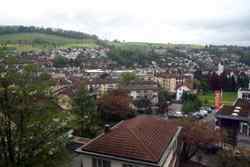 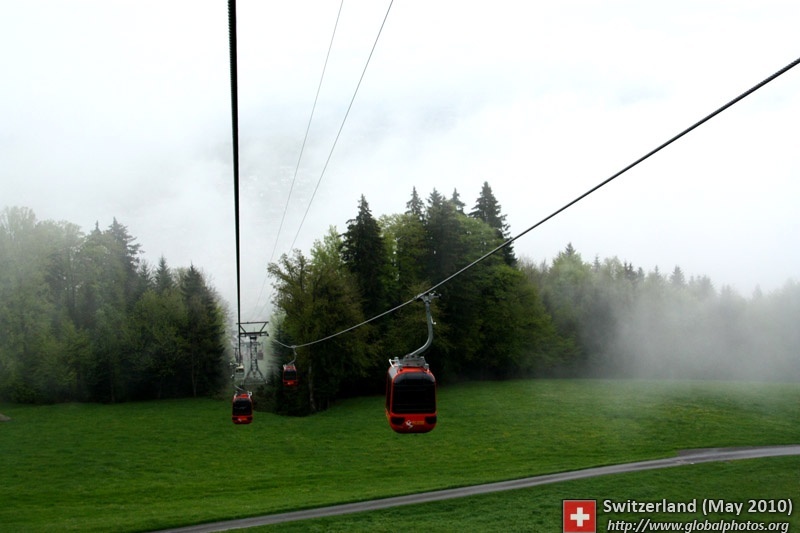 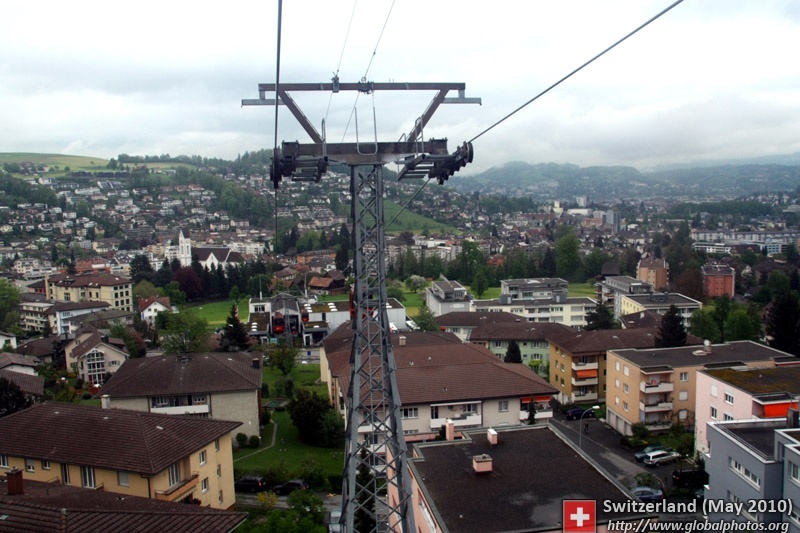 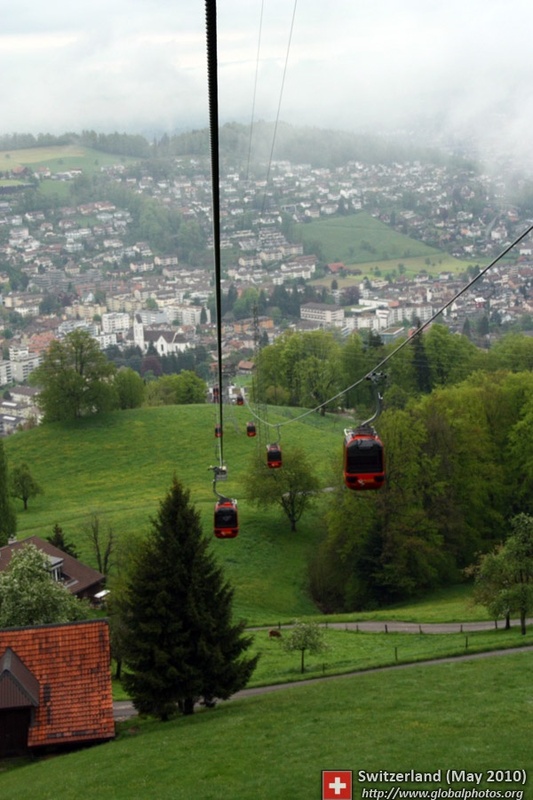 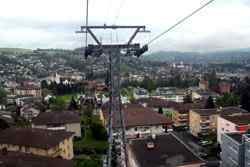 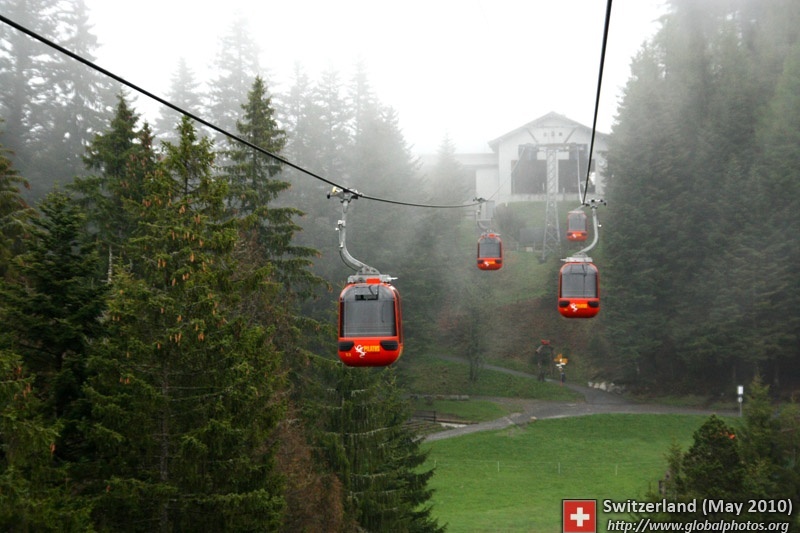 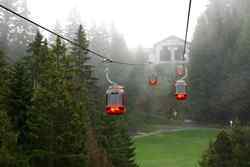 Unfortunately, the weather was not the best, but the cable car ride up was quite nice with good panoramic views.